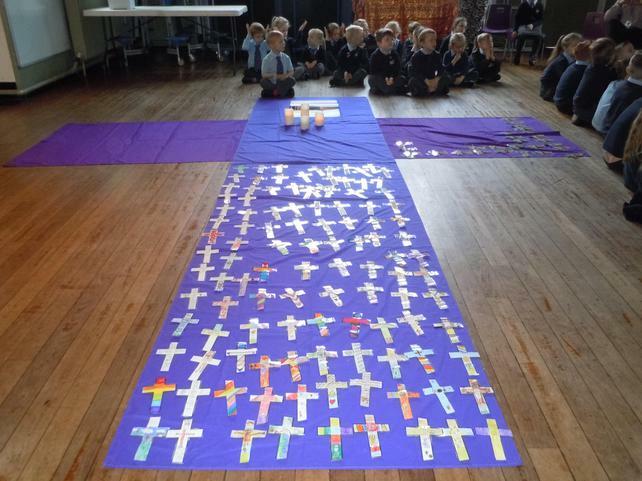 A wonderful close to our Holy Week remembrances in school. 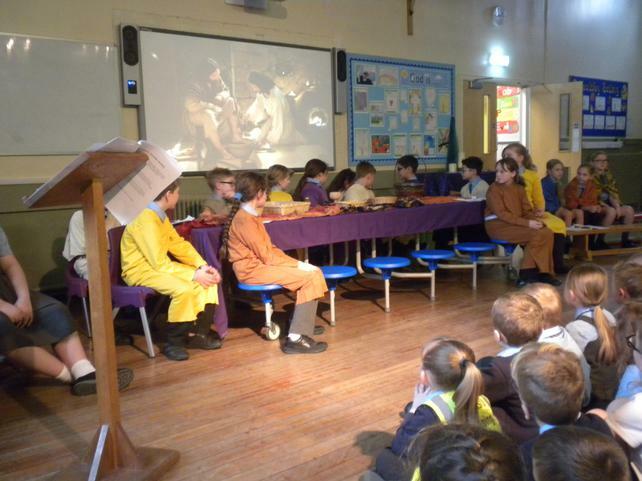 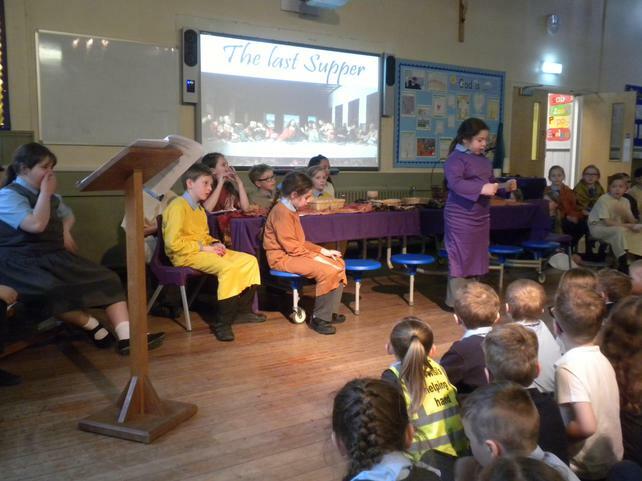 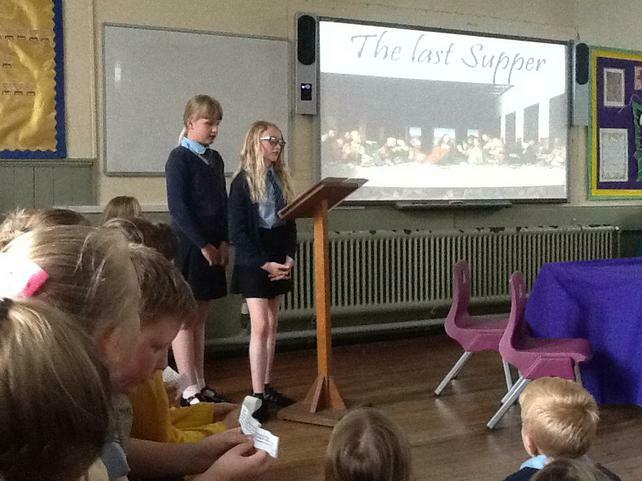 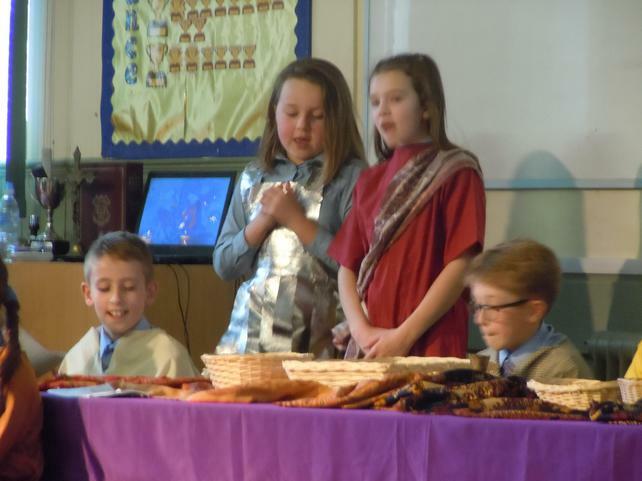 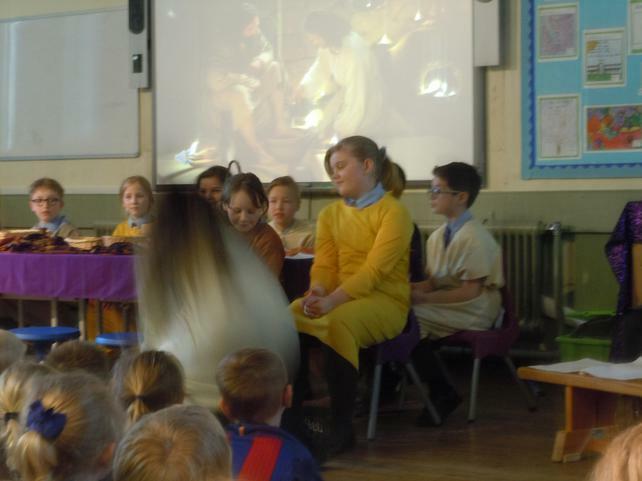 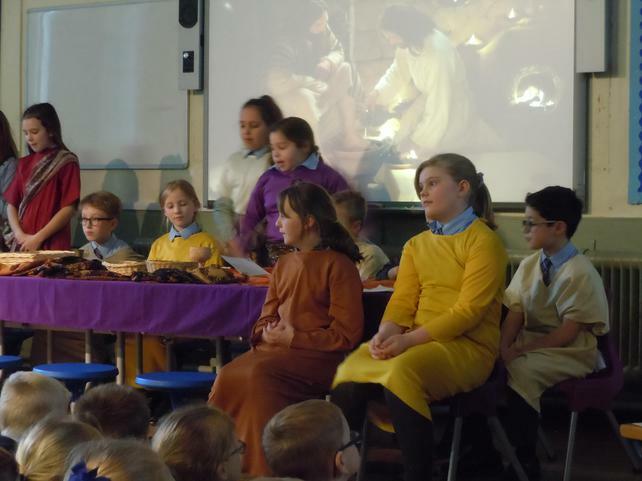 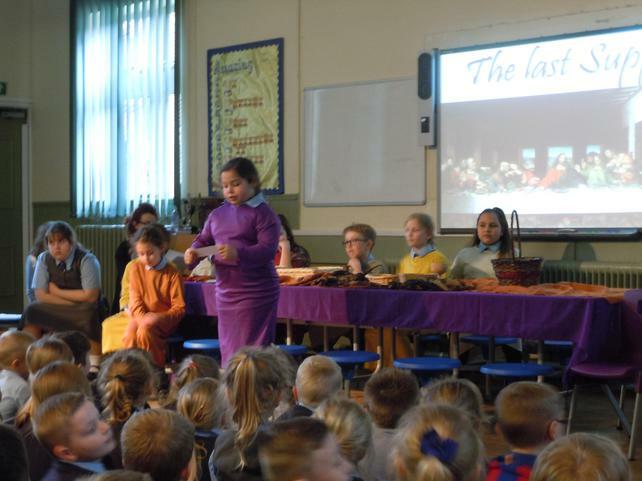 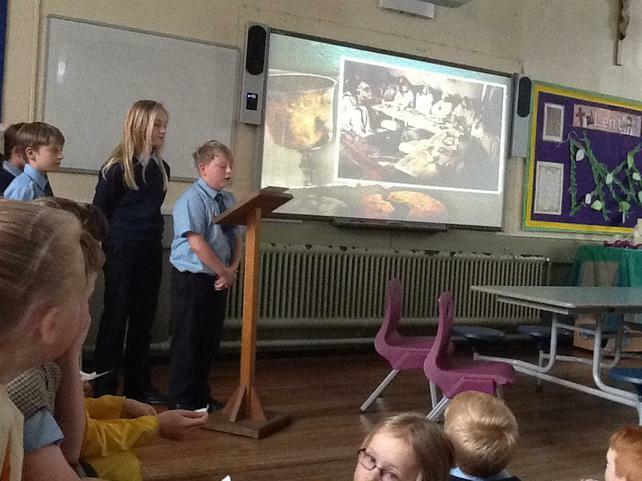 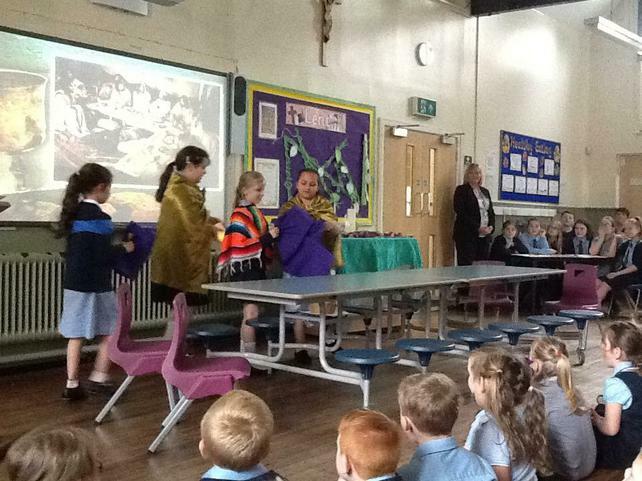 A very respectful and well acted presentation of The Last Supper by Class 4. 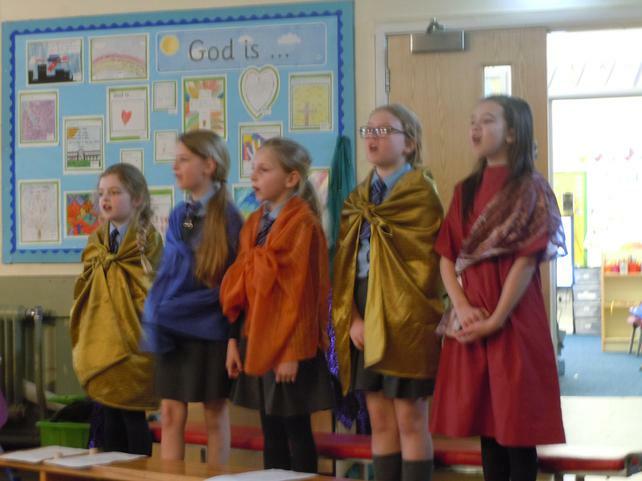 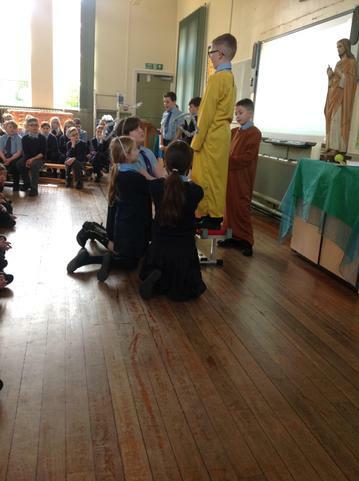 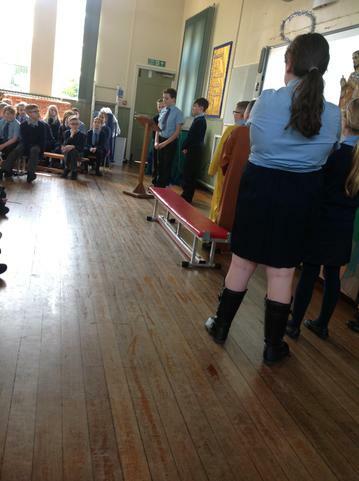 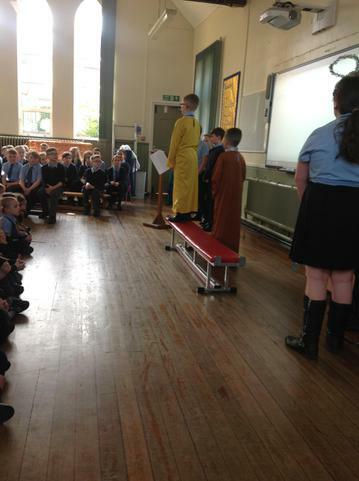 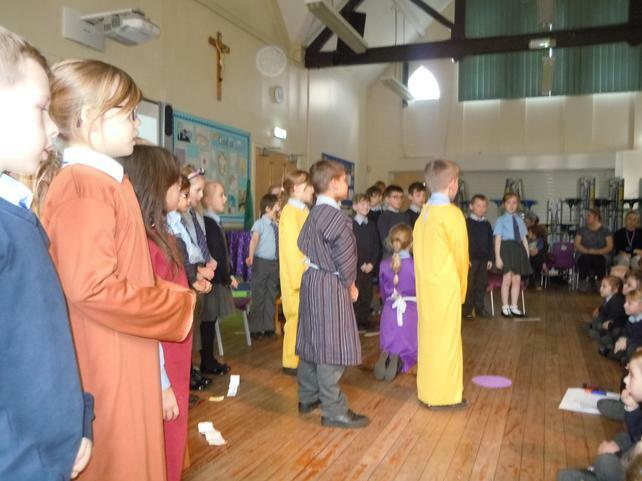 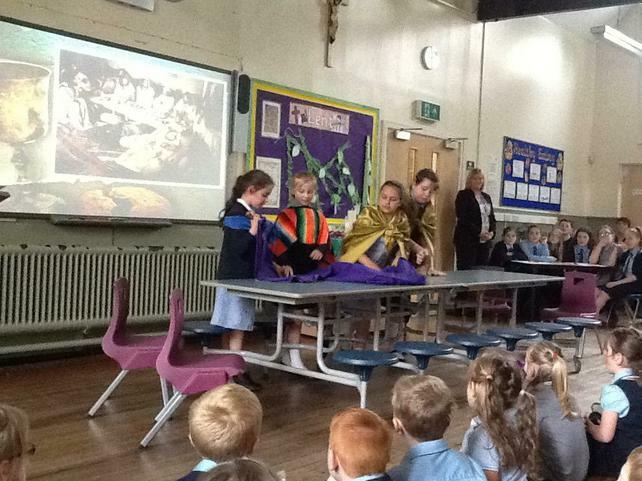 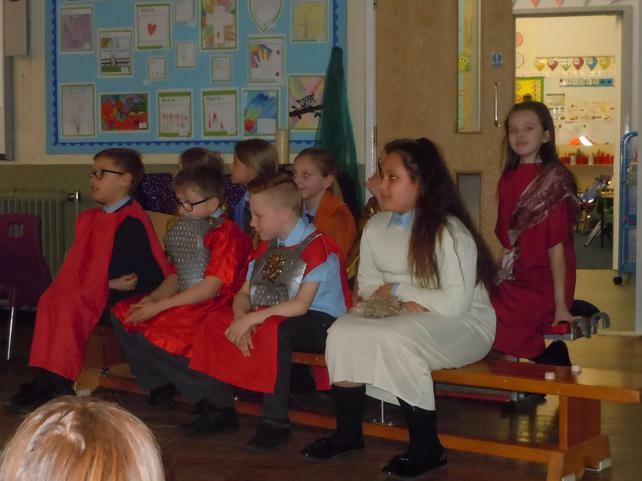 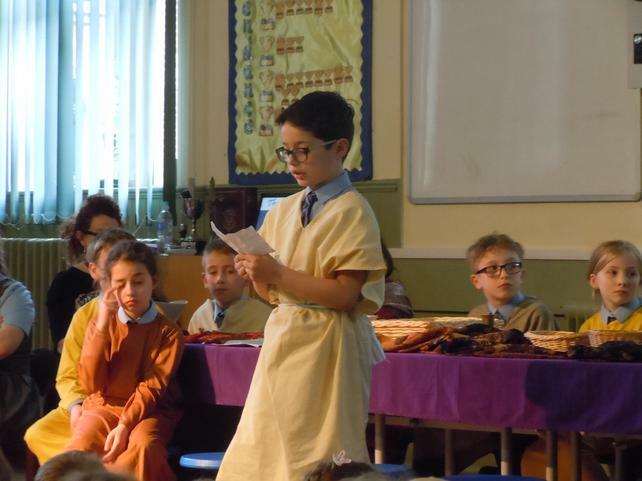 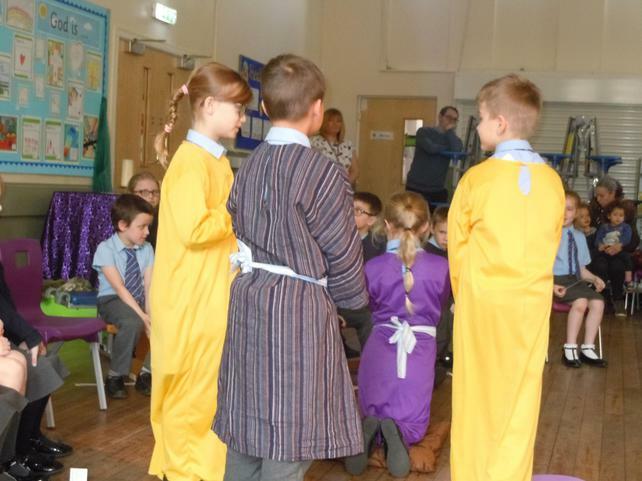 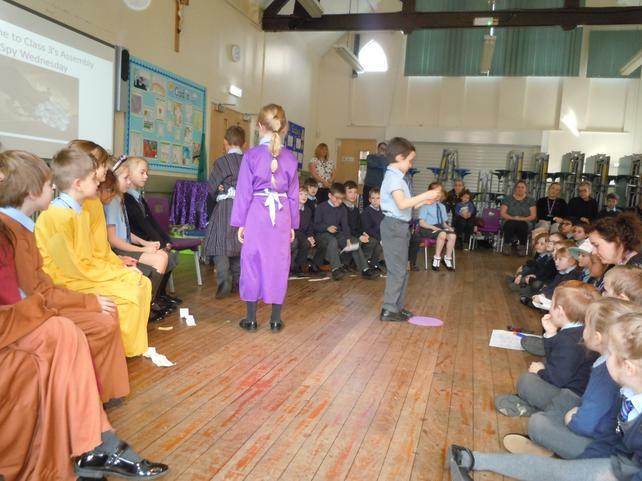 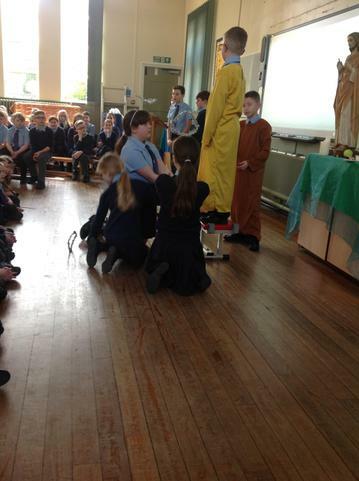 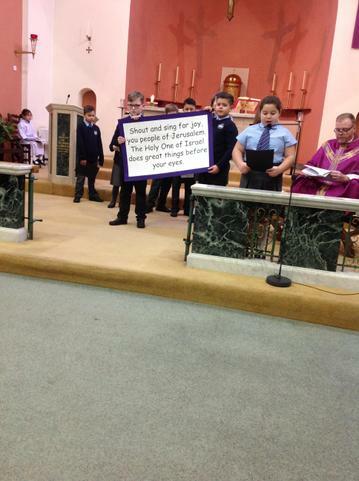 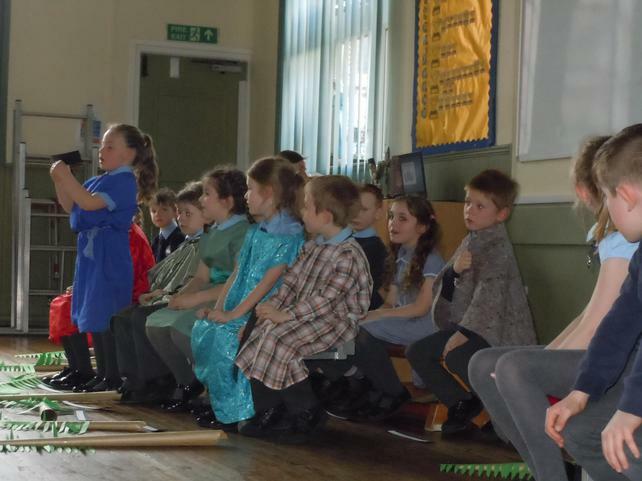 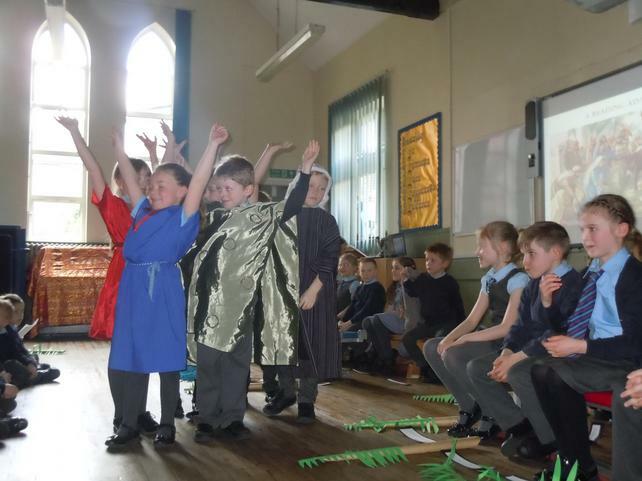 Well done to Class 3 for a brilliant presentation around the betrayal of Jesus by Judas Iscariot. 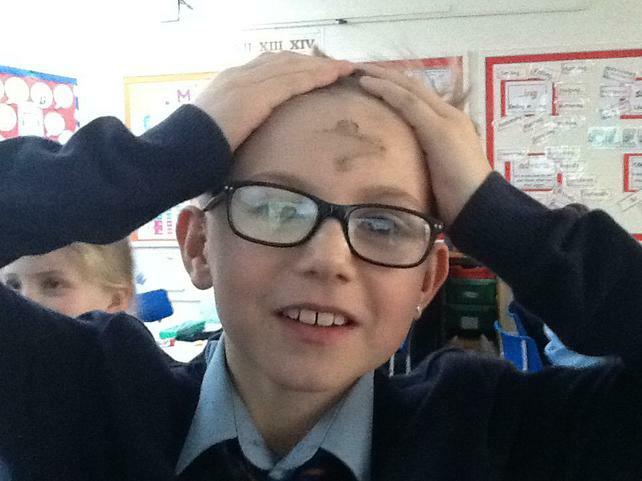 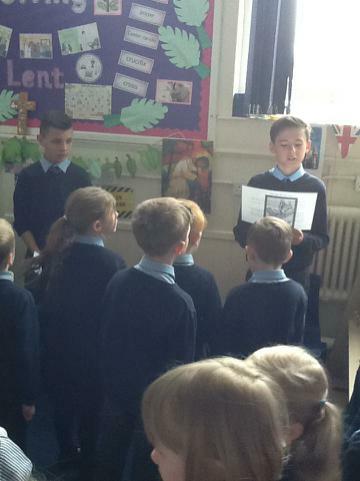 Class 5 led the prayers and readings in our Stations of the Cross with maturity and reverence. 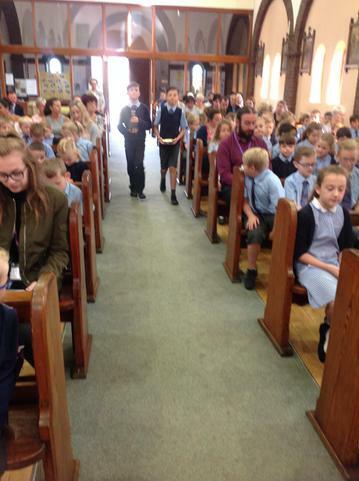 It was a beautiful service enjoyed by everyone. 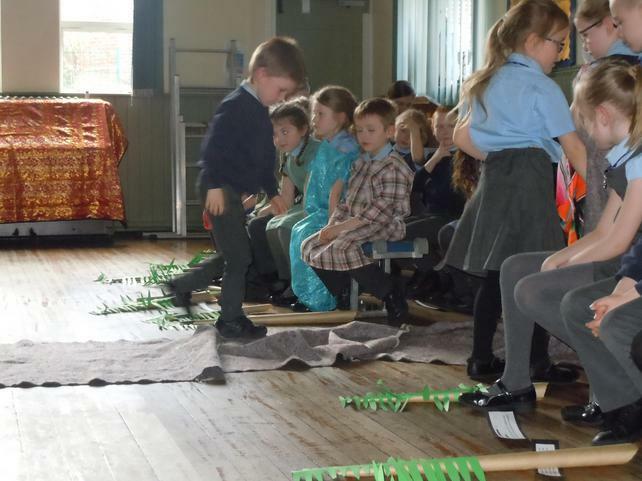 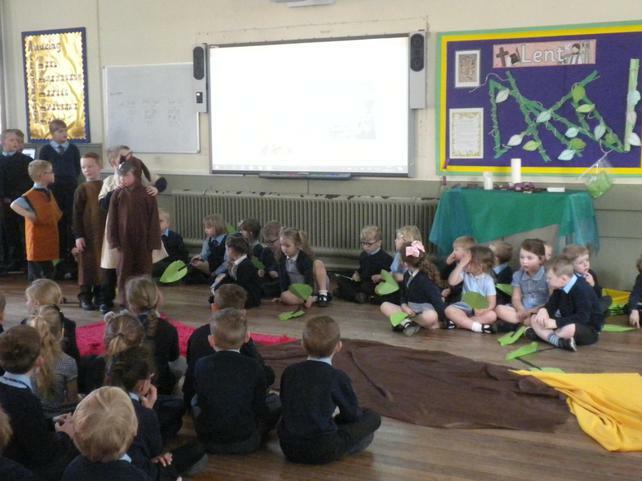 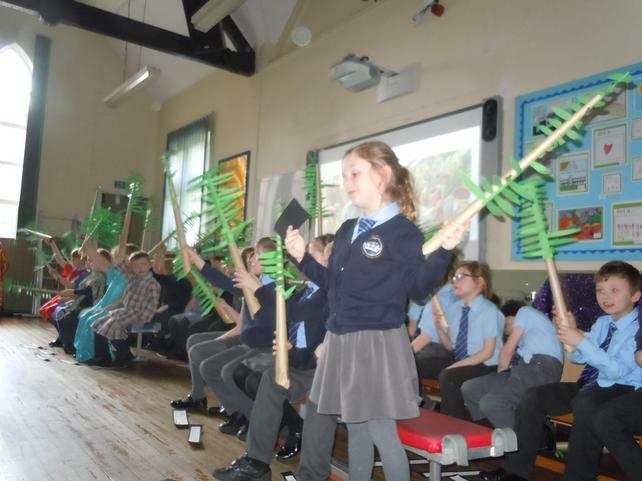 Holy Week got off to a fabulous start with class 1 and 2 leading the school in their Palm Sunday assembly. 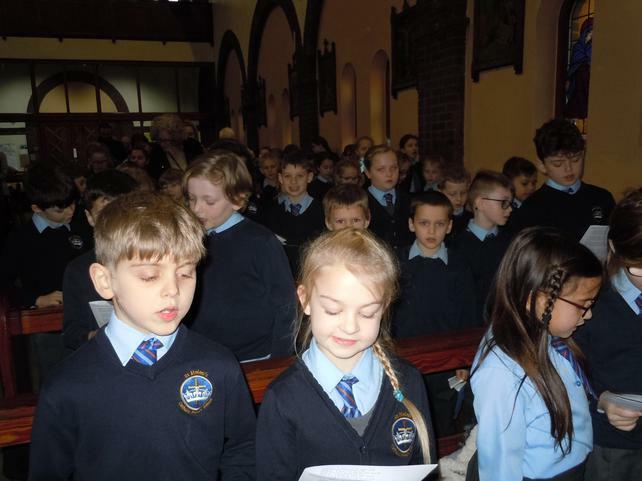 The children sang and read beautifully. 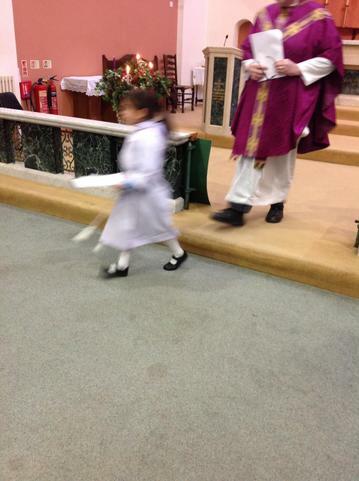 We had a beautiful service and blessing of the ashes in church. 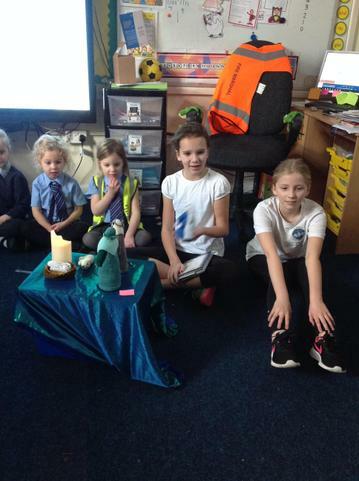 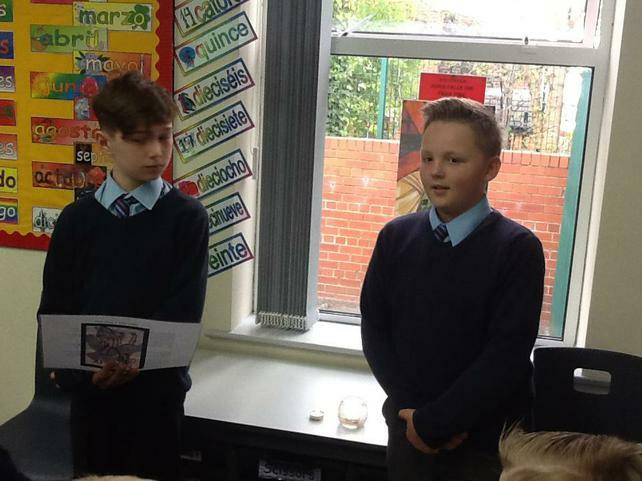 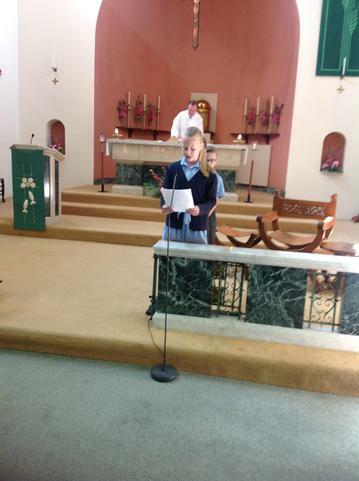 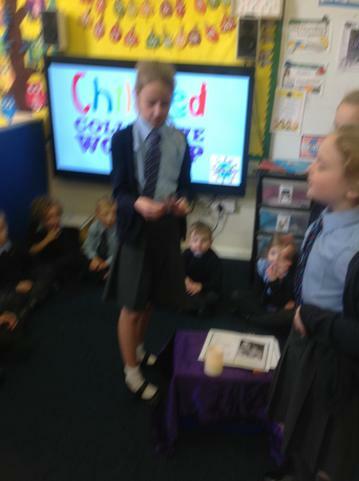 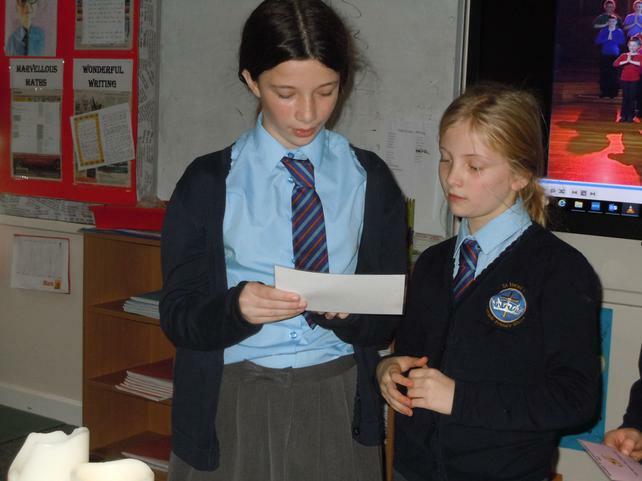 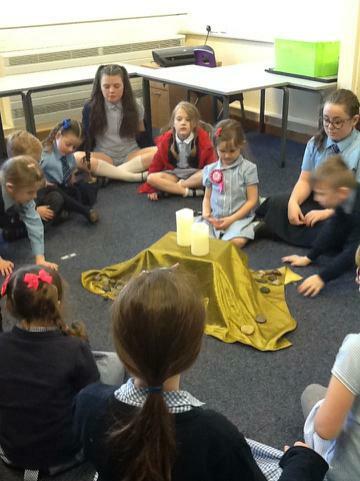 Class 4 led the readings and bidding prayers. 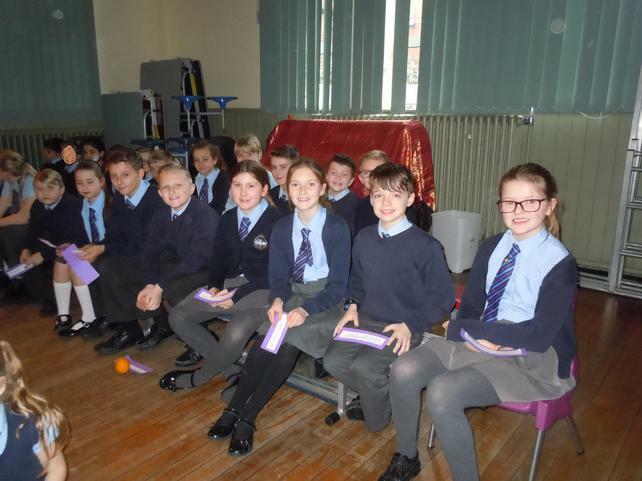 Well done to everyone on such brilliant behaviour. 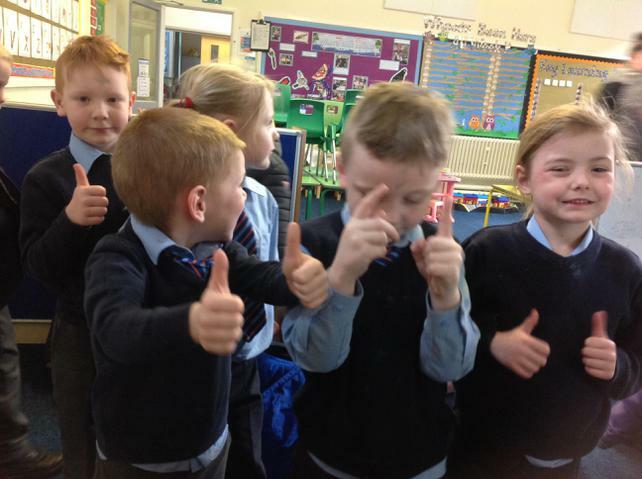 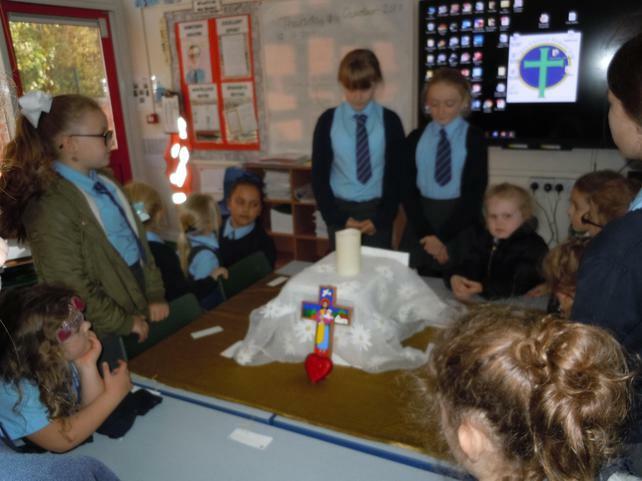 Class 5 celebrating and remembering their learning at the end of the topic "Mission". 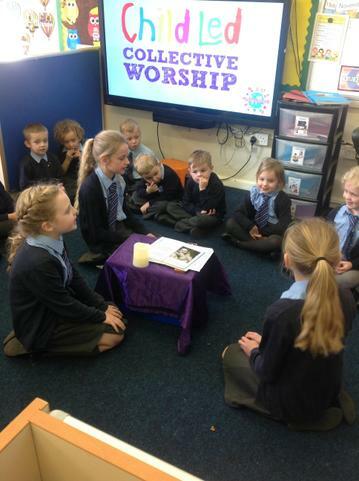 Our Worship leaders plan and lead the lunchtime prayer group under the guidance of Mrs Walker. 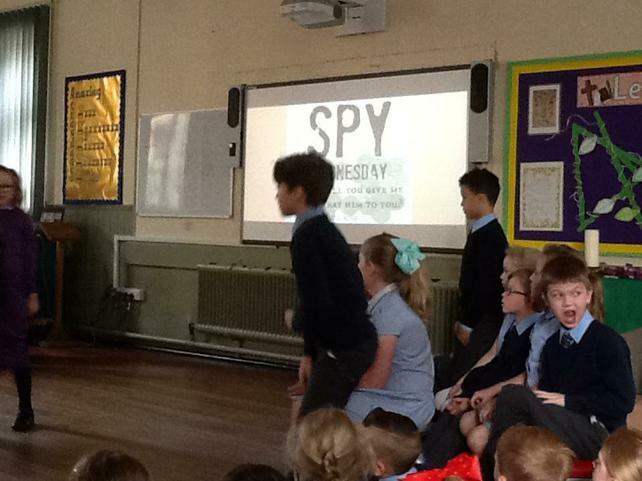 It takes place in class 4 at 1:30pm (during lunchtime) each Thursday. 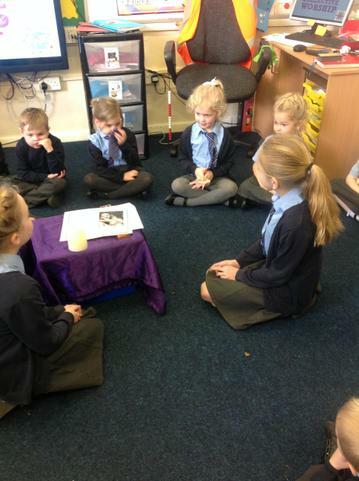 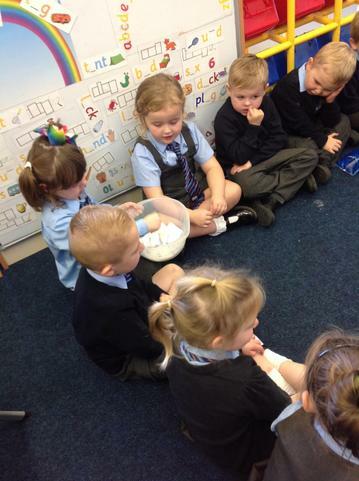 At prayer group today we prayed for our sick friends and family members. 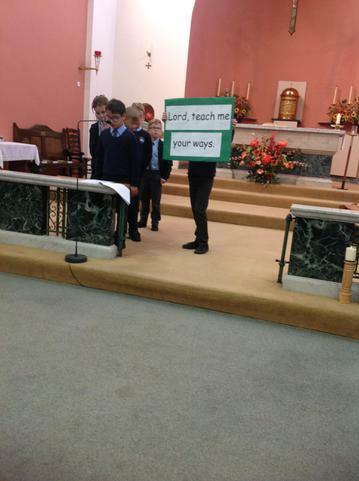 The theme was forgiving hands. 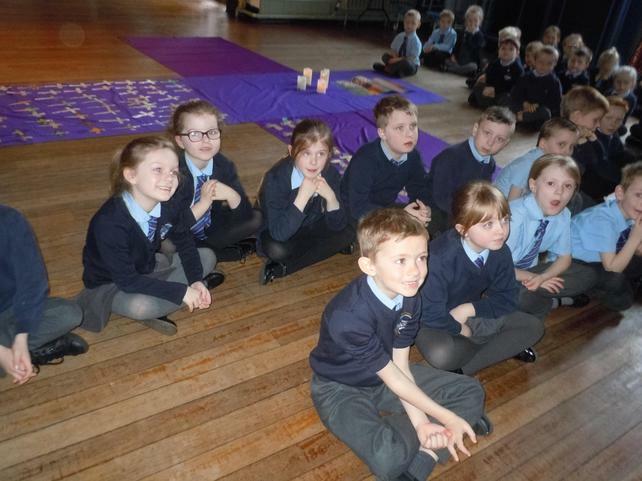 Class 4 prepared the prayers and read at our Advent Mass. 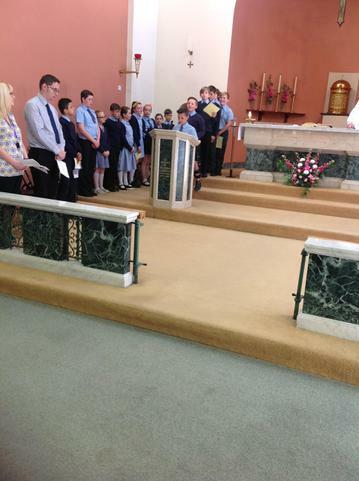 It was a beautiful service, our first Mass celebrated with Father Declan. 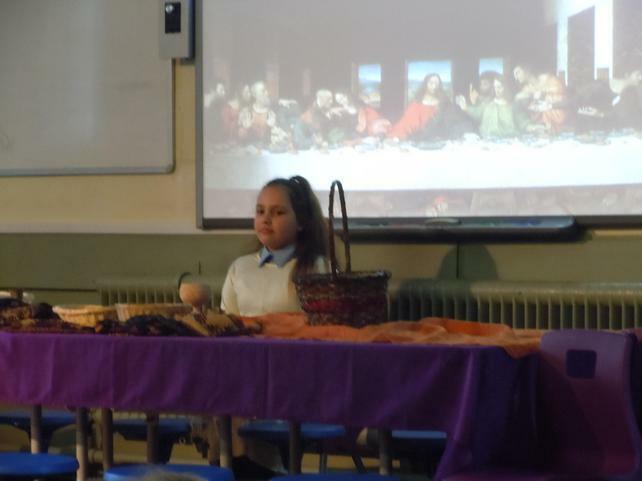 The theme today was "gifts." 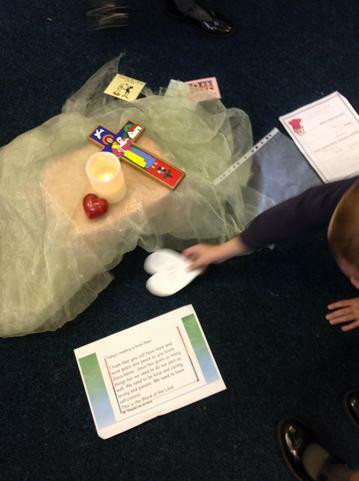 The theme of today's worship was love. 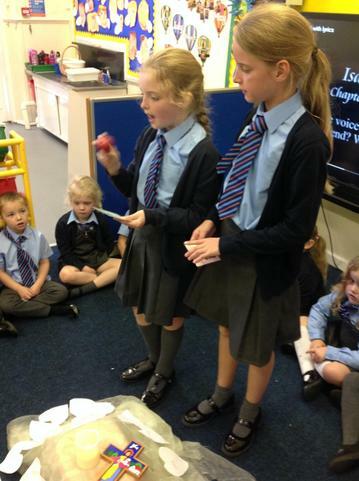 The theme was "a recipe for a good class". 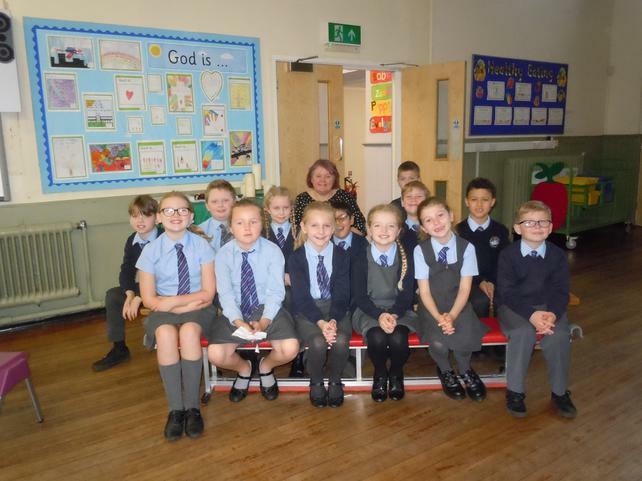 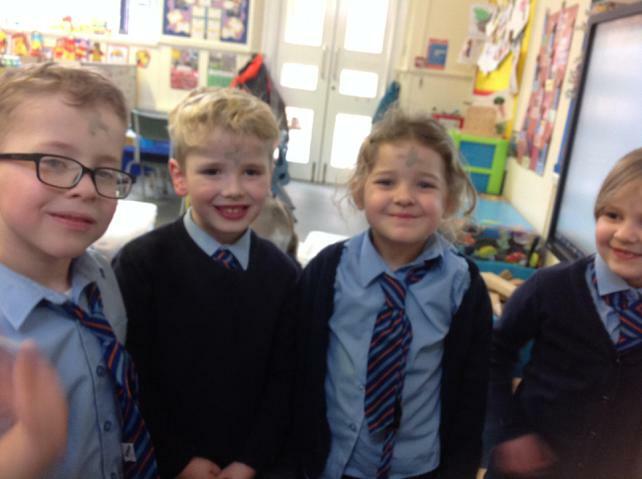 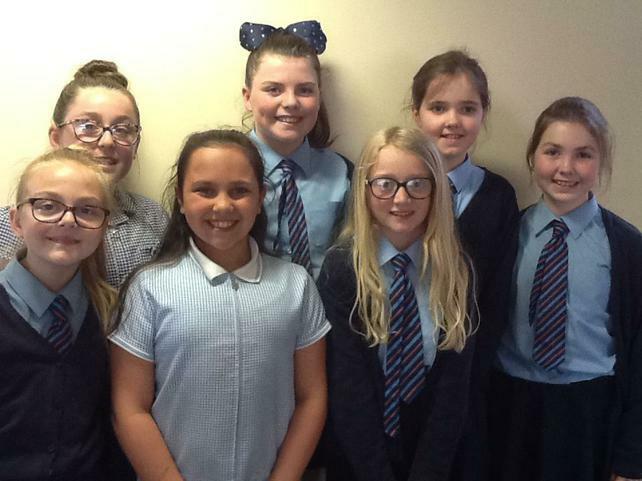 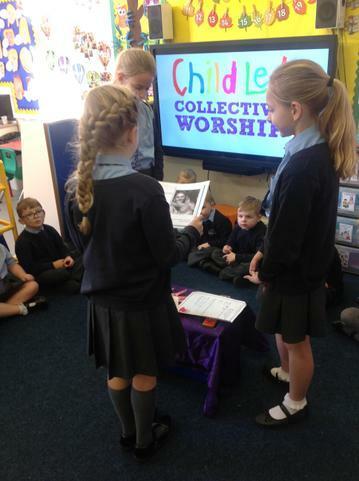 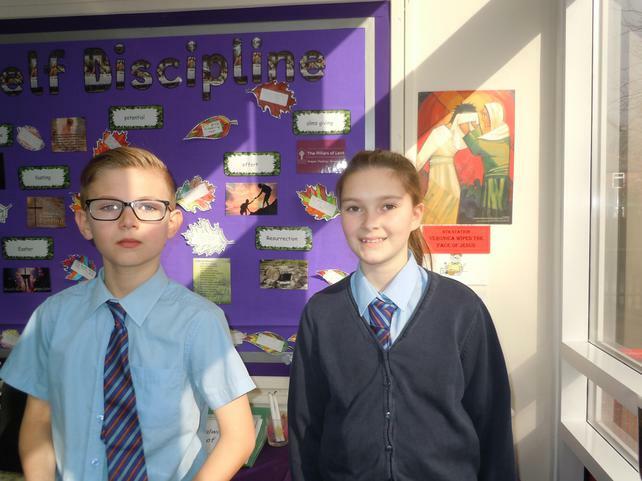 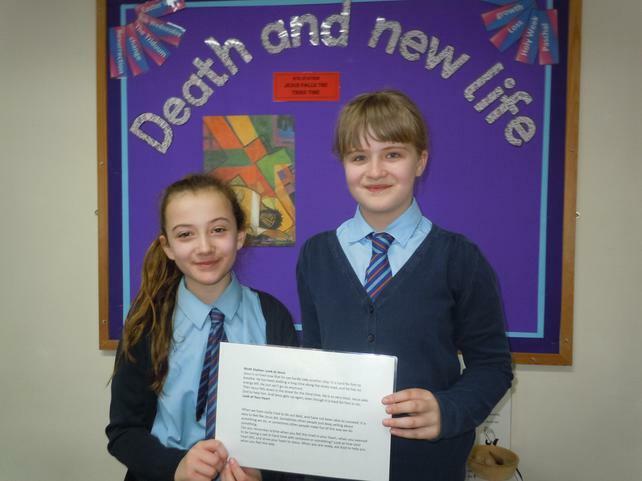 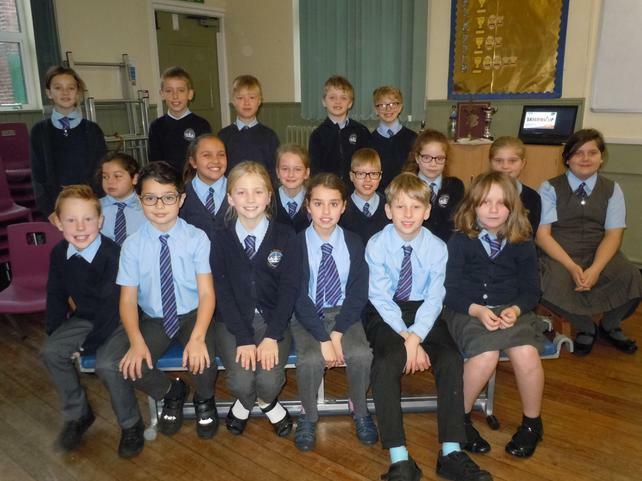 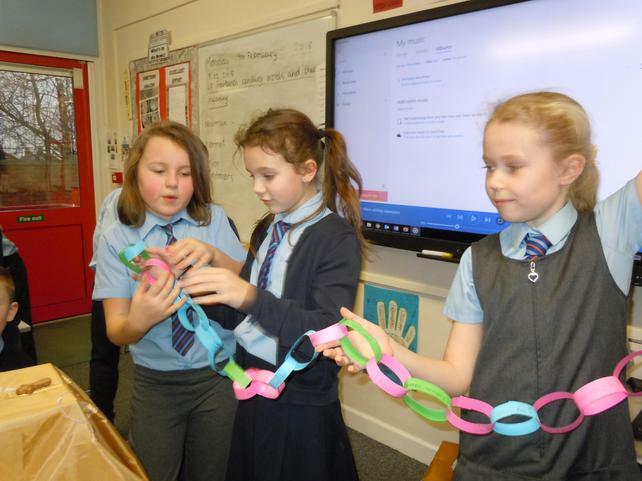 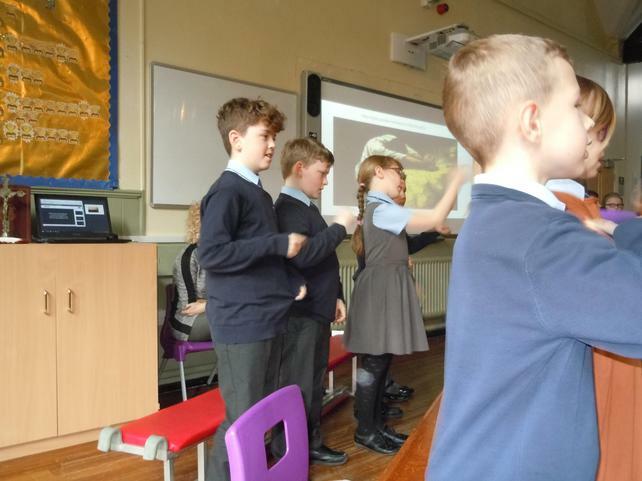 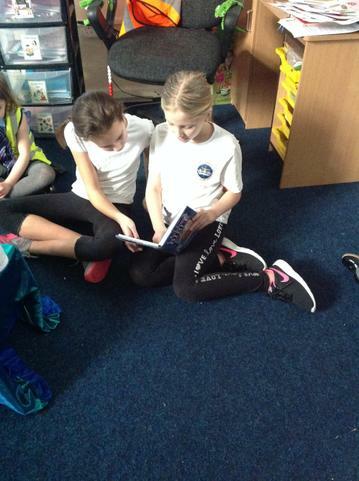 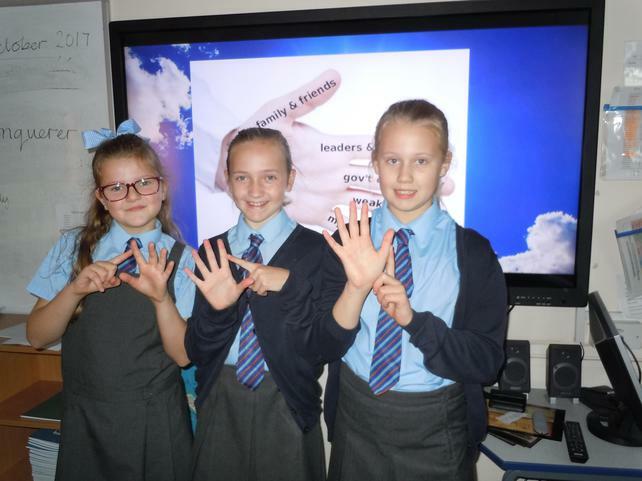 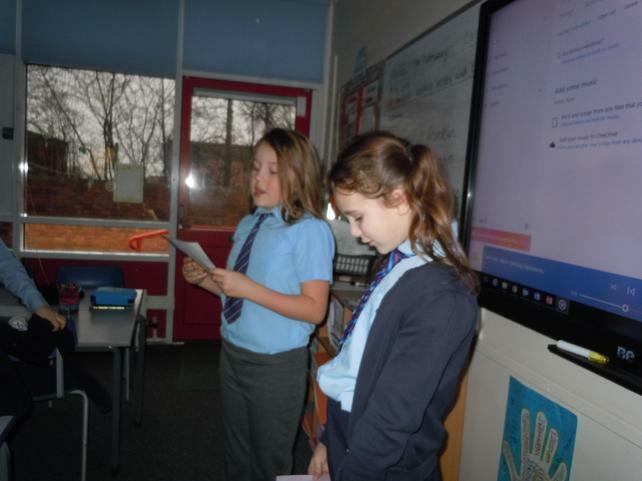 Our worship leaders help with readings and drama in Mrs Walker's assembly, they plan and lead prayer group on Thursday lunchtimes and also plan and lead class worship each week in class 1. 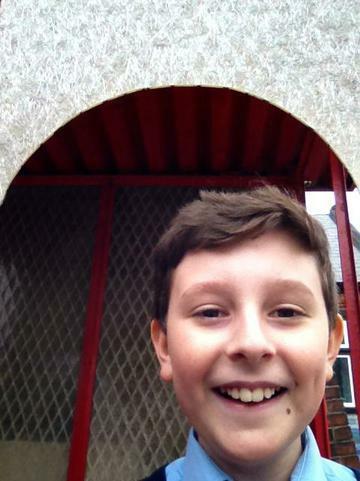 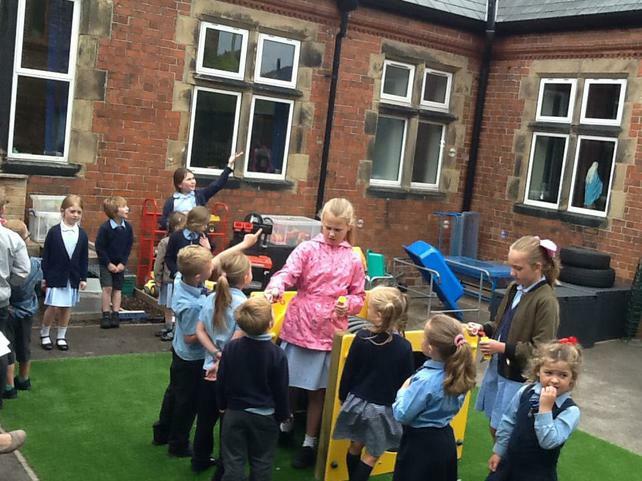 They do a fantastic job! 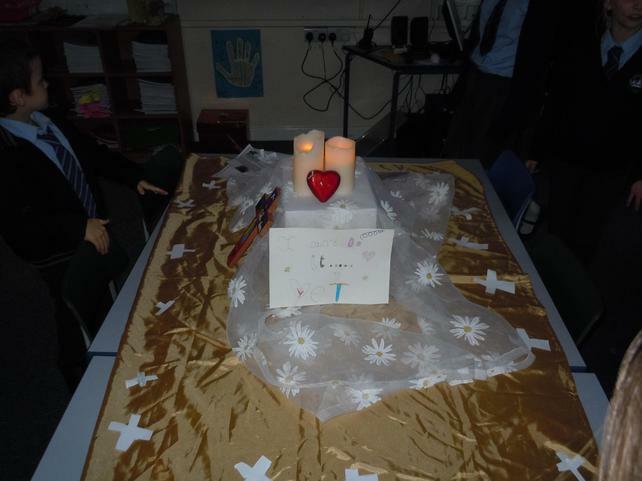 Our worship leaders planned this week's prayer group around praying for our loved ones. 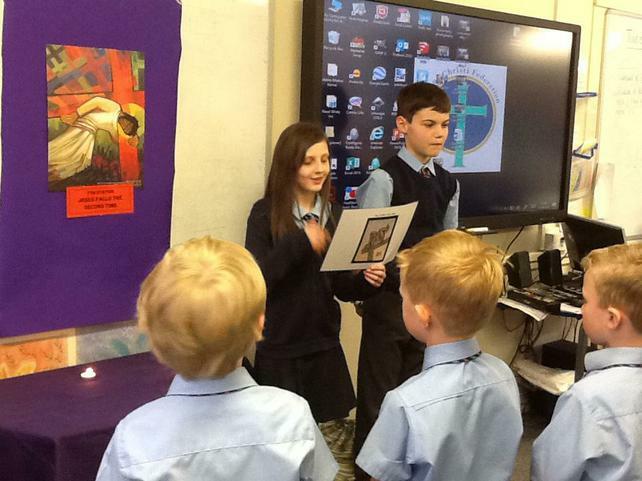 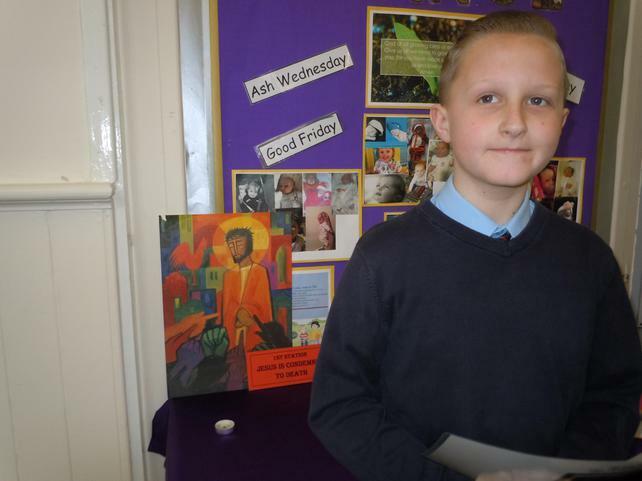 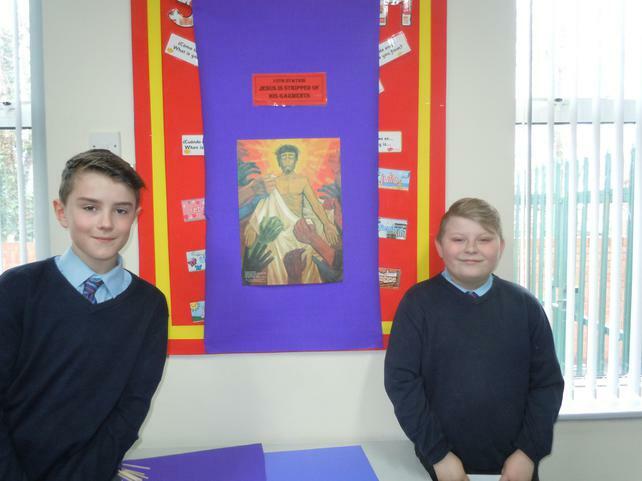 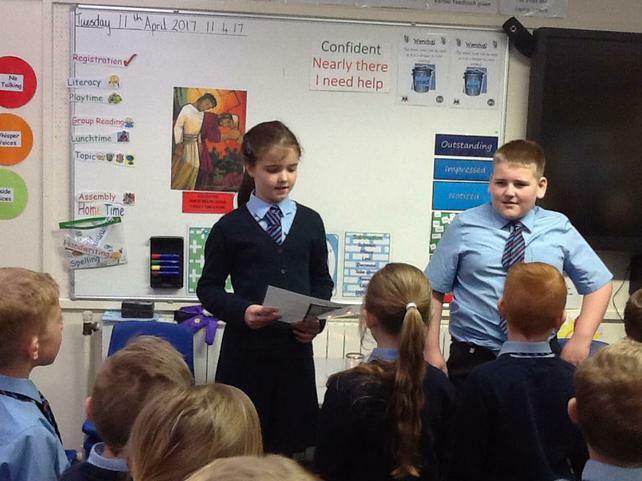 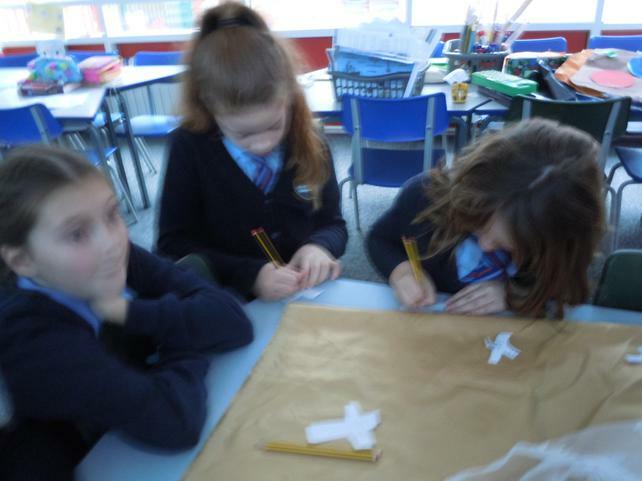 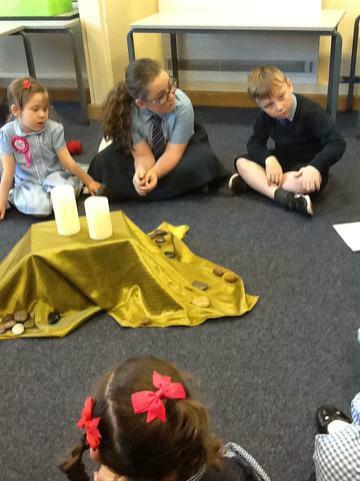 The children have shared the planning and leading of different aspects of Holy Week. 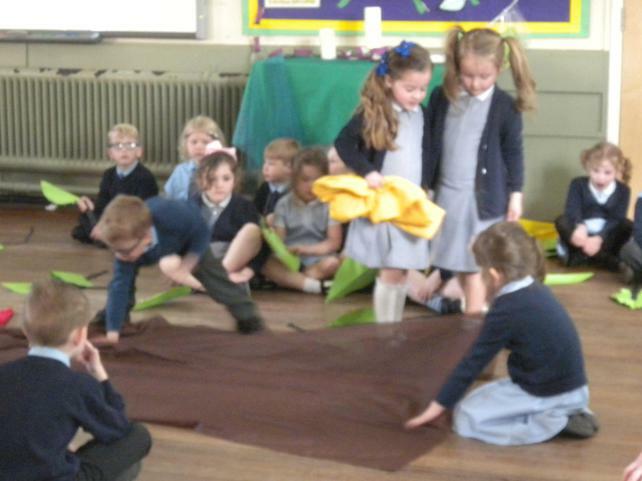 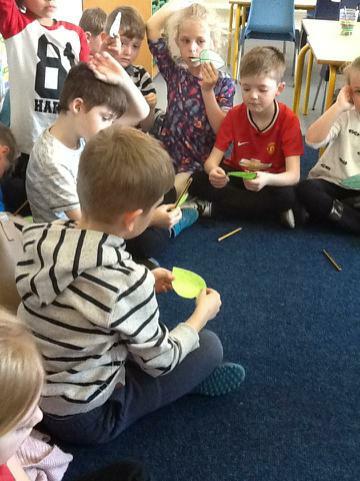 Together, the children and staff have enjoyed a Holy Preparation to the Easter Celebration. 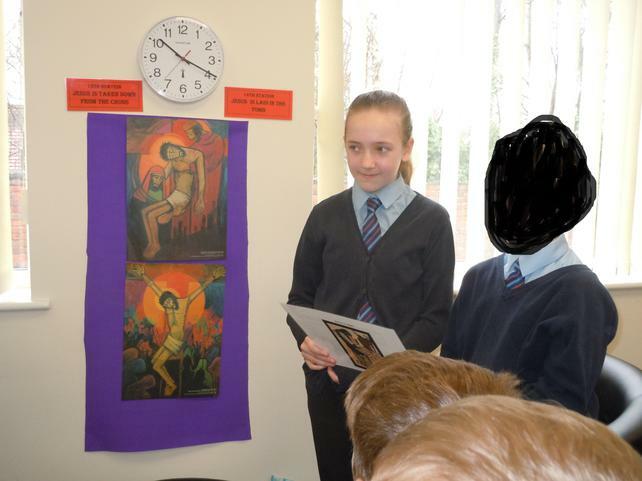 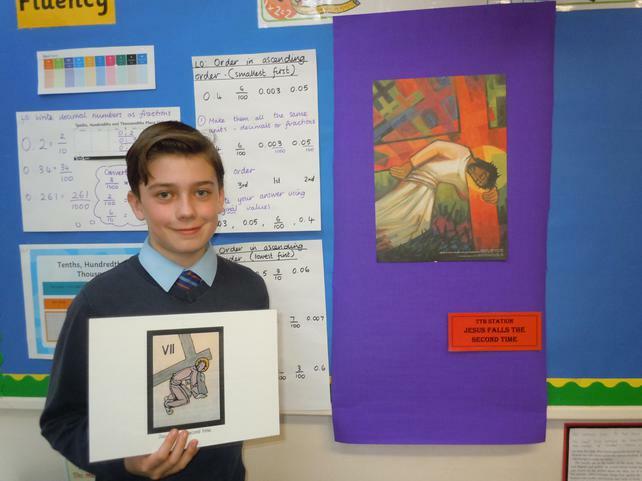 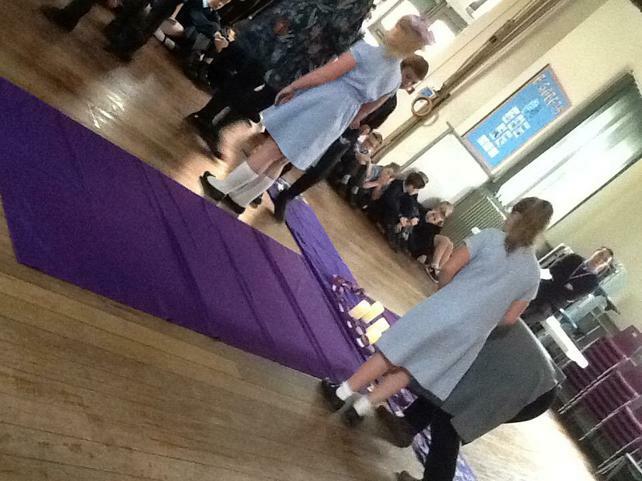 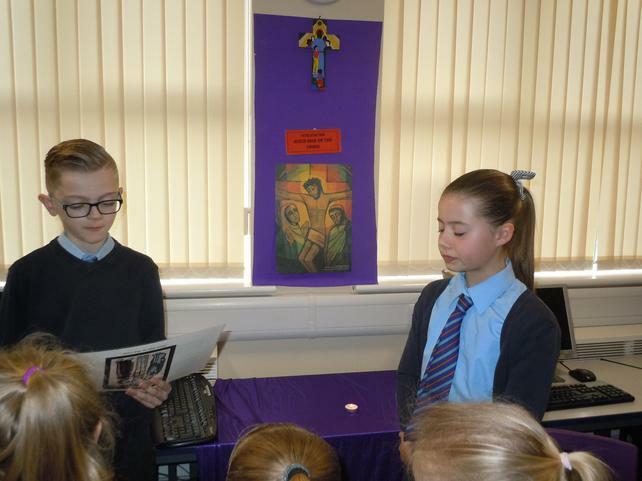 Stations of the Cross with the readings and reflections at each station read by Year 6. 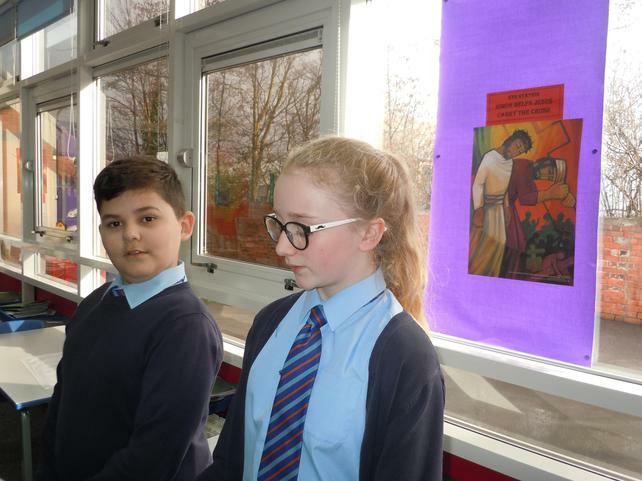 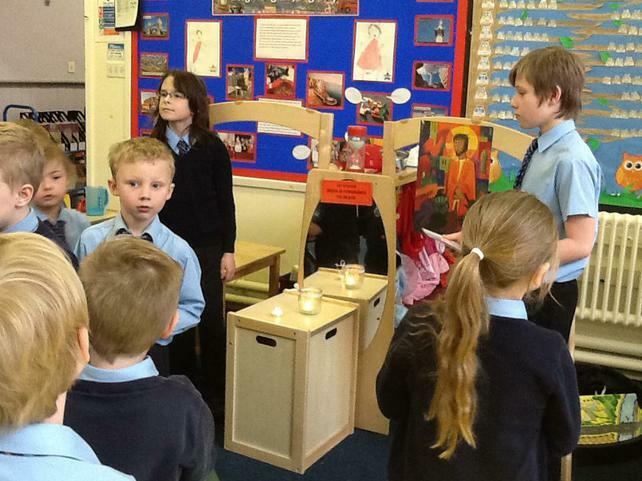 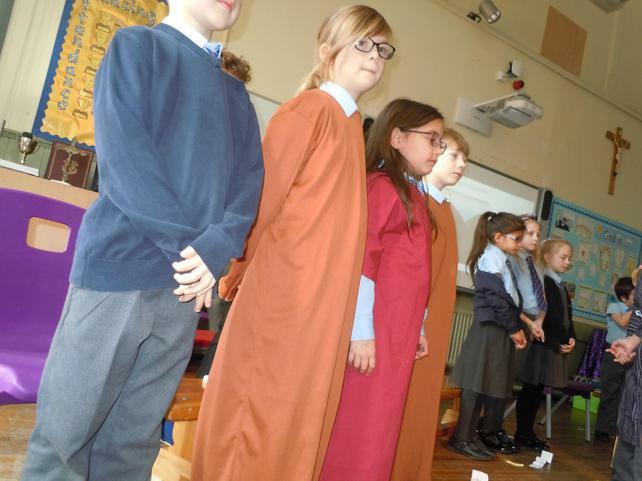 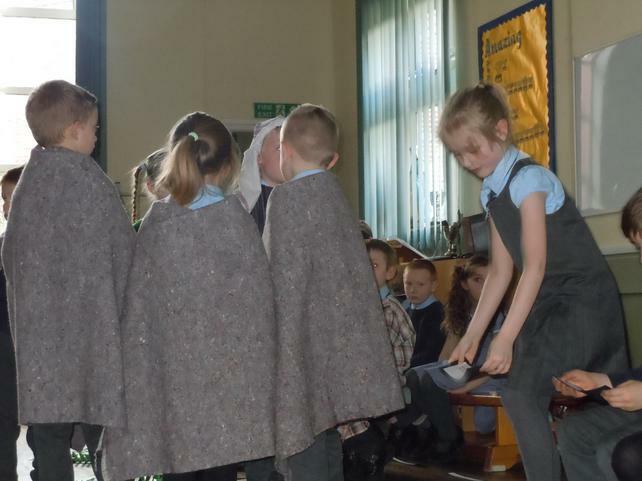 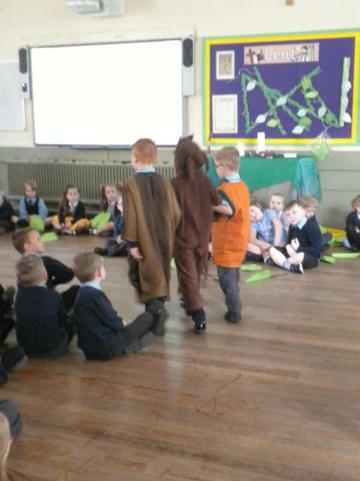 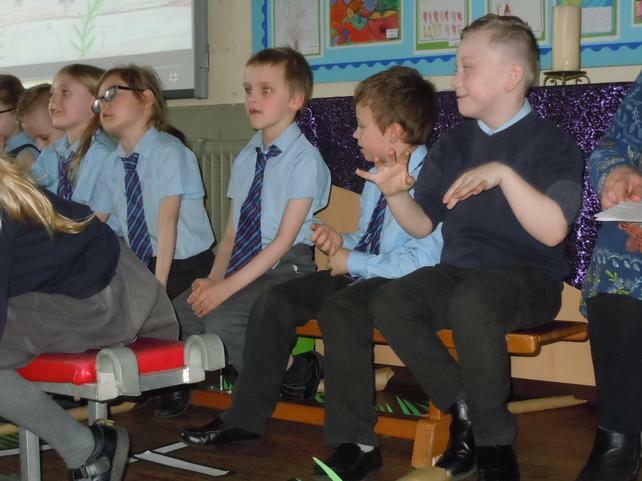 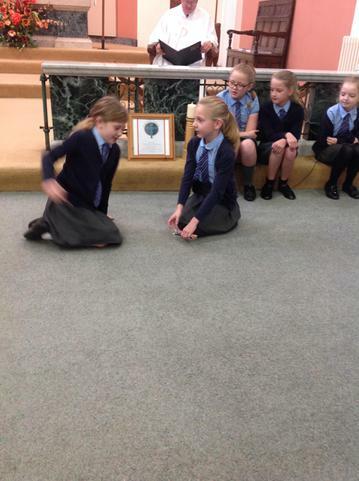 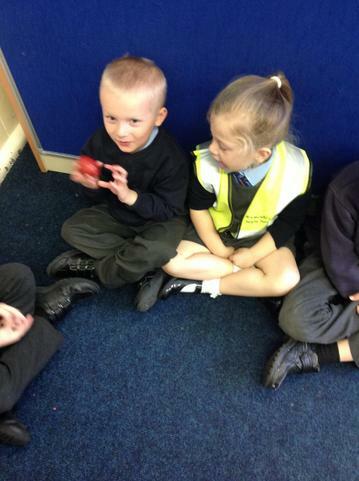 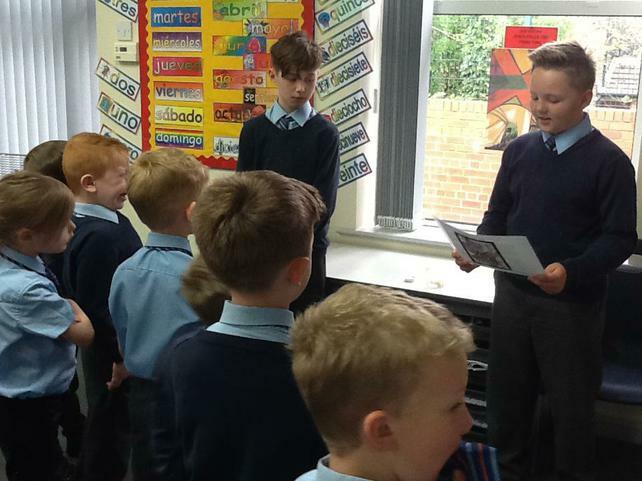 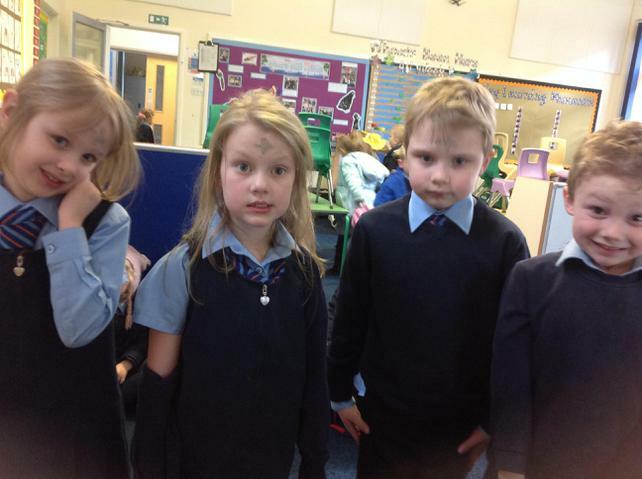 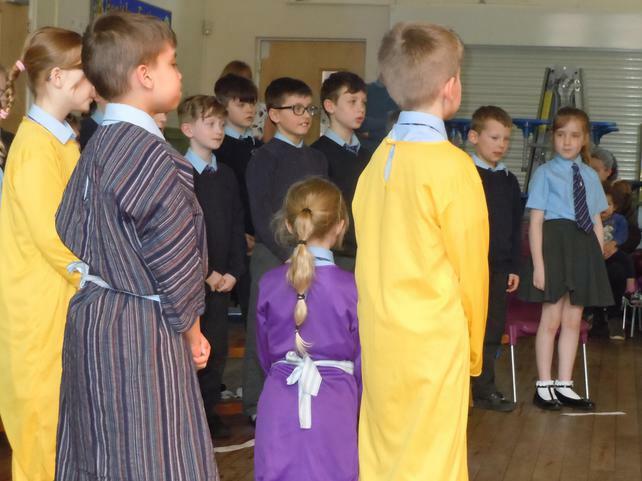 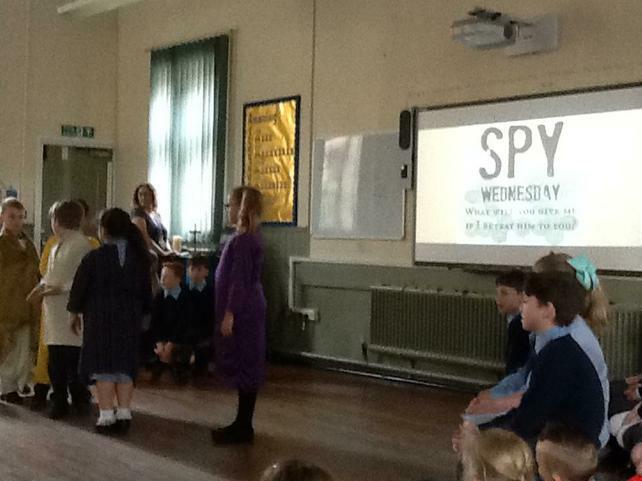 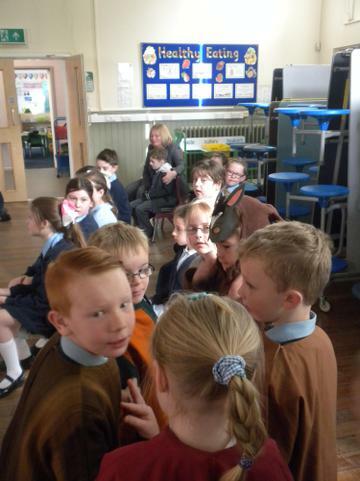 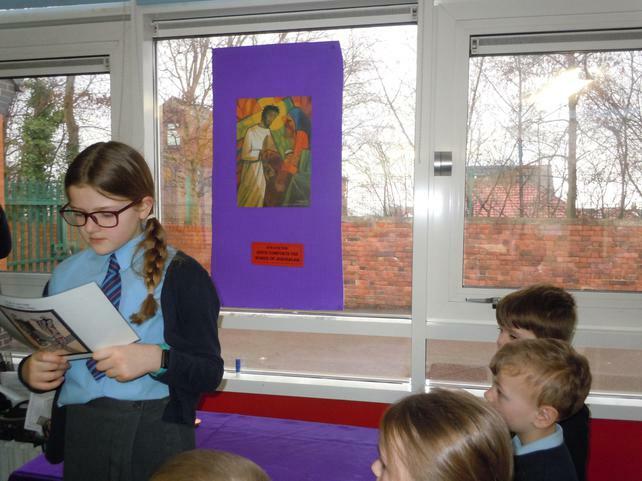 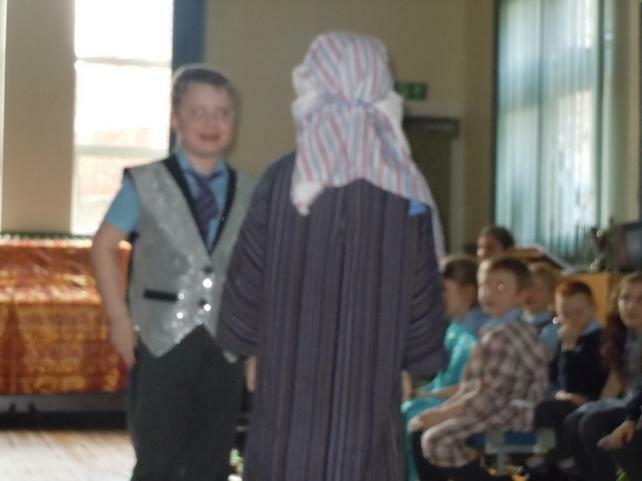 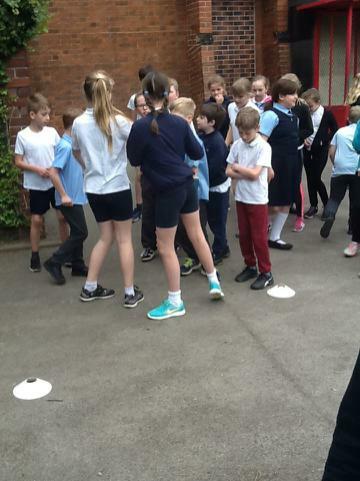 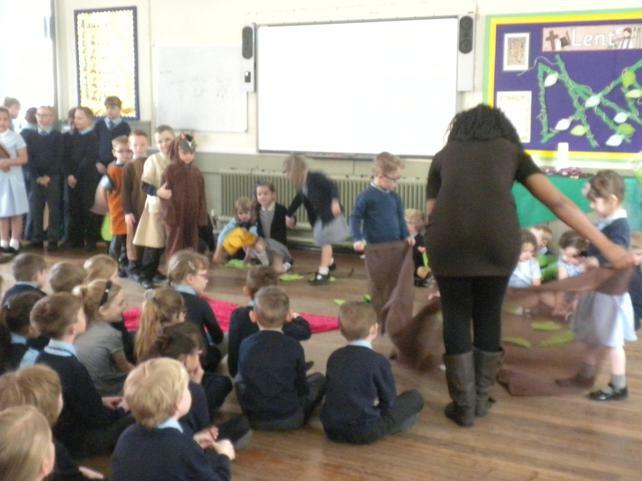 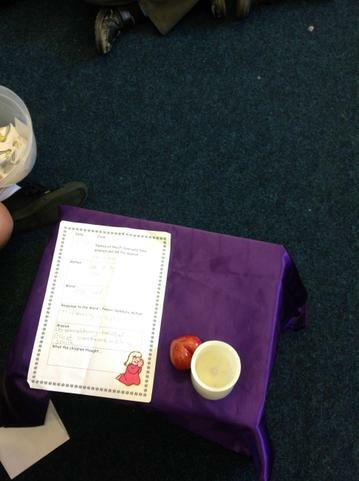 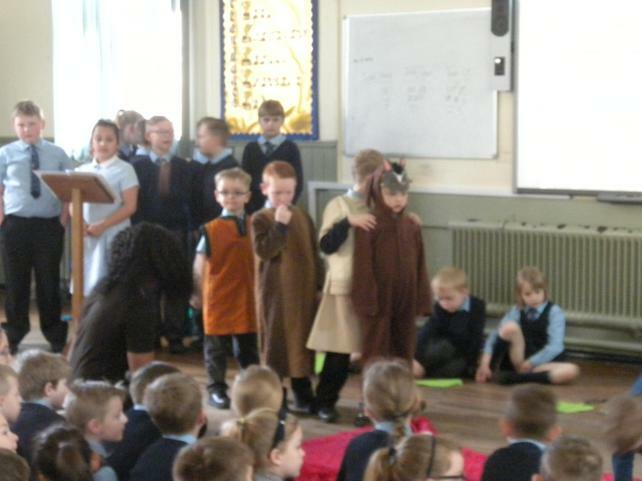 Spy Wednesday - Class 3 tell the story of Judas Iscariot. 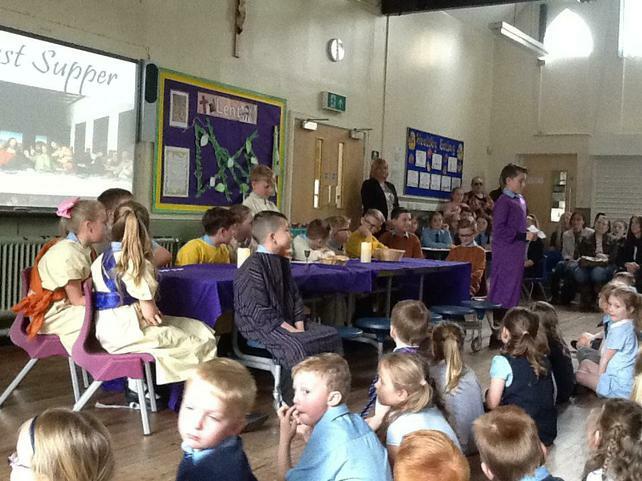 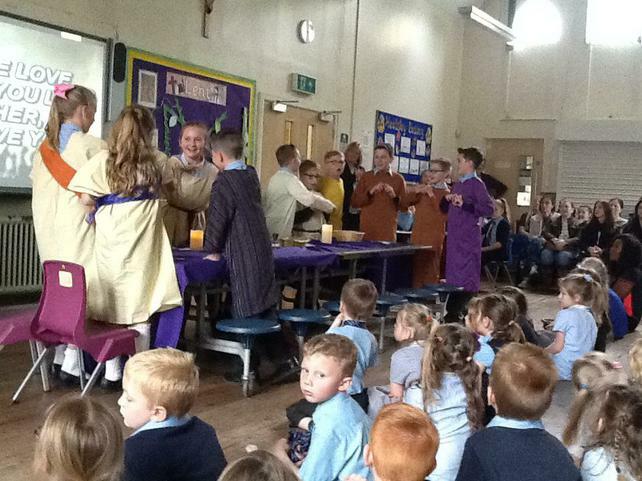 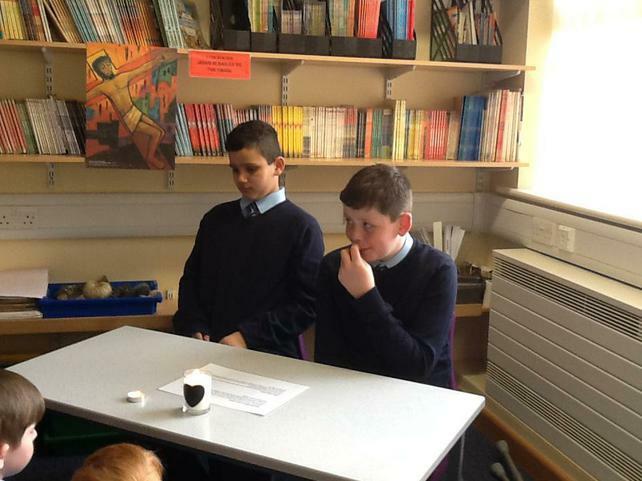 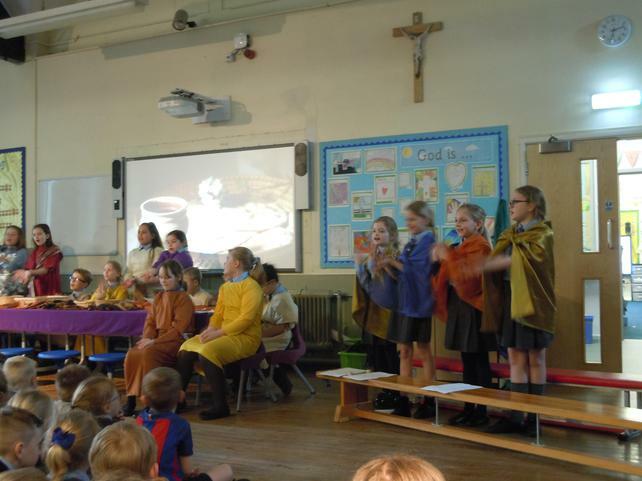 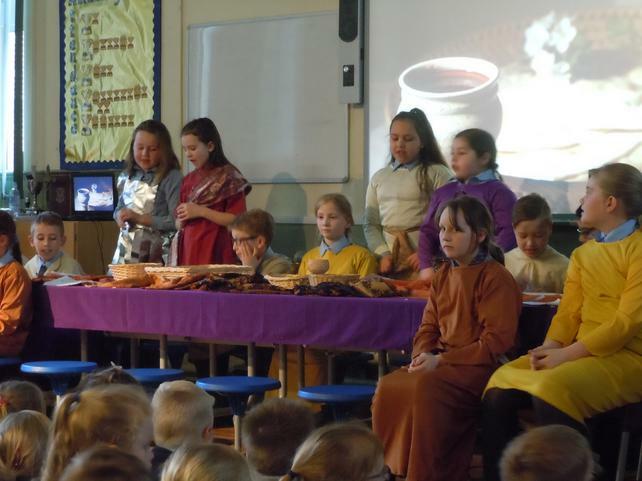 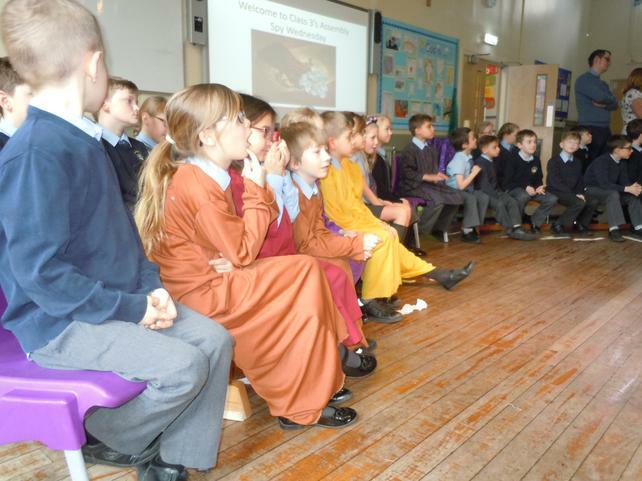 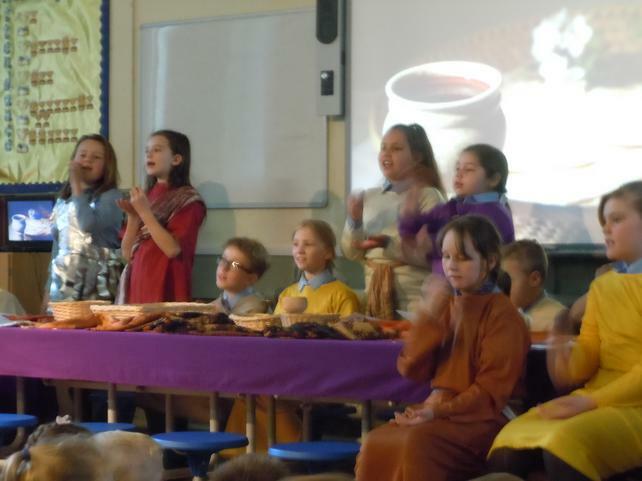 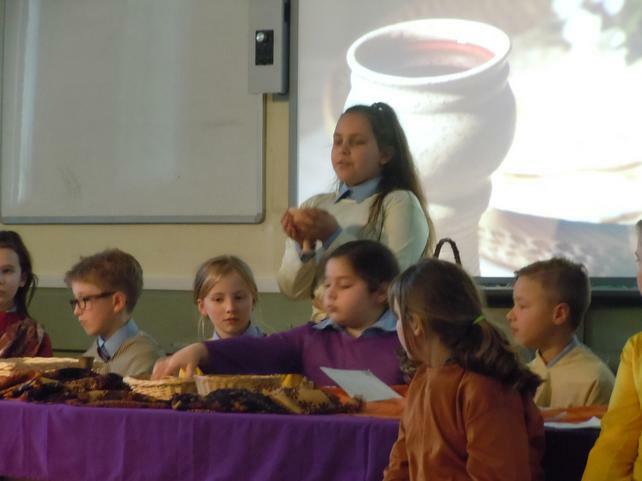 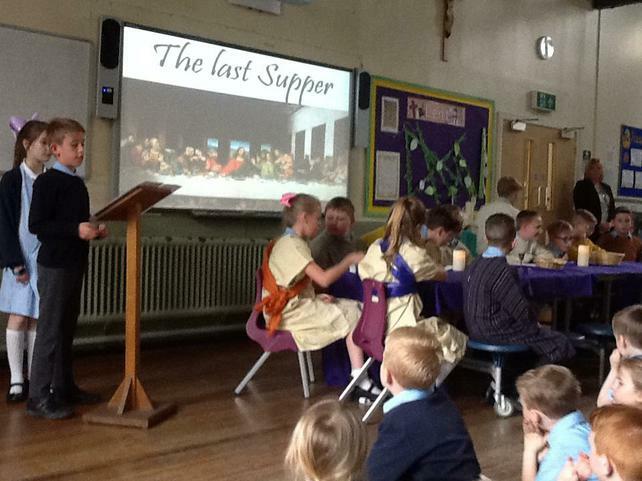 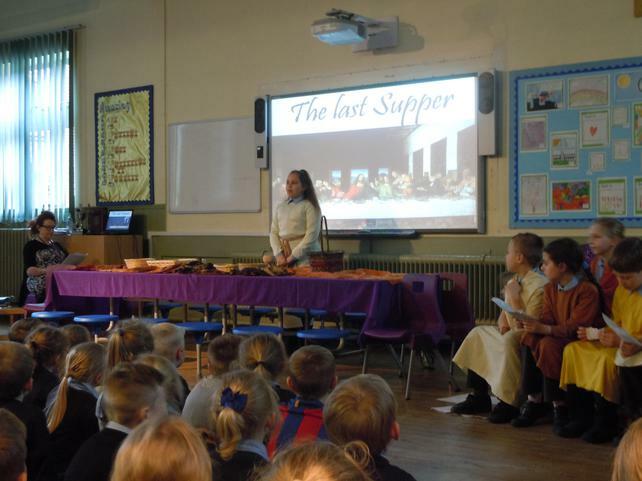 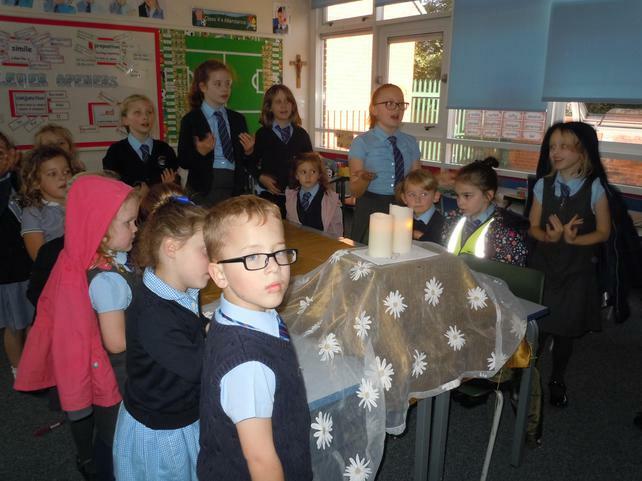 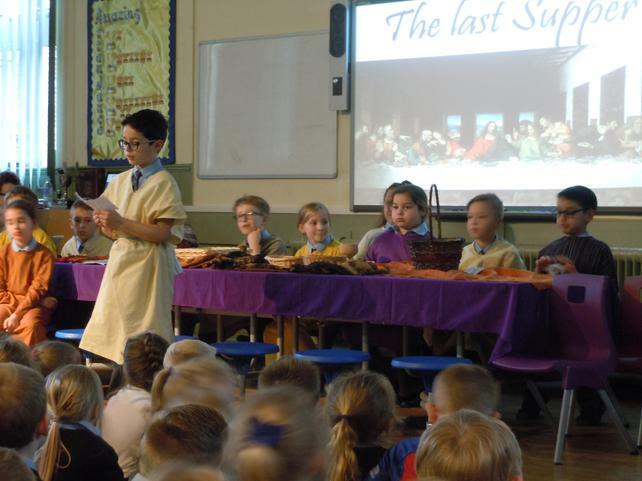 The Last Supper - Class 4 share the story of the last Passover feast Jesus shared with his disciples. 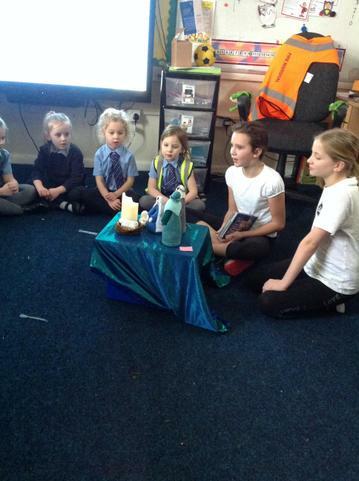 Some of the Worship Team planned and led this worship for Thursday's Prayer Group. 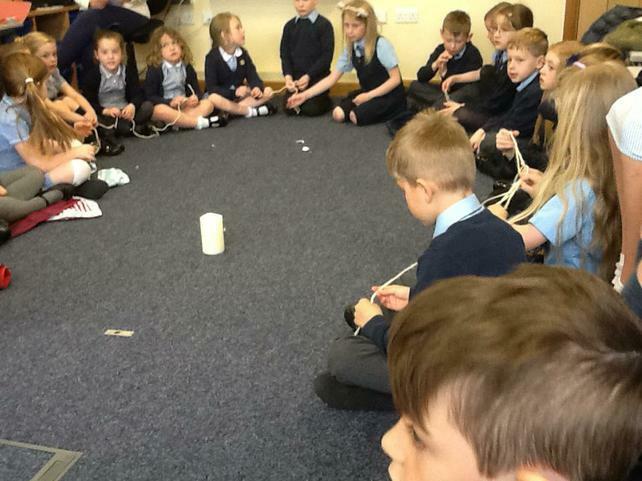 The theme was "Friendship". 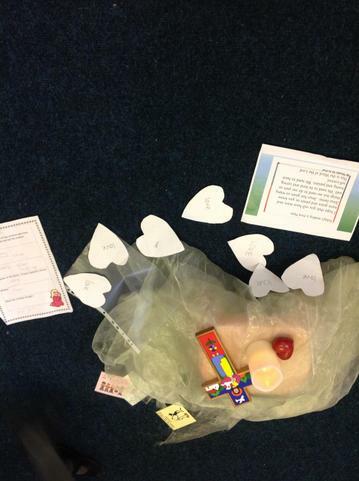 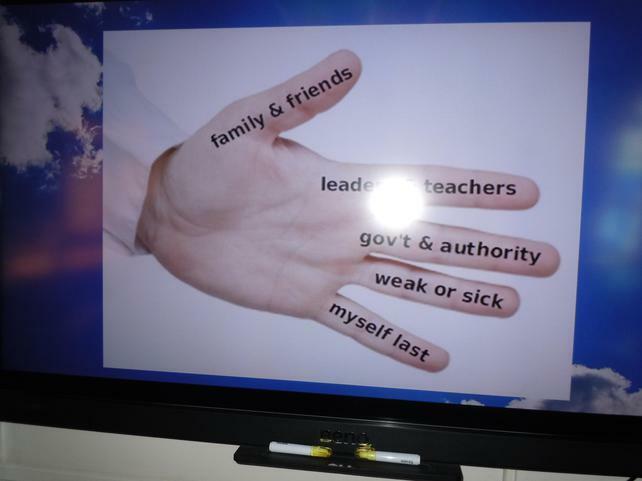 Some of the worship team have planned their worship around giving thanks for people who help and love us. 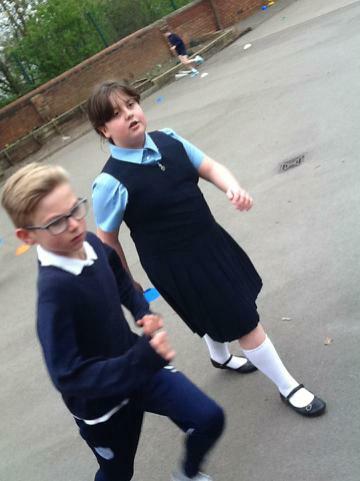 The R.E. 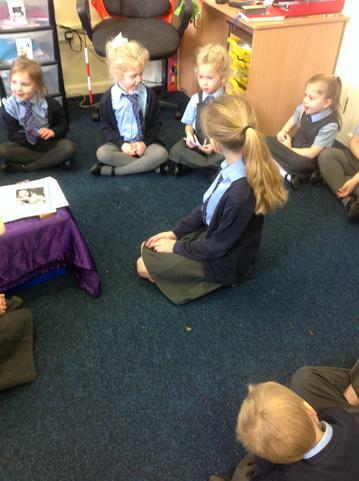 topic at the time was "Giving and Receiving". 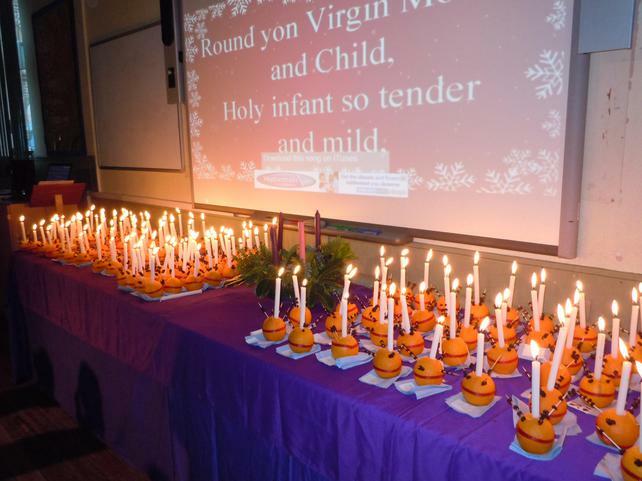 It was a beautiful celebration on Wednesday. 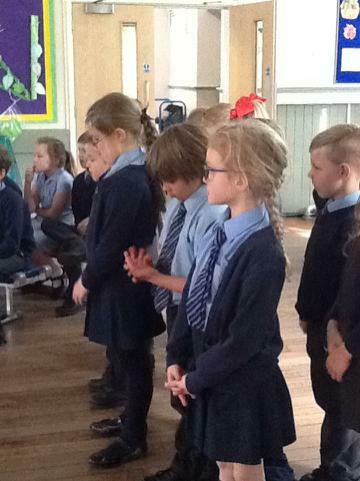 Class 3 did an amazing job with their prayers, written with sensitivity and sincerity. 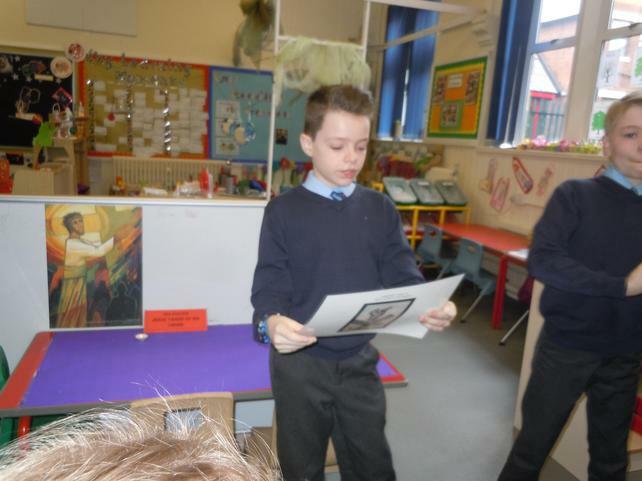 The readers were clear and expressive. 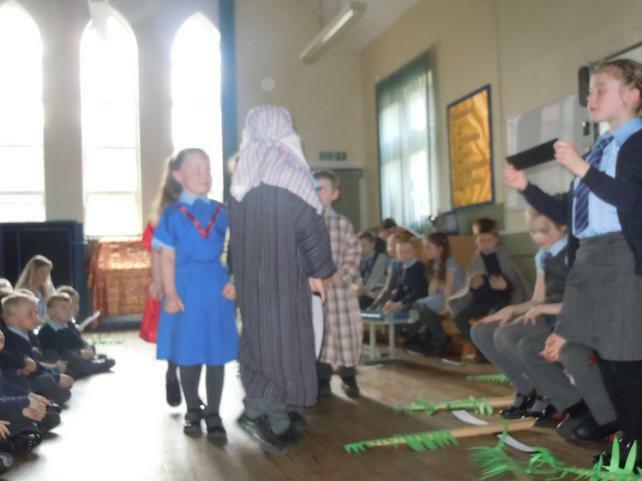 Well done to Mrs Reed, Mrs Reynolds and Class 3. 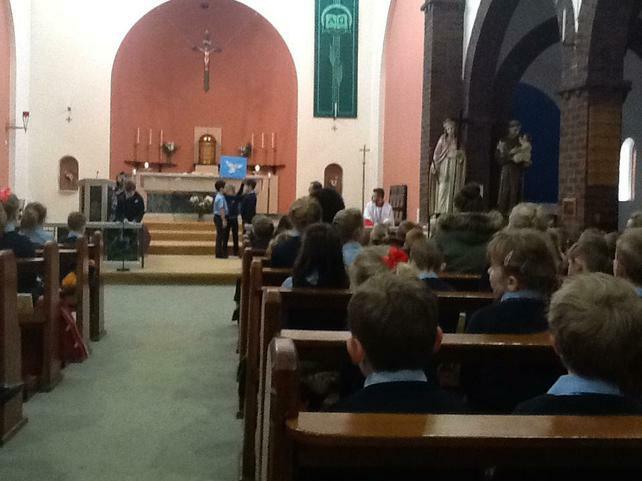 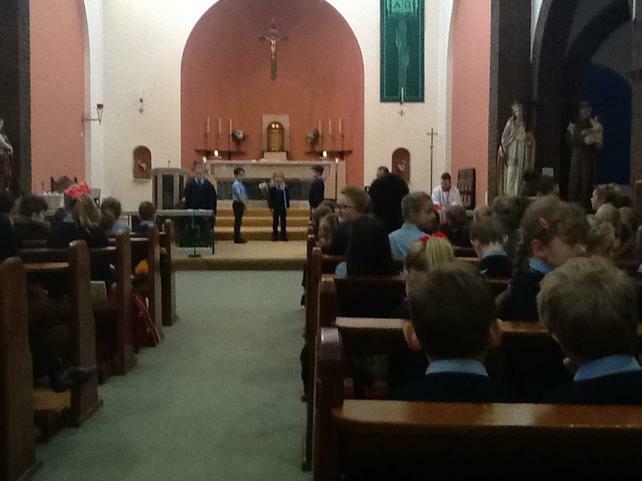 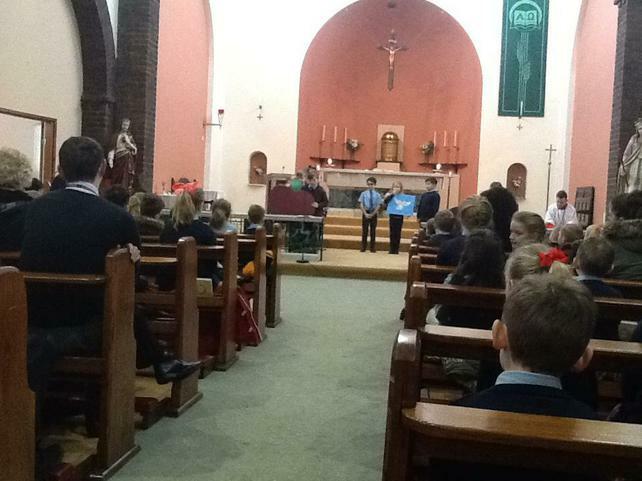 We would like to say a huge thank you to our pupils who went to the Advent Celebration at St. Pius on Tuesday evening. 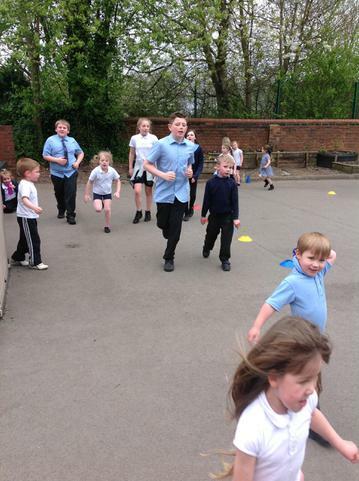 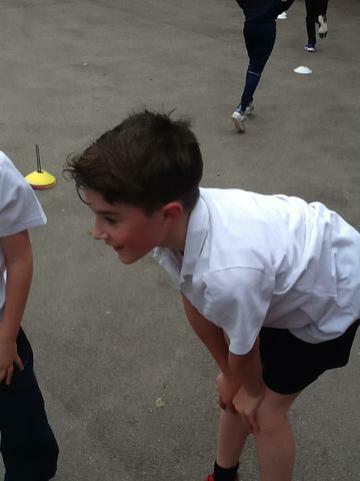 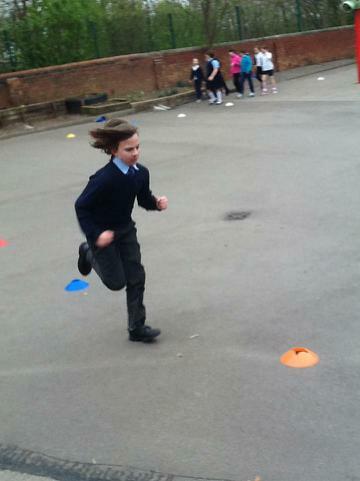 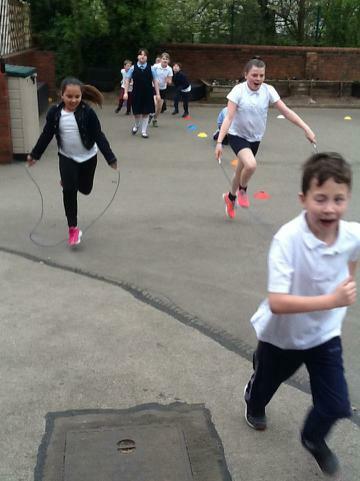 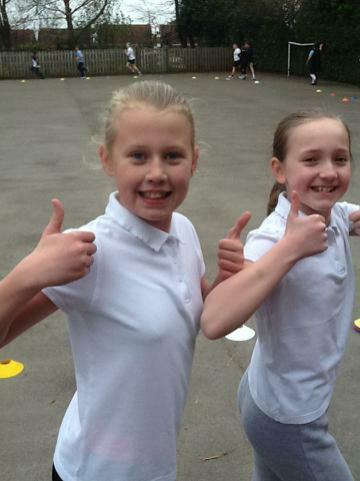 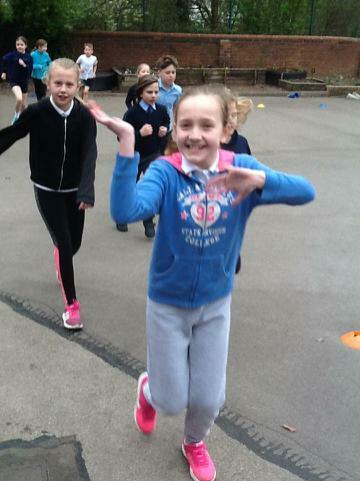 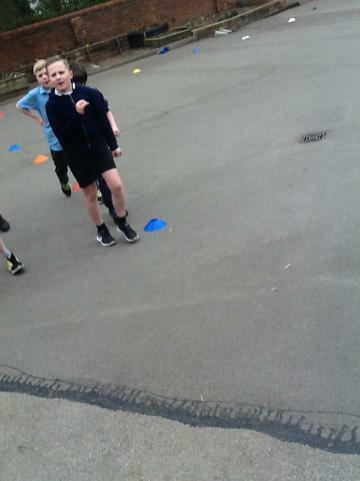 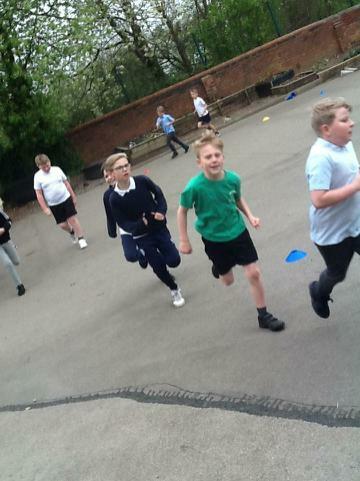 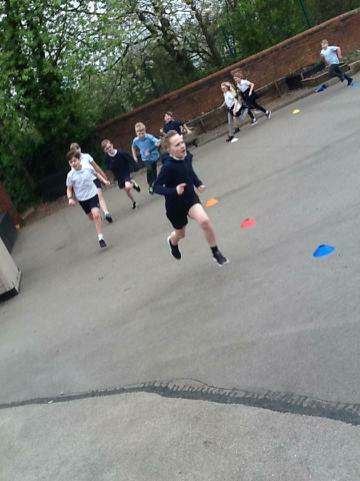 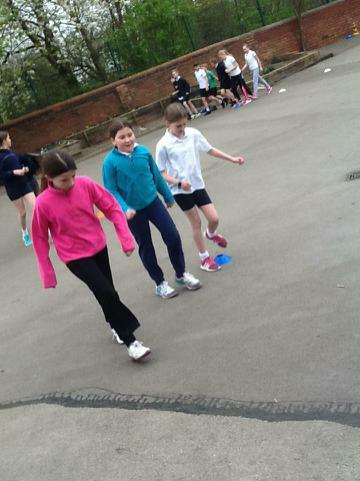 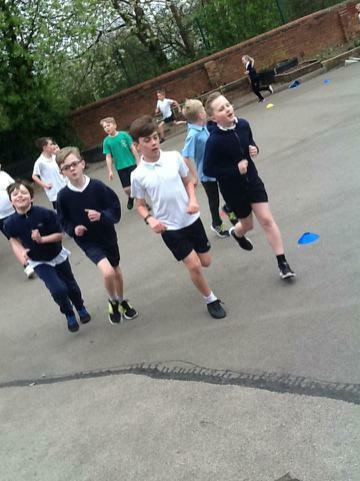 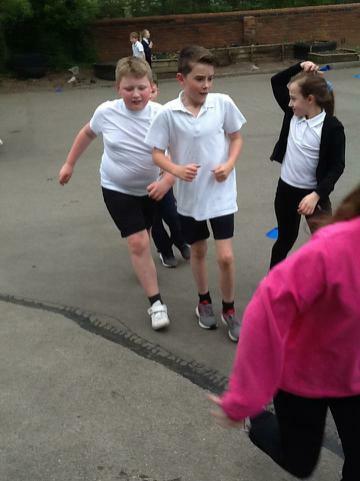 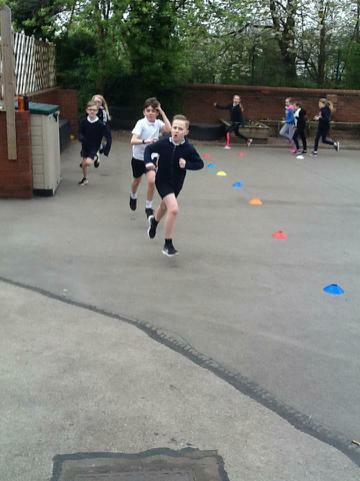 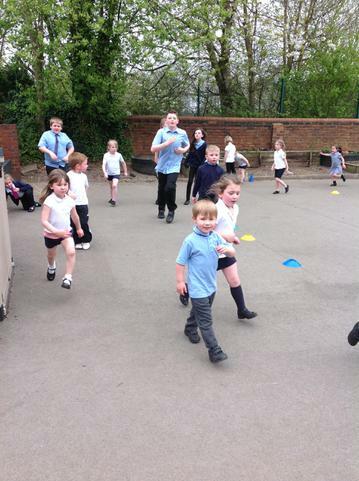 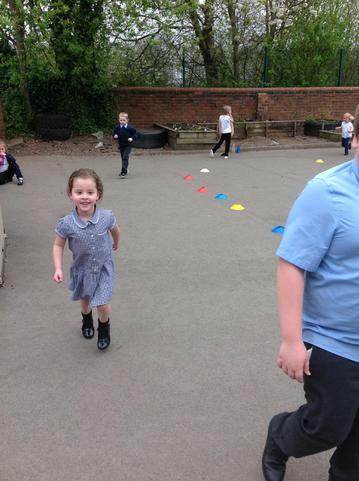 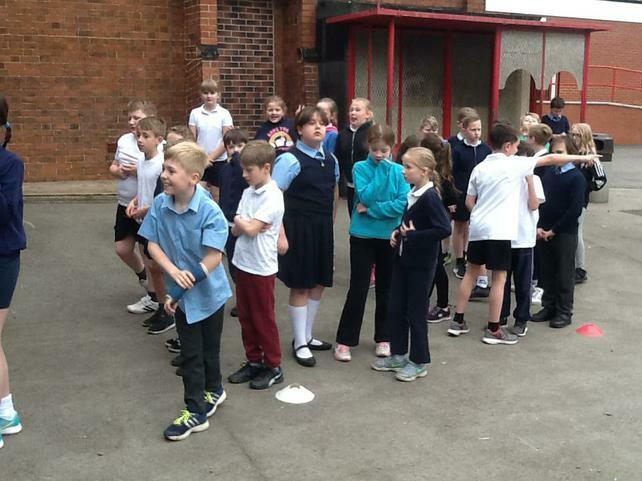 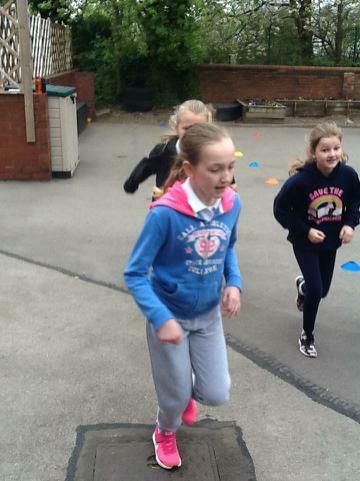 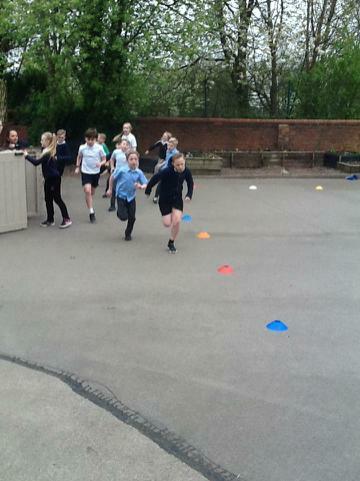 We are all very proud of the practise they put in and the time they gave up to take part. 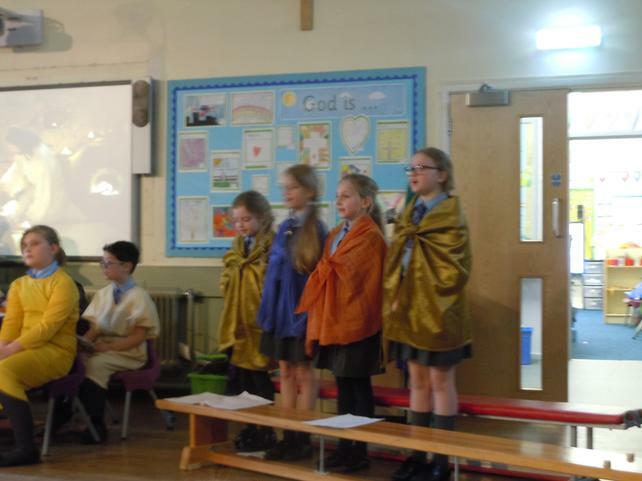 It was a beautiful version of "Silent Night". 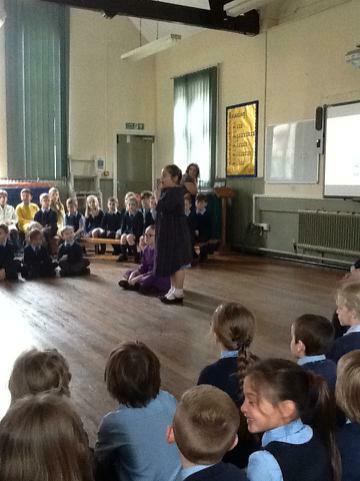 A big thank you to our caretaker and his daughter for their musical contribution. 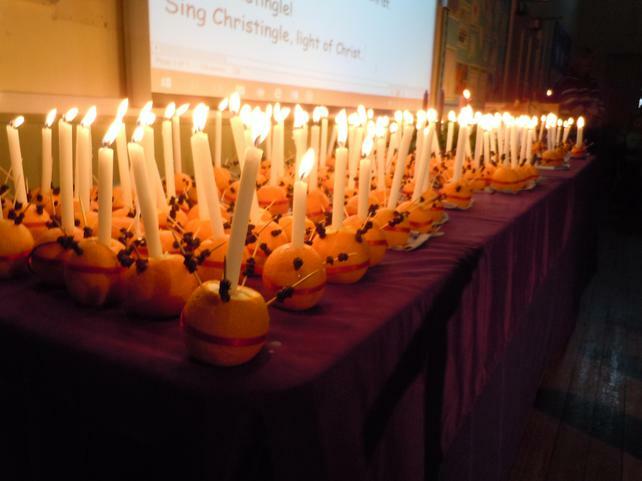 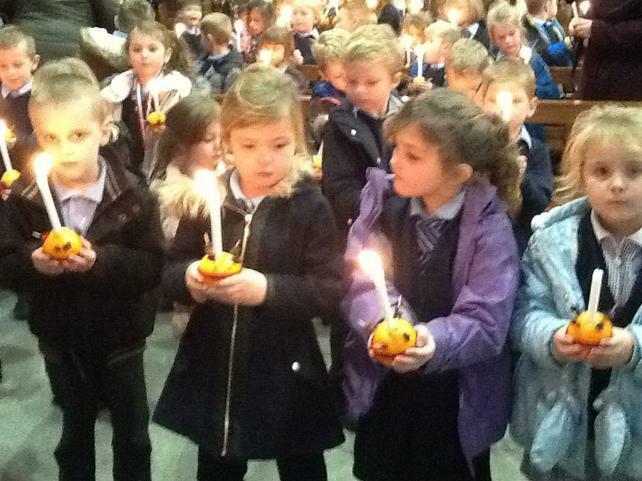 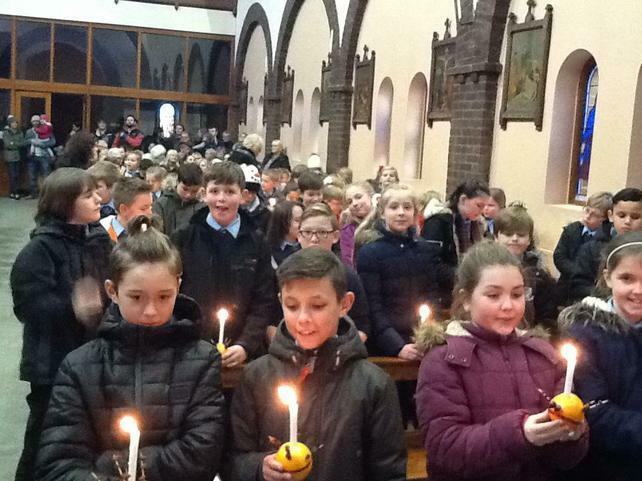 Class 5 led our Christingle service in the school hall. 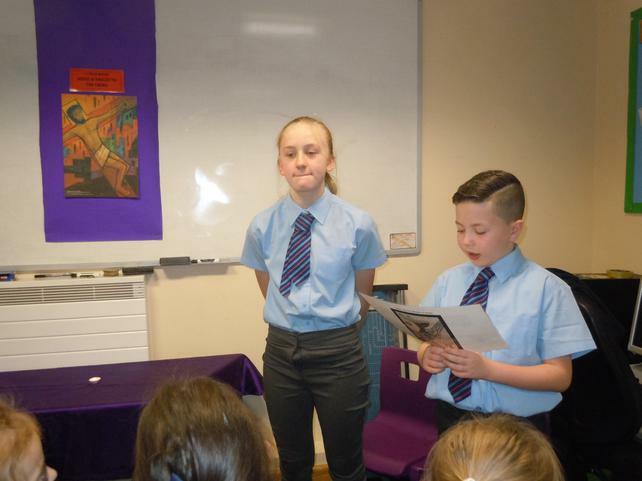 Wonderful singing and great readings. 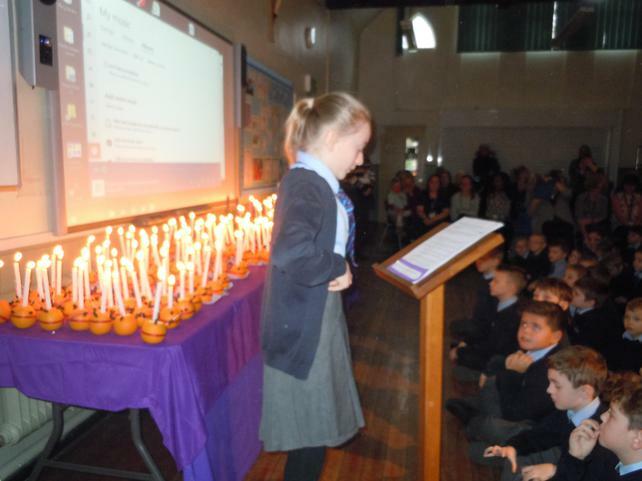 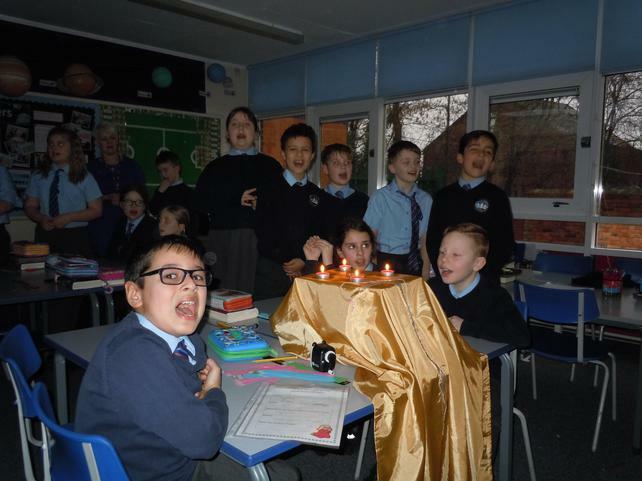 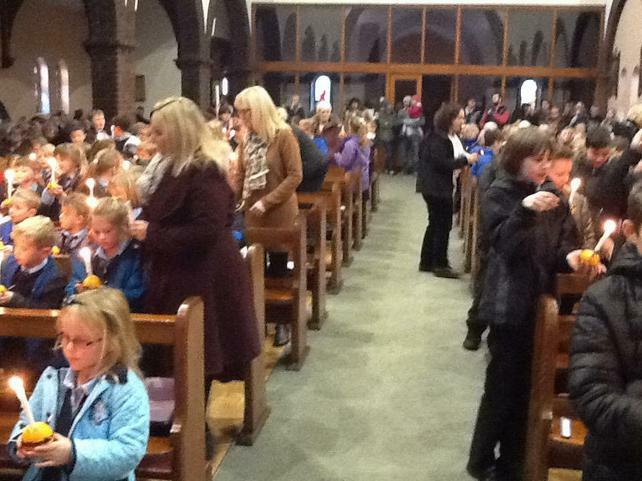 The candle light was a sight to behold, a wonderful start to our Advent preparations. 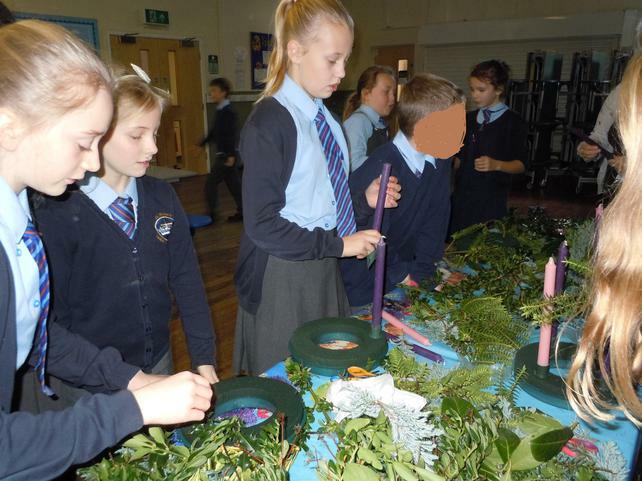 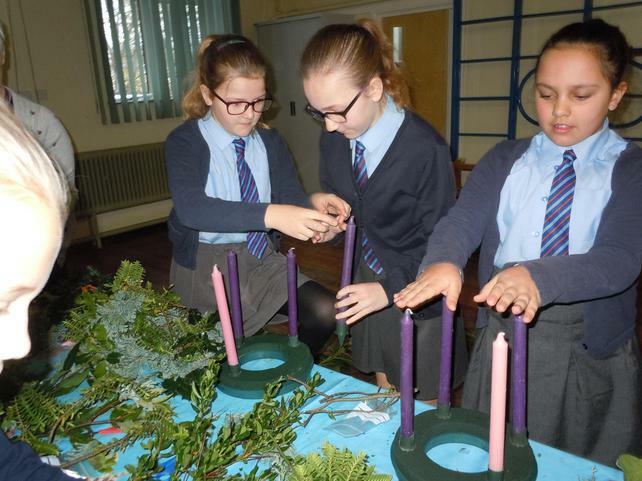 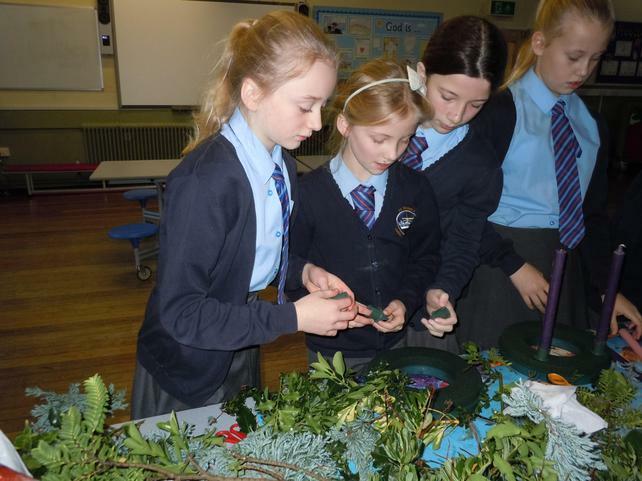 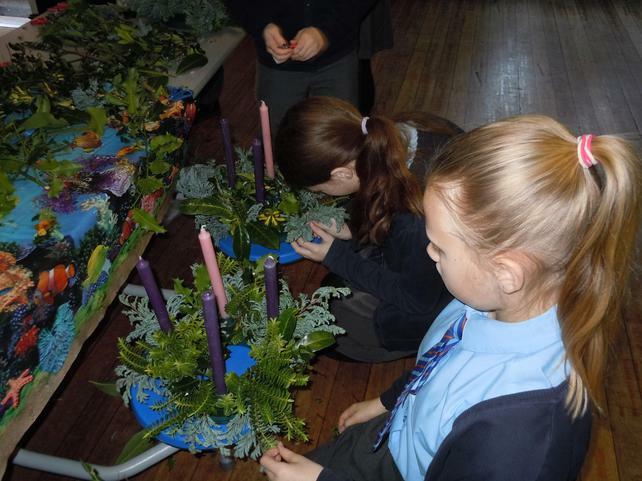 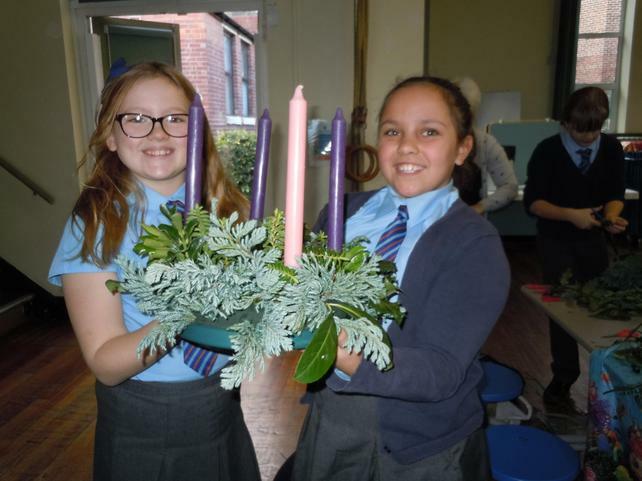 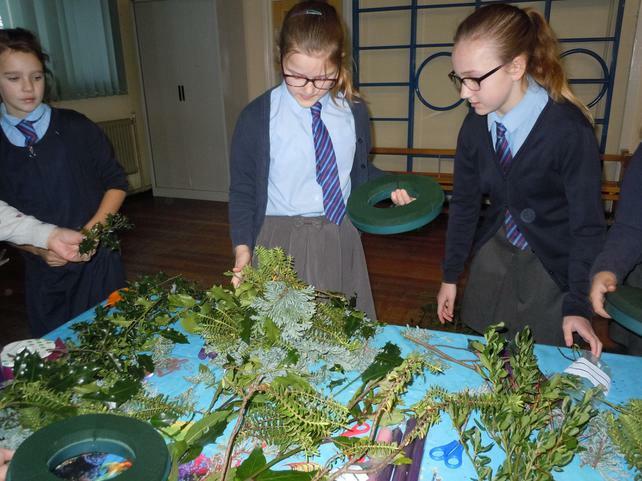 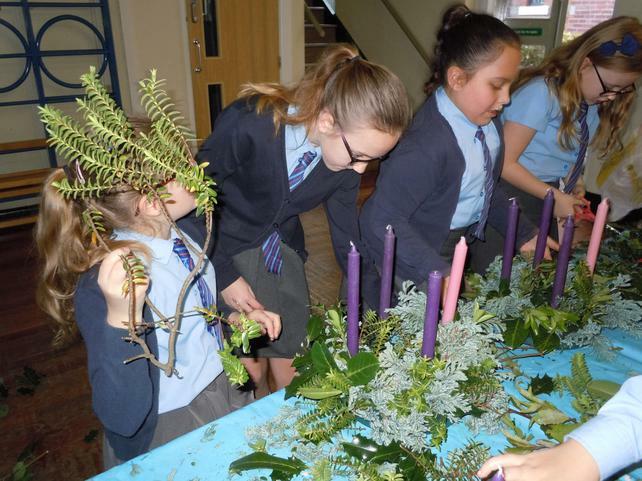 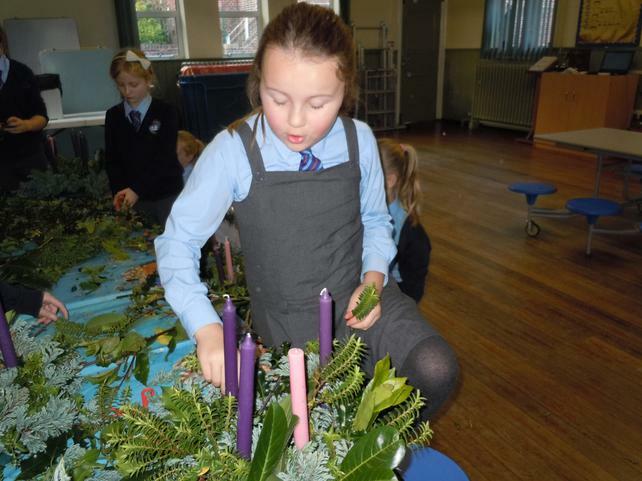 The worship team have made an Advent Wreath for each class and one for the hall. 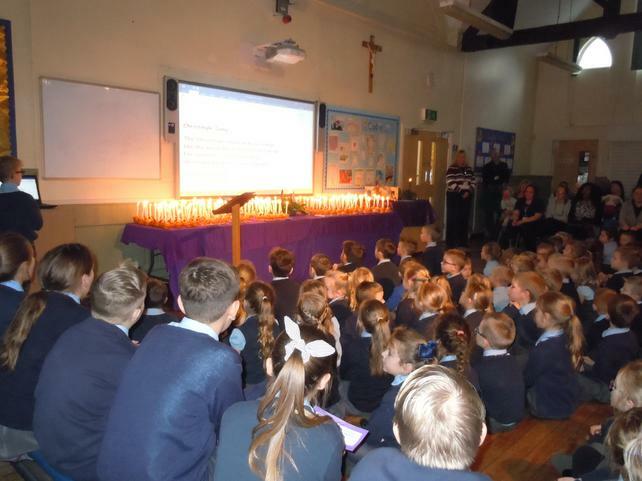 During Advent the candles will be lit in each class as part of the children's preparation for the celebration of the birth of Jesus. 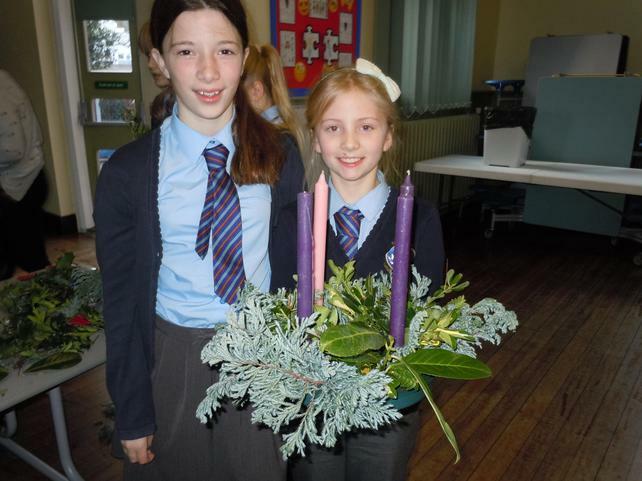 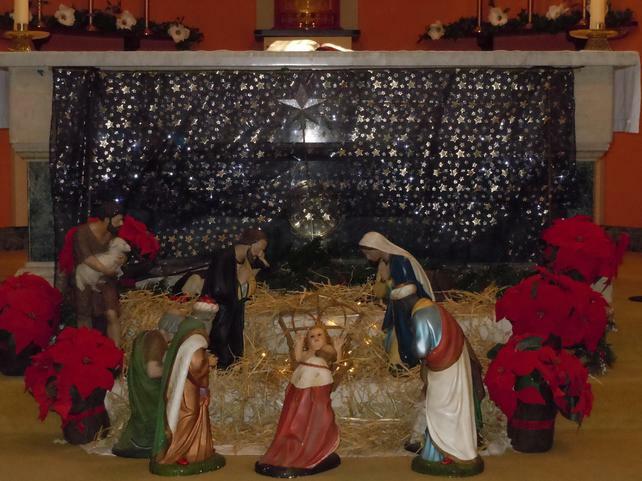 The wreaths will be blessed in church during Mass on Sunday before being brought into school on Monday. 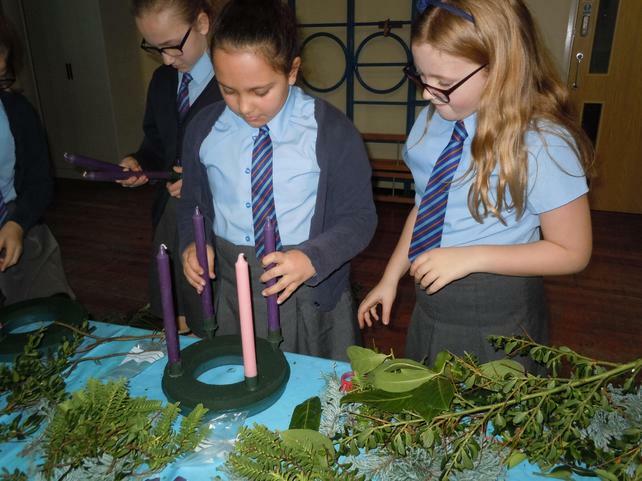 Click the link below if you would like to read more about the history, the meaning and the significance of the Advent Wreath. 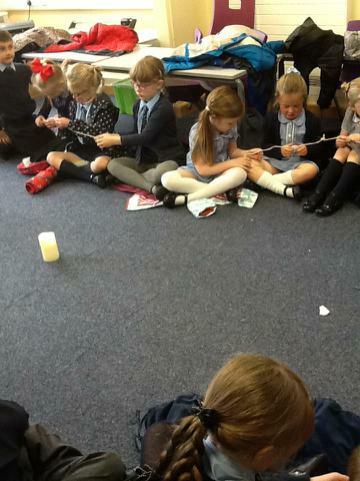 Thank you to all our families who have taken part in the travelling Remembrance bags. 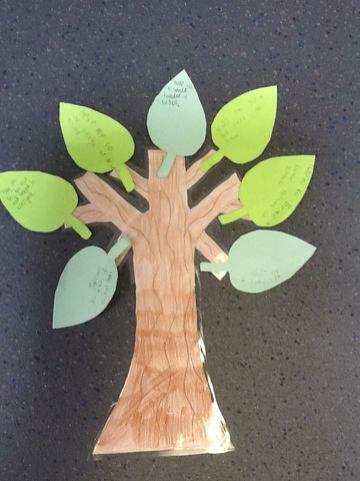 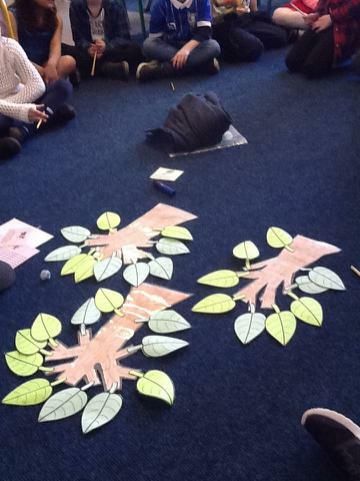 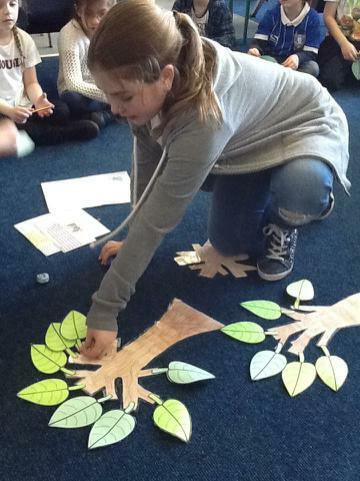 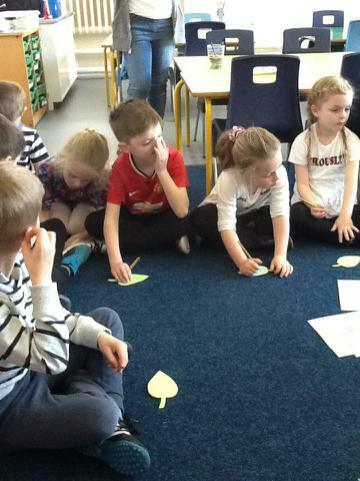 The leaves are added to the class remembrance tree and everyone is remembered in our prayers. 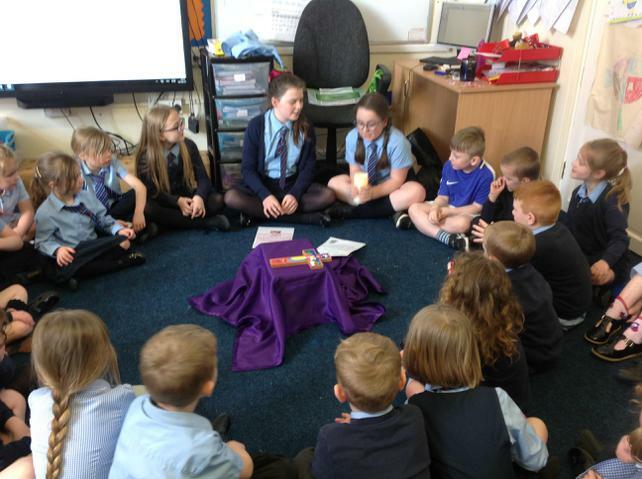 Our worship leaders work in small groups to plan and lead worship in the weekly prayer group, held once a week during lunchtime. 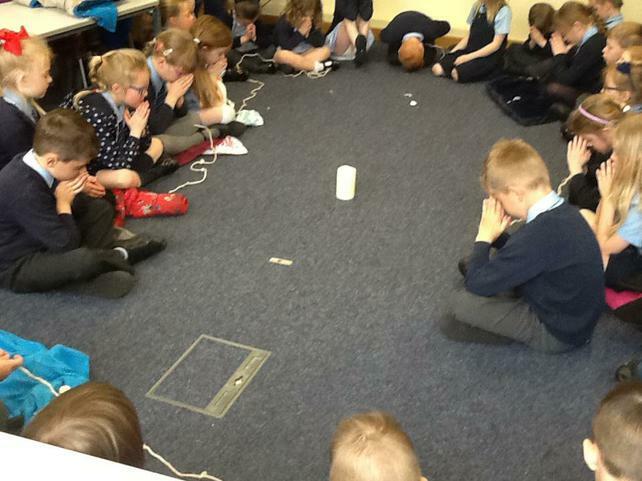 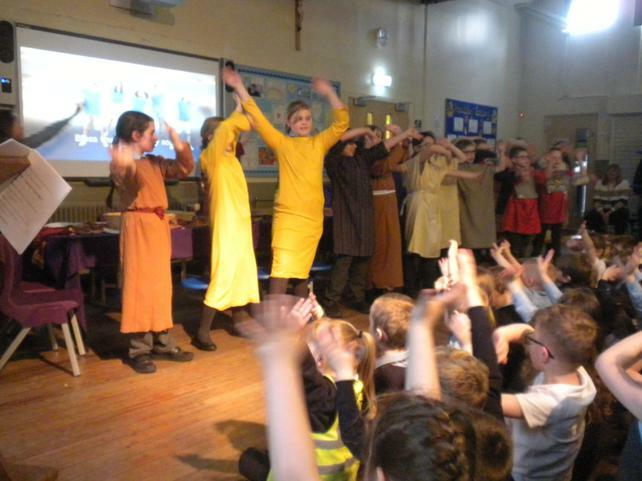 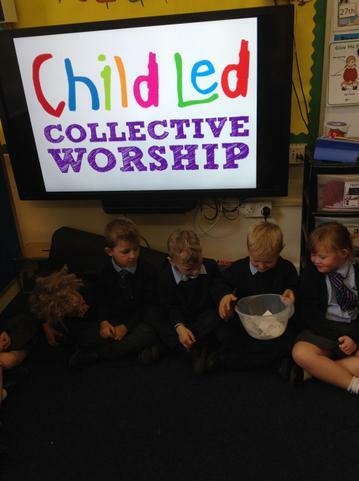 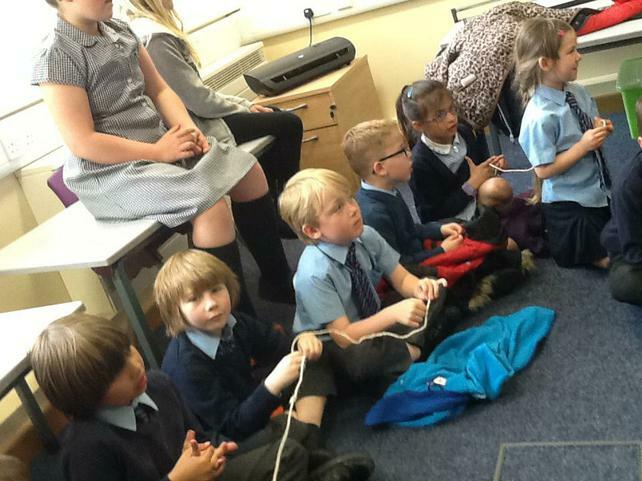 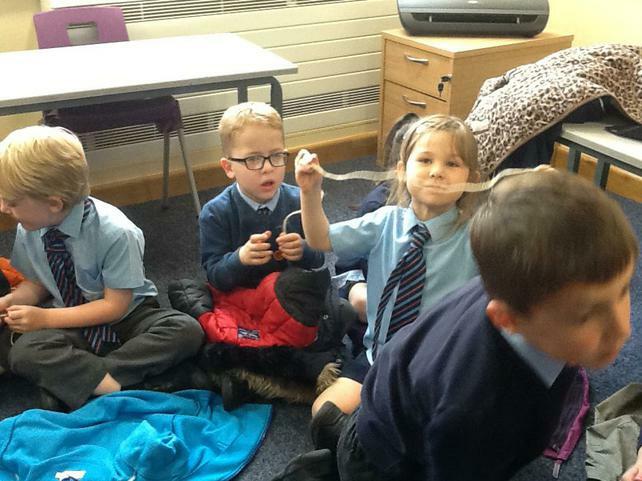 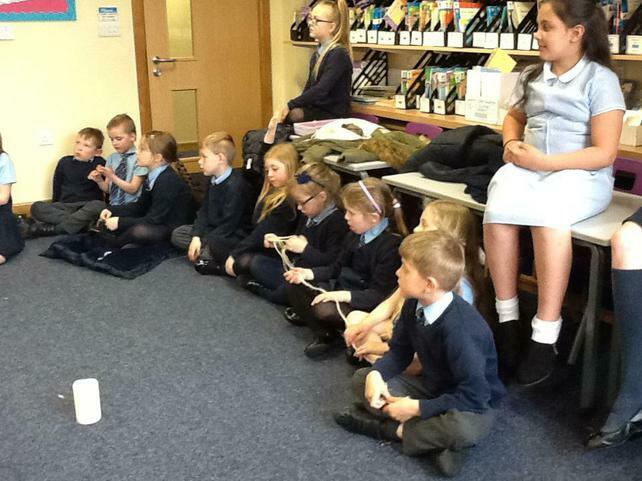 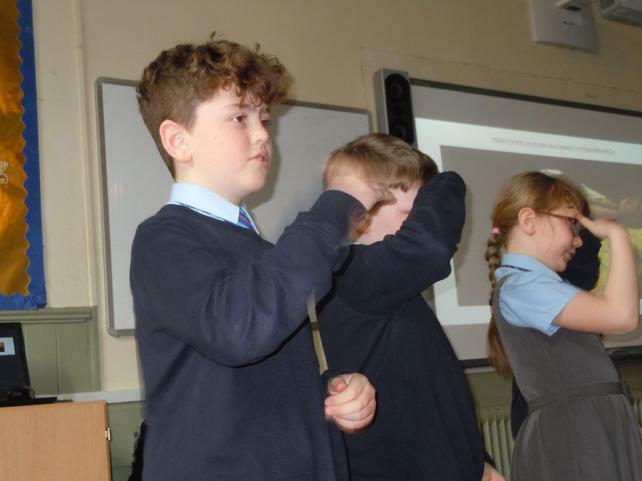 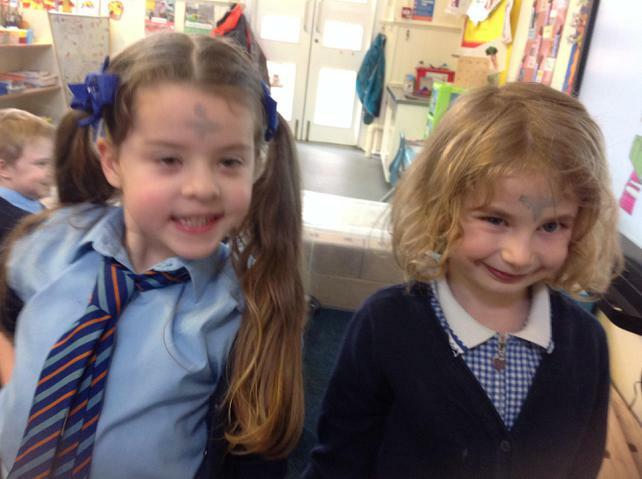 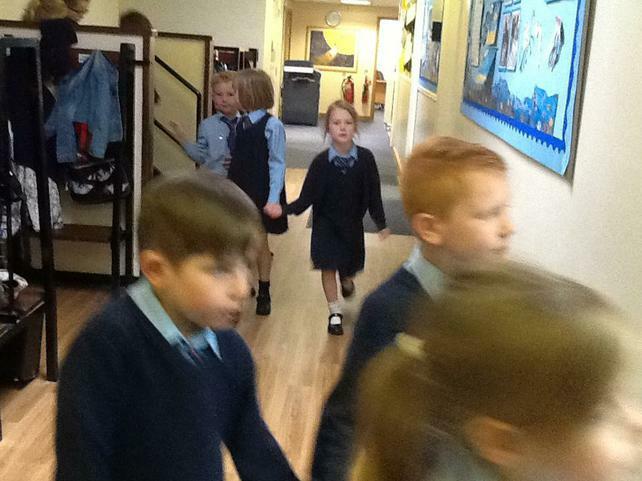 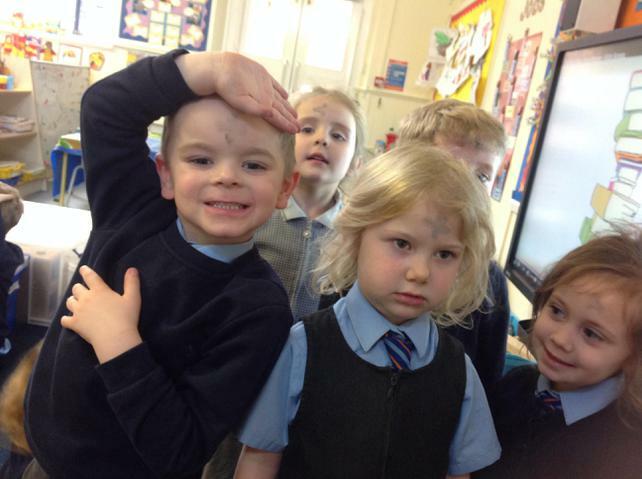 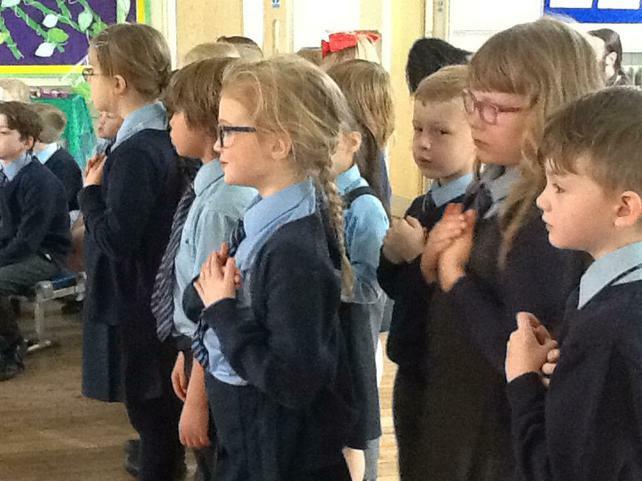 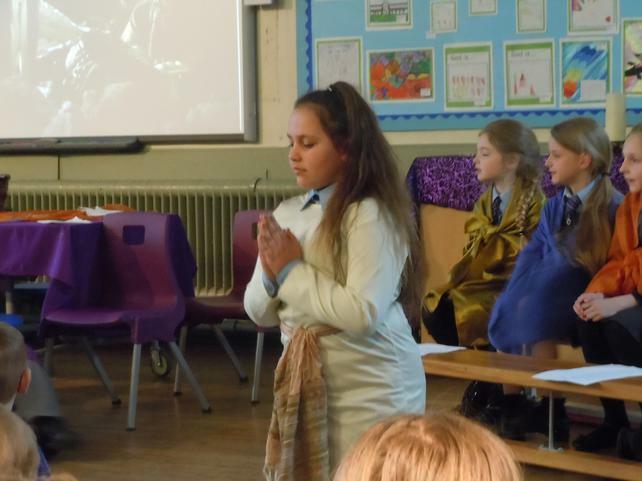 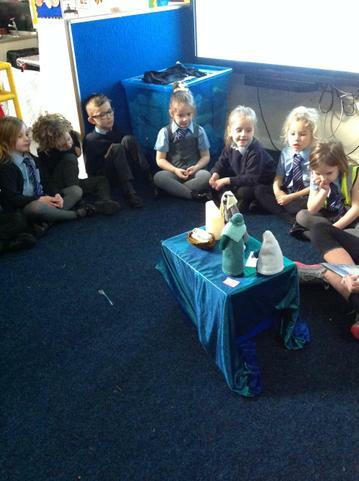 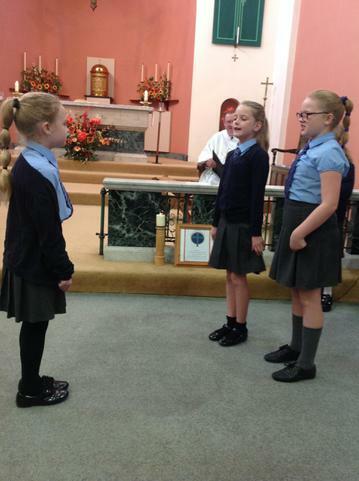 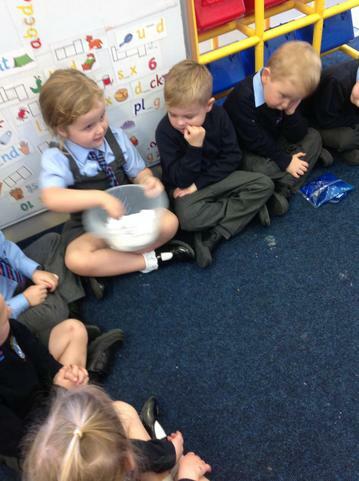 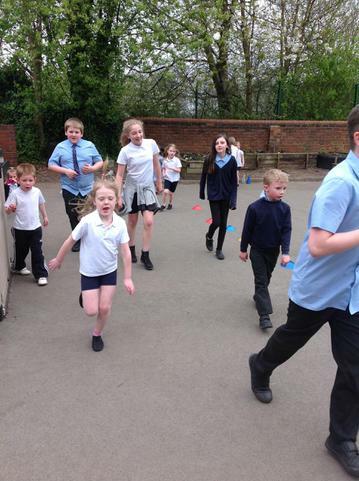 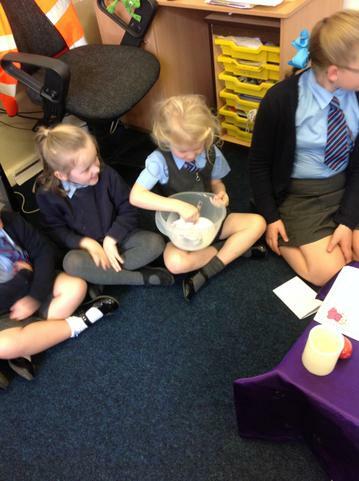 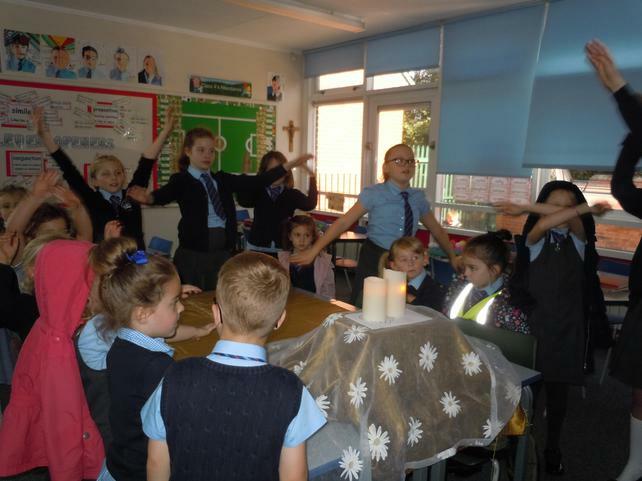 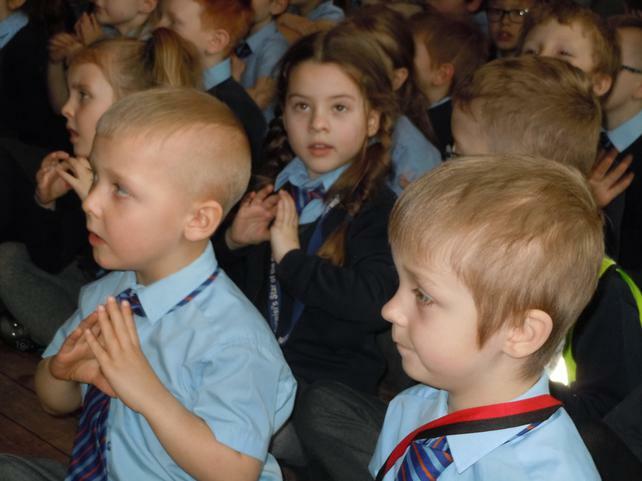 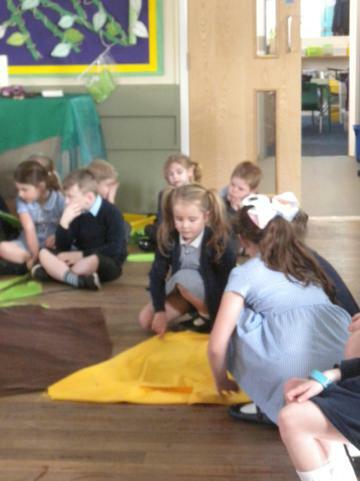 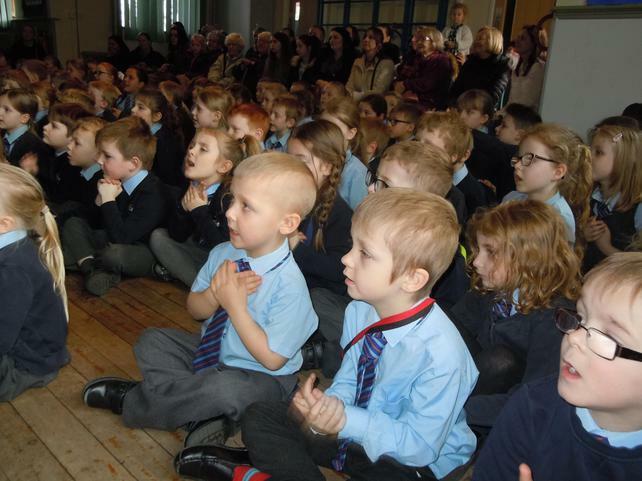 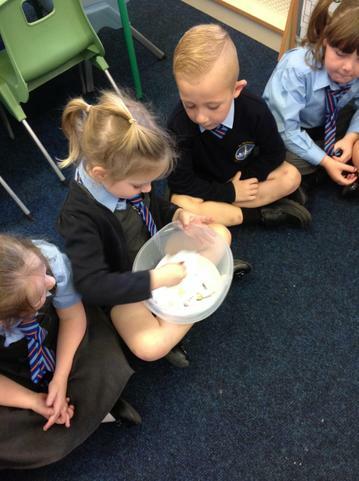 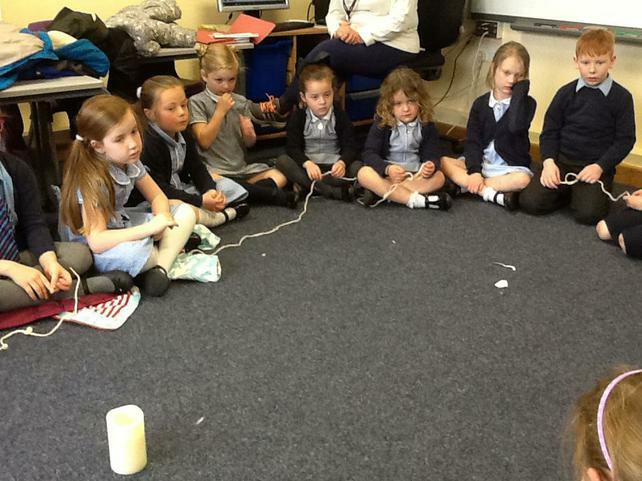 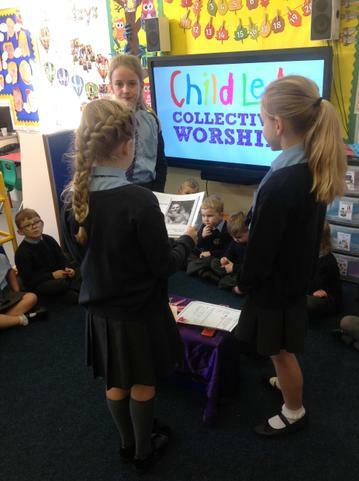 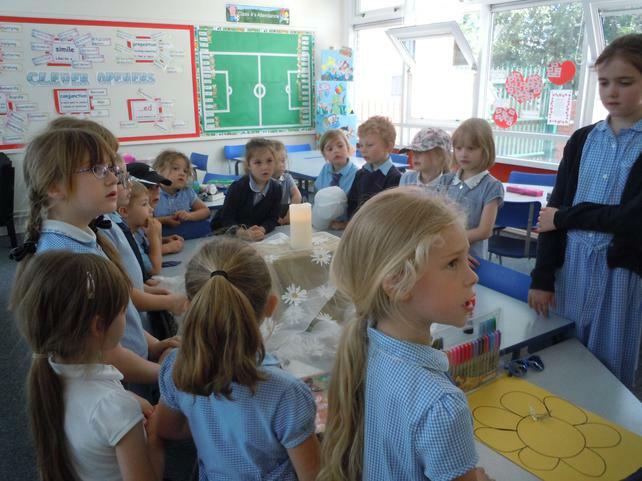 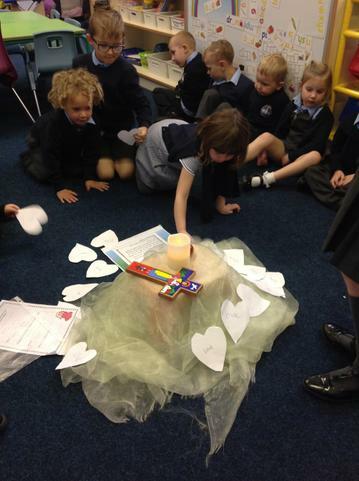 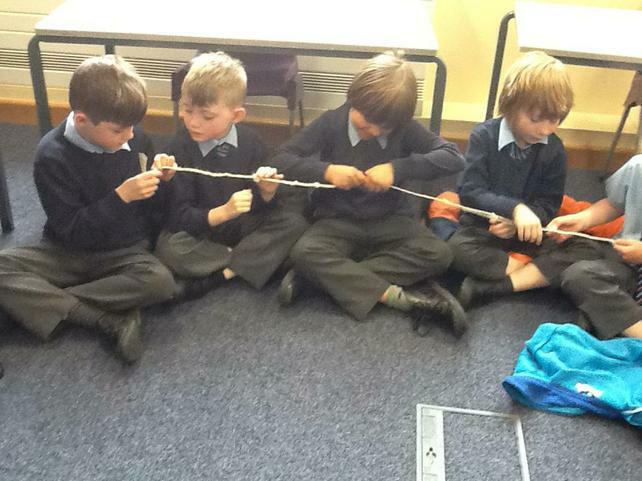 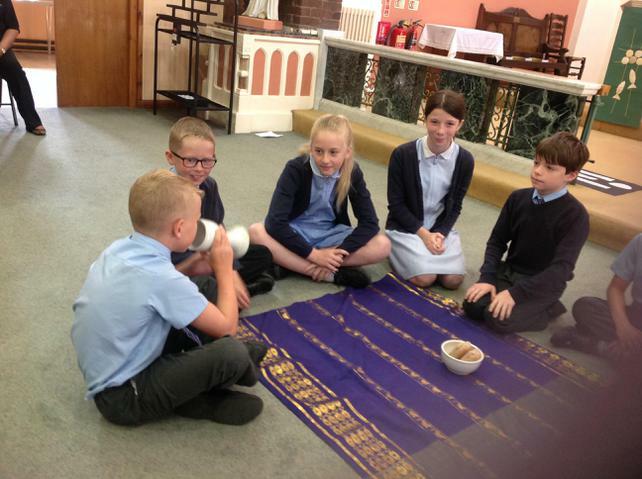 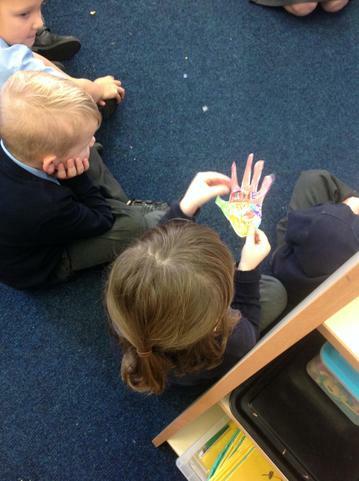 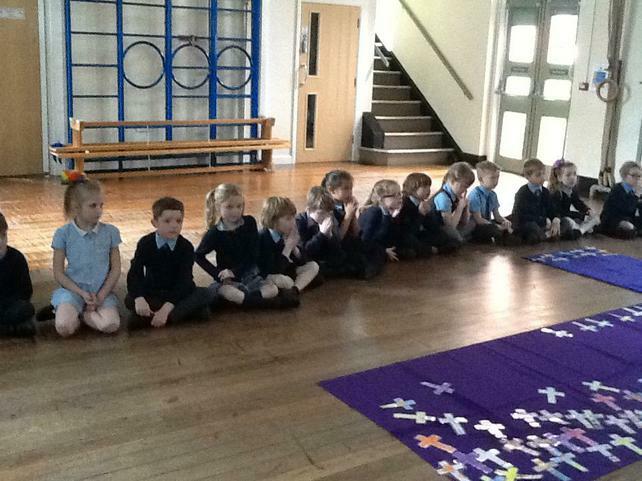 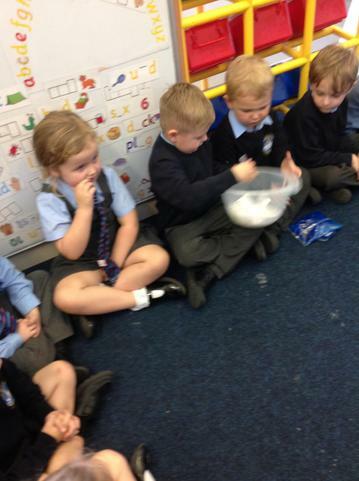 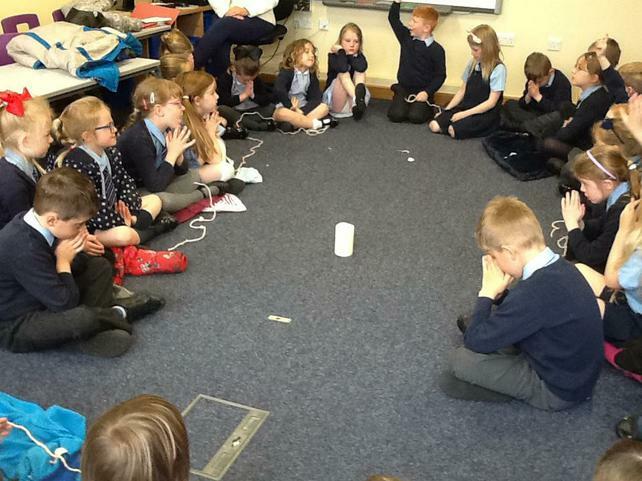 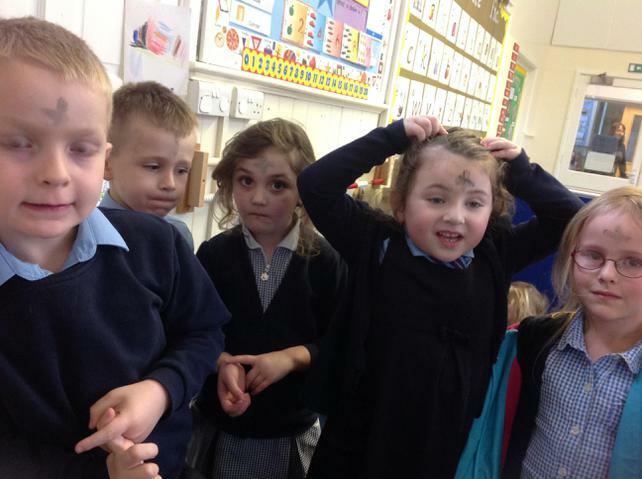 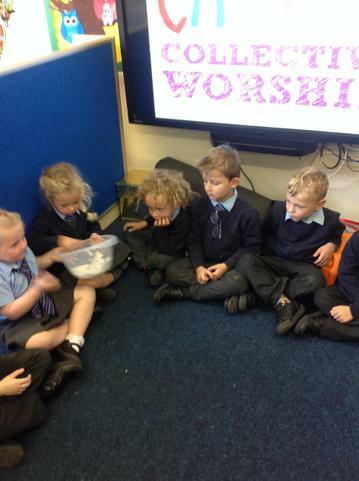 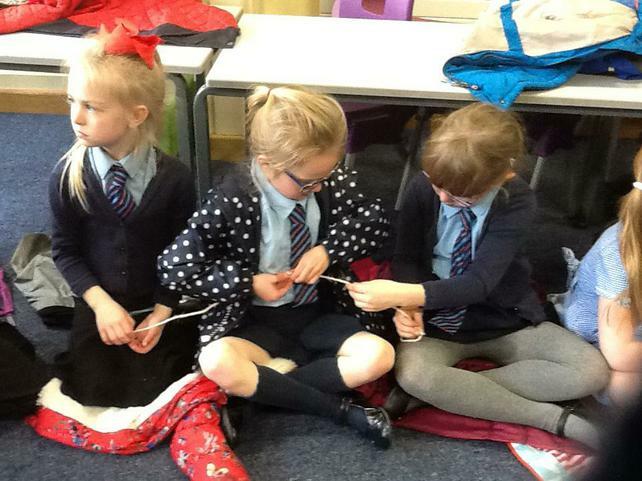 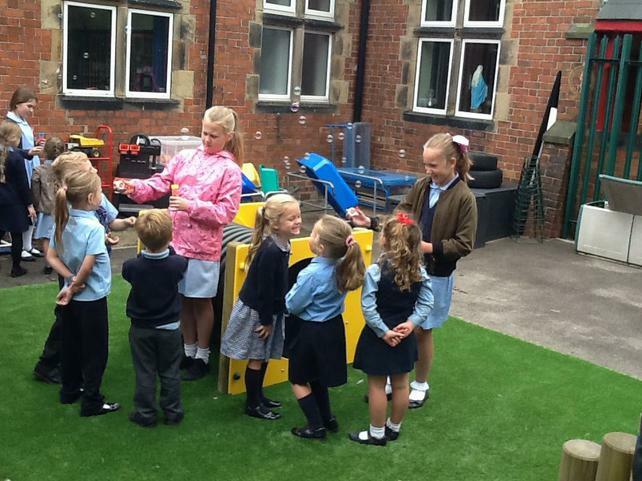 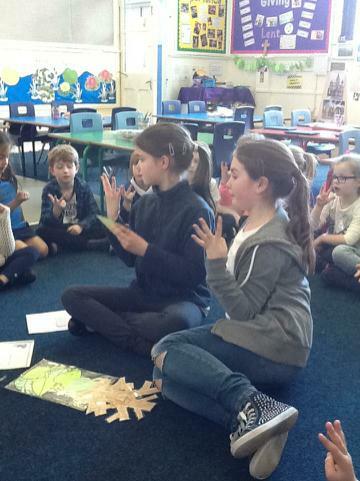 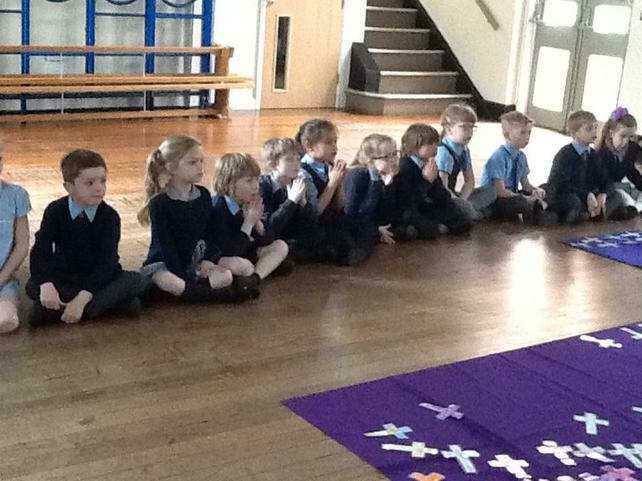 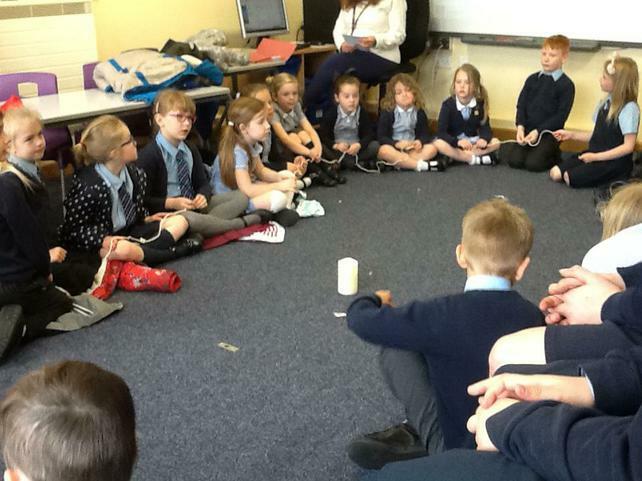 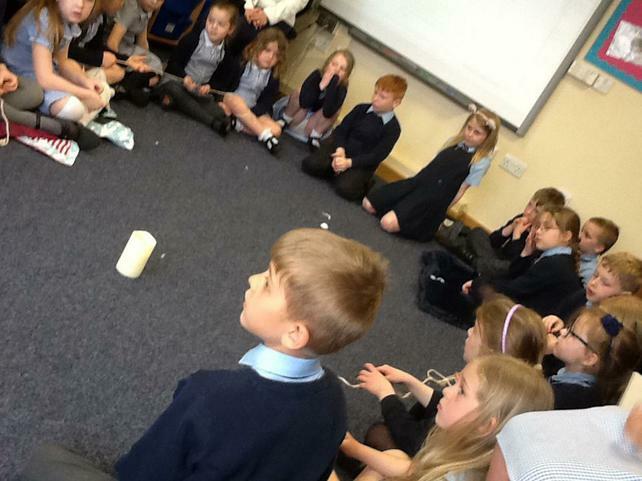 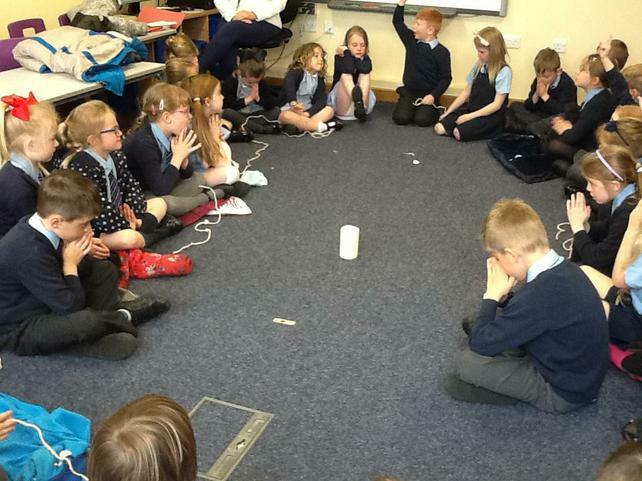 They also help younger classes to develop "child led worship" within the classroom. 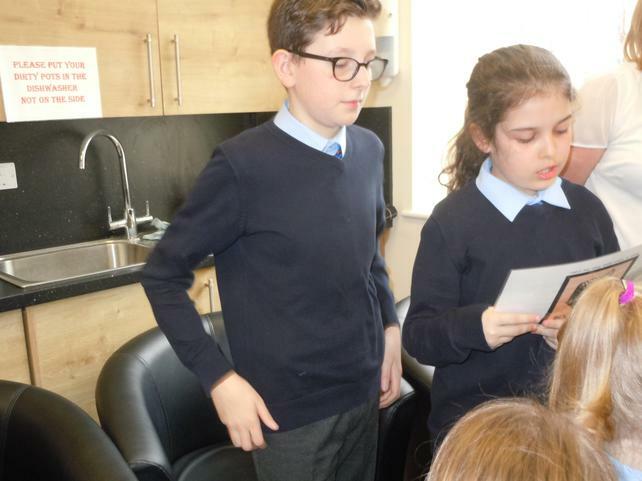 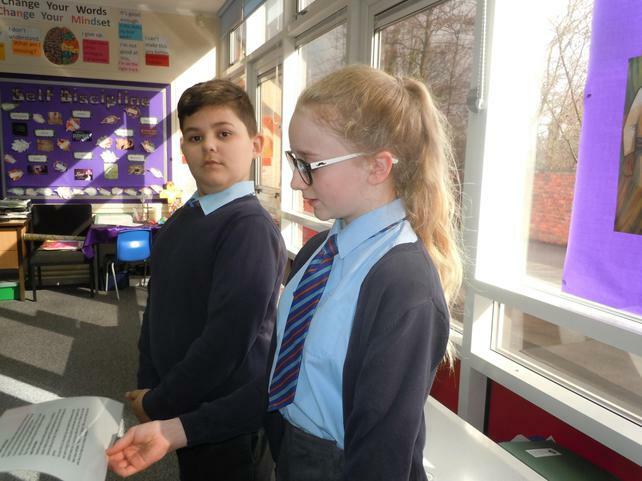 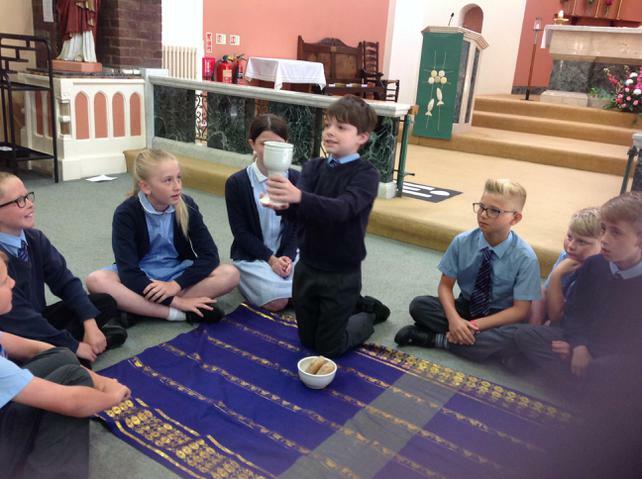 Year 5 had a wonderful visit which included a tour, activities which looked at artefacts used in church and priest's and bishop's clothing. 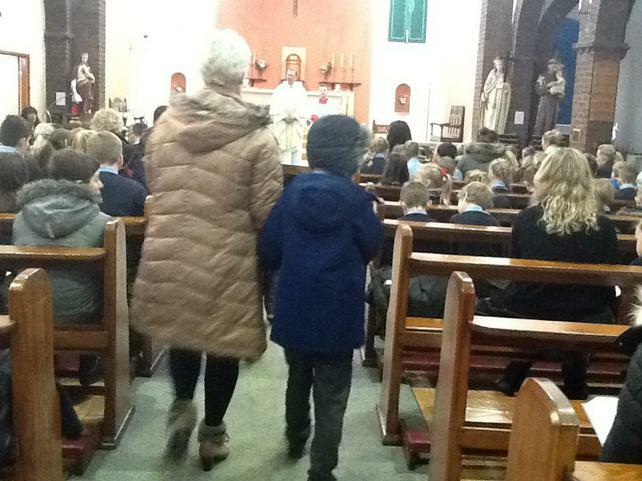 The day ended with a pilgrimage and prayer experience. 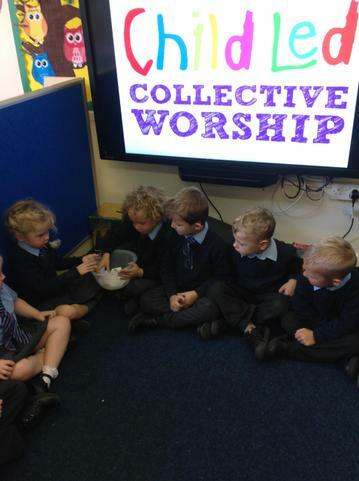 Here are the Worship team who kindly displayed our Harvest donations for St Wilfred's Centre in Sheffield. 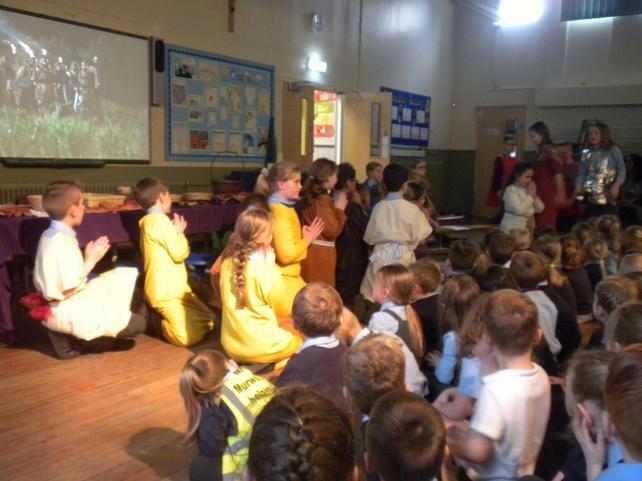 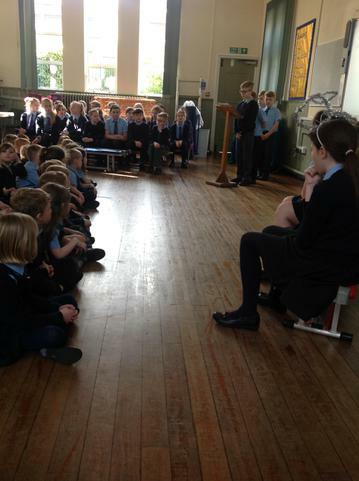 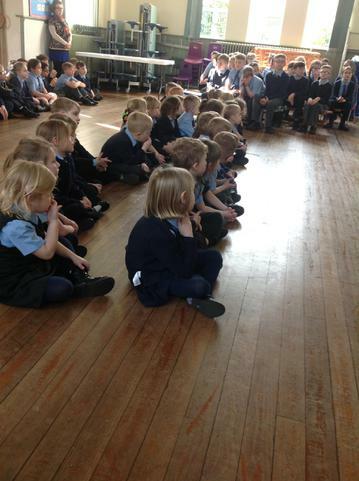 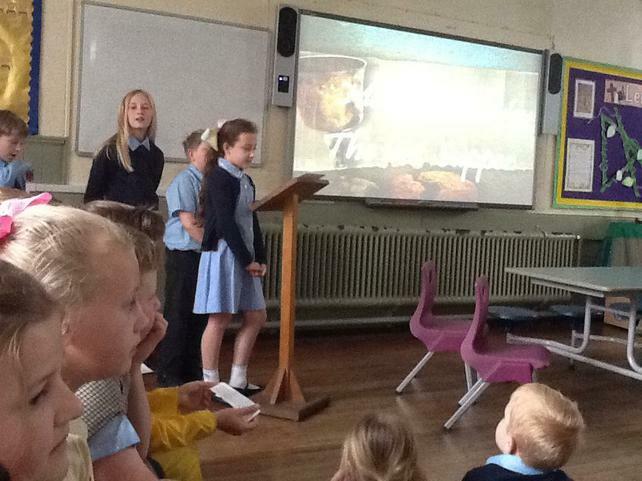 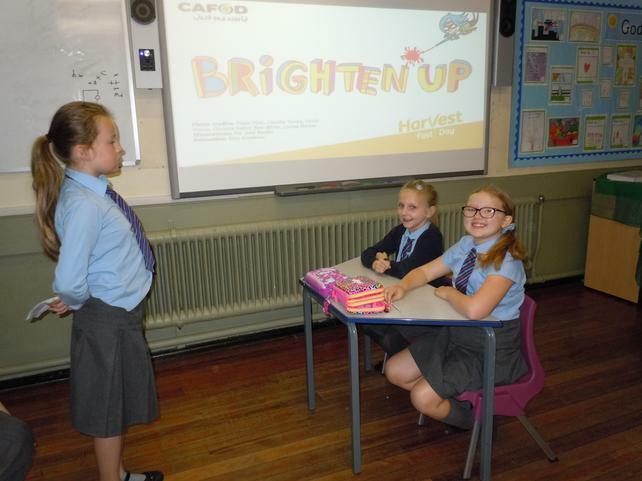 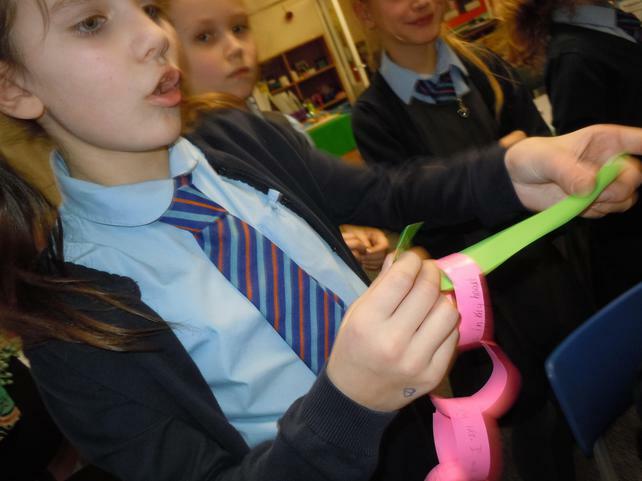 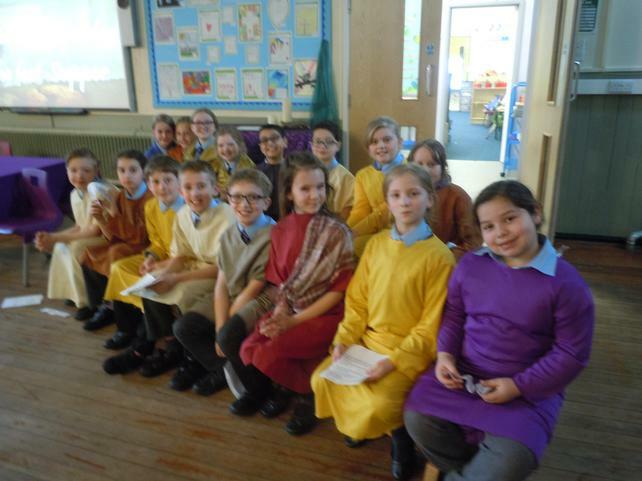 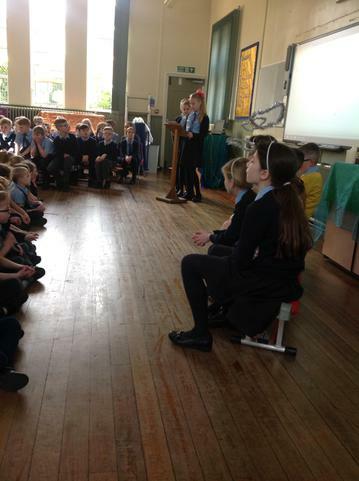 Class 4 led the "Brighten Up our Harvest" assembly where we learned about Cafod's projects in El Salvador. 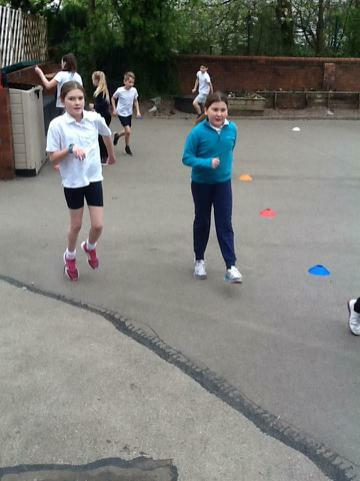 More to follow on fundraising ideas after half term. 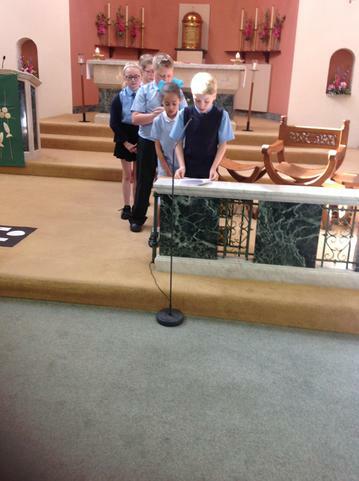 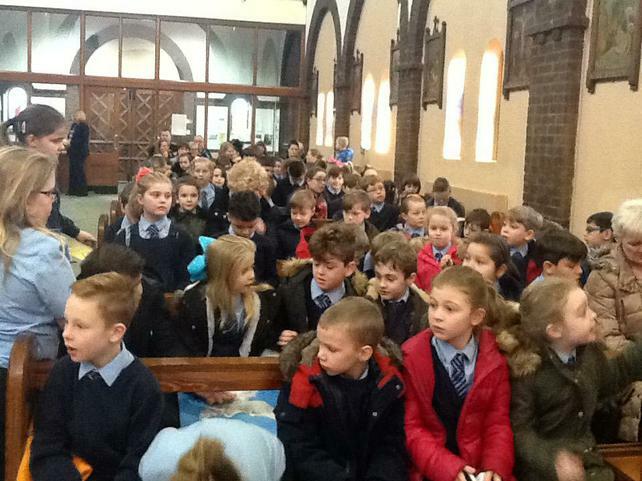 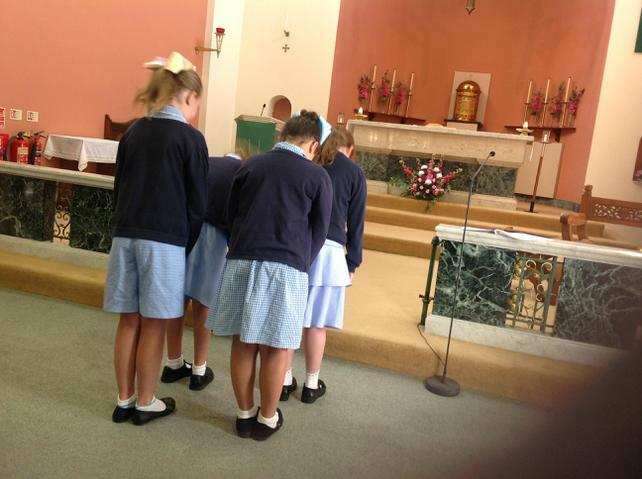 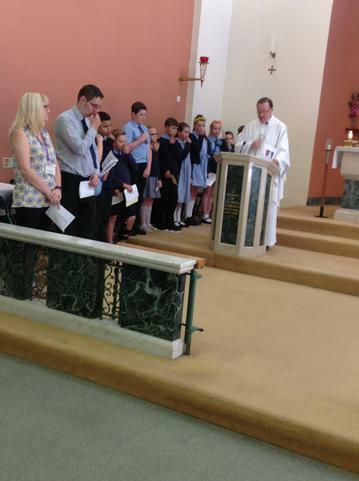 Class 4 prepared the prayers for the Welcome Mass with the Fedreration chaplain, Mrs Reynolds. 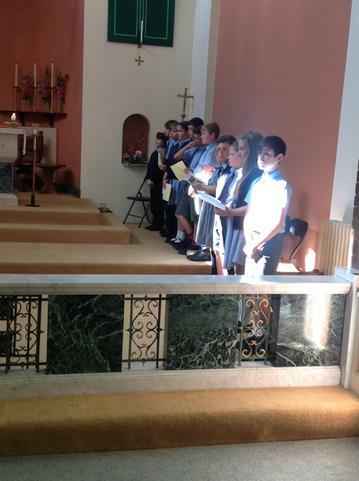 The readings, reverence and singing was wonderful. 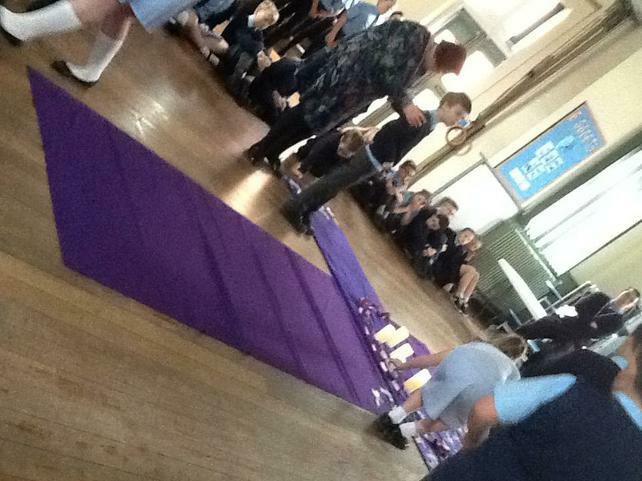 It was a joyous occasion. 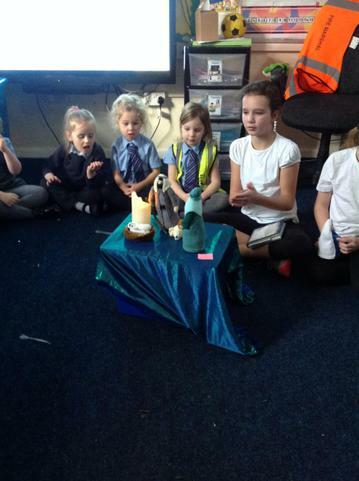 Our prayer group takes place on Thursday lunchtimes and is led by our Worship team and/or Mrs Walker. 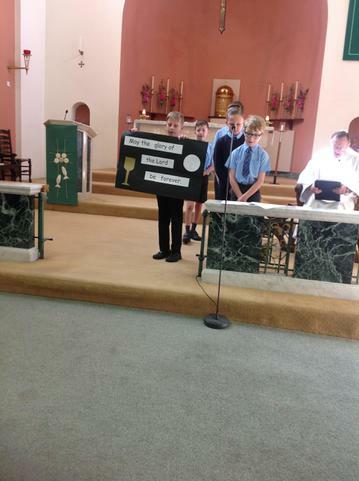 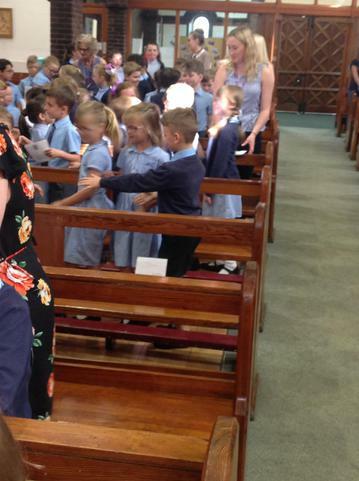 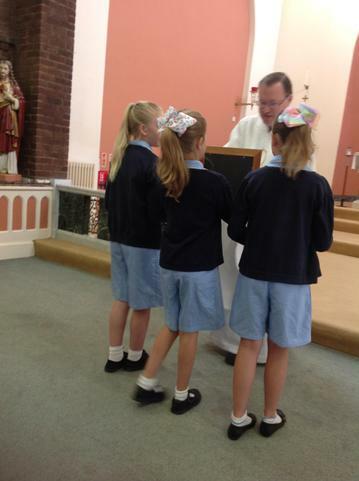 On Saturday 24th June at St. Michael and all Angels, Wombwell, our federation children made their First Holy Communion. 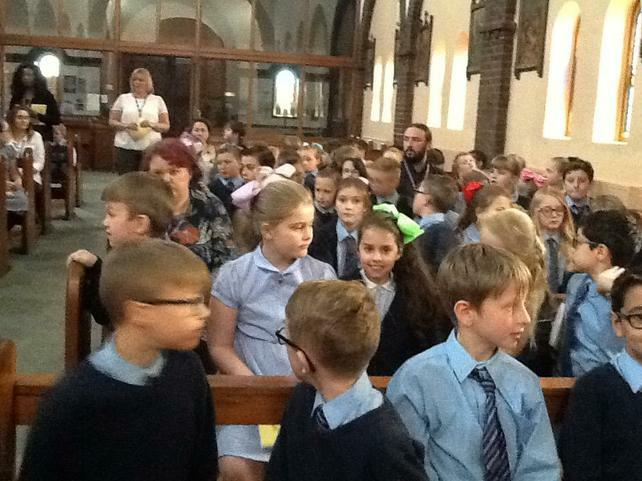 A huge thank you to the children, their parents and the Catechists who prepared them for this very important step in their Catholic journey. 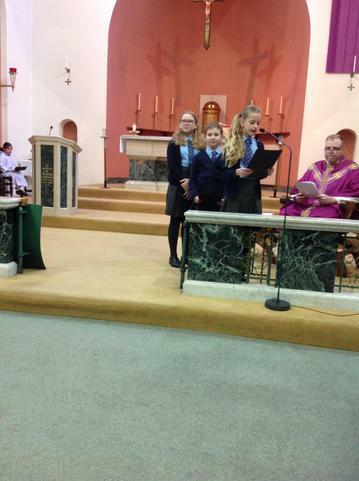 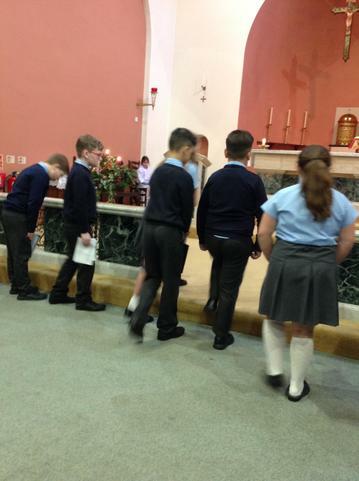 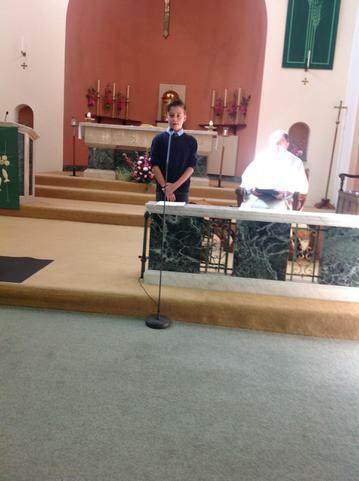 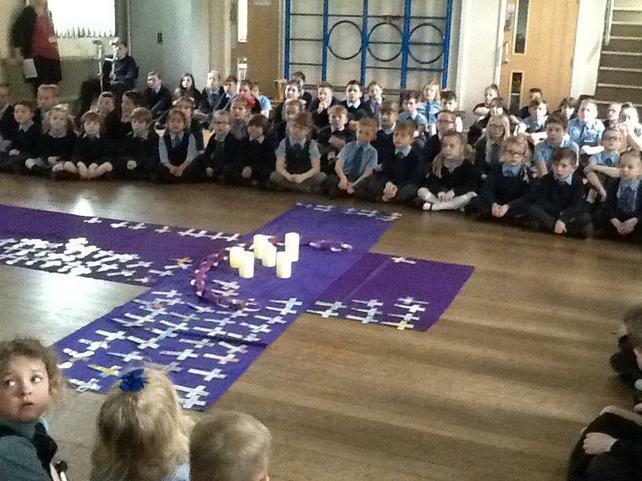 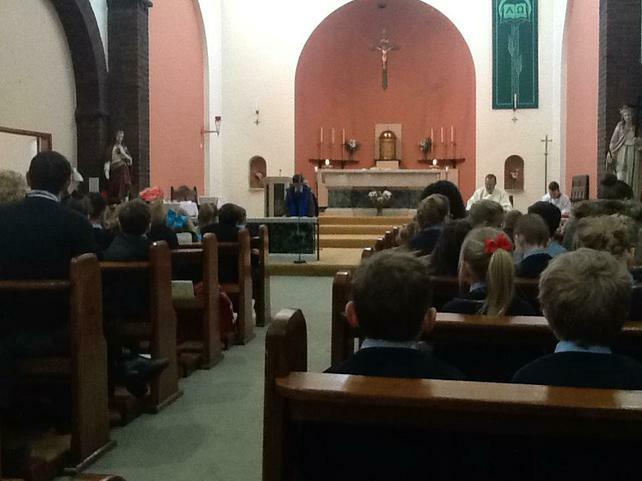 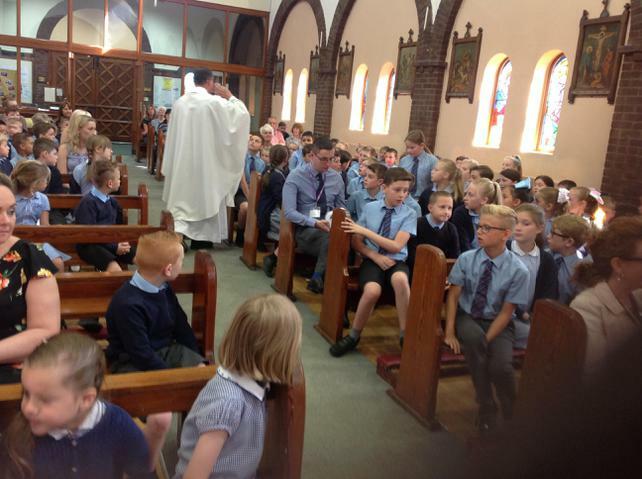 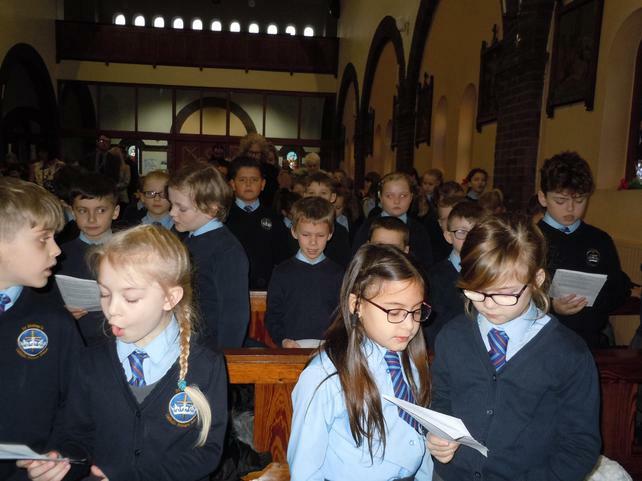 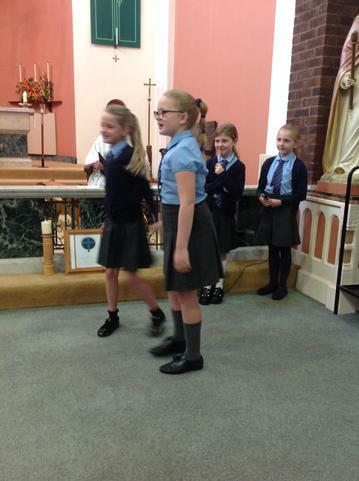 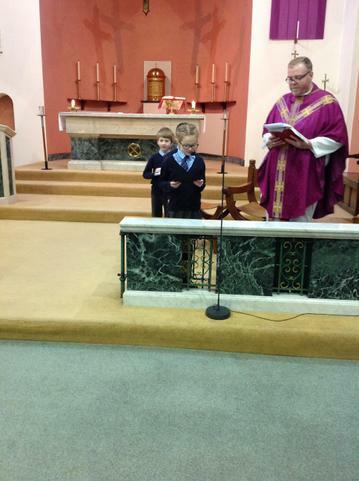 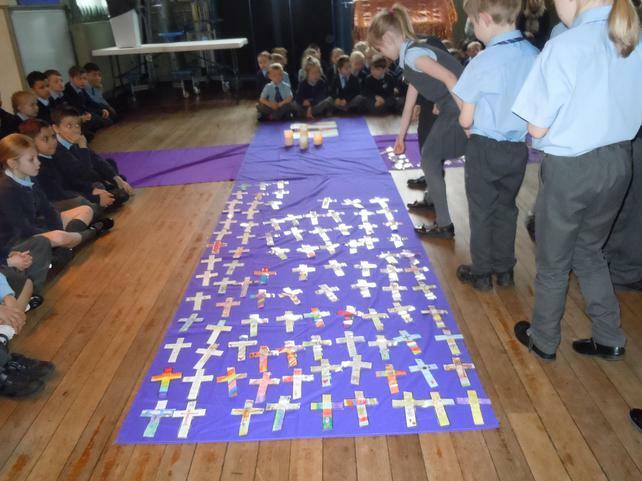 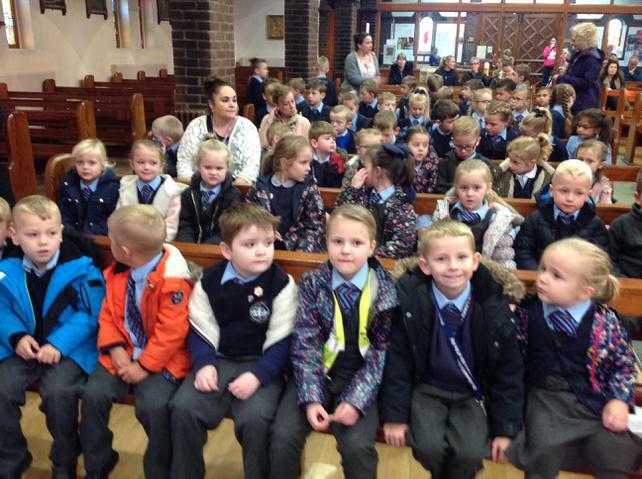 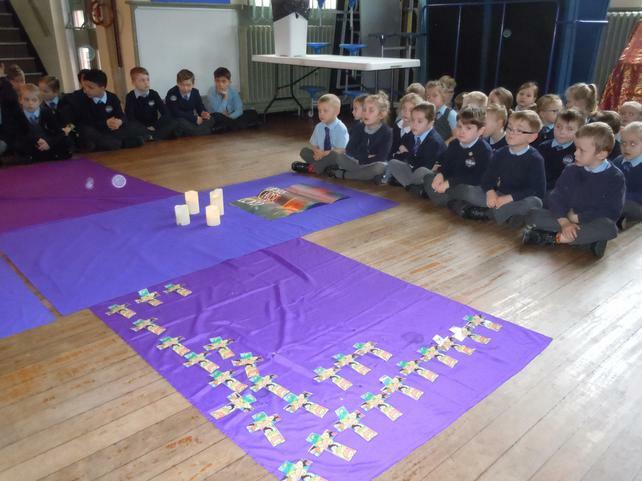 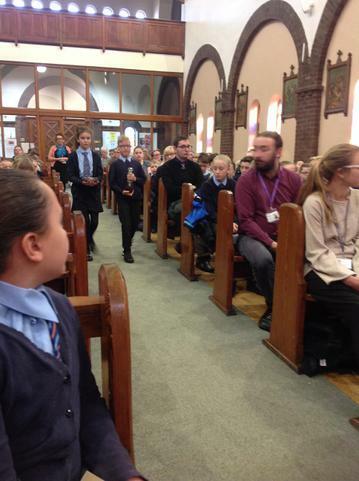 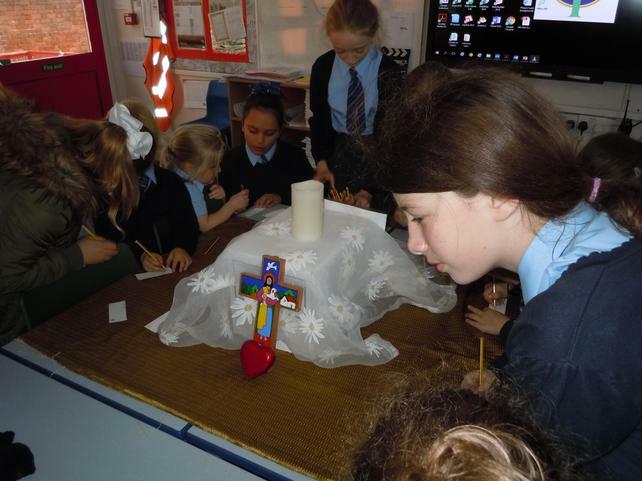 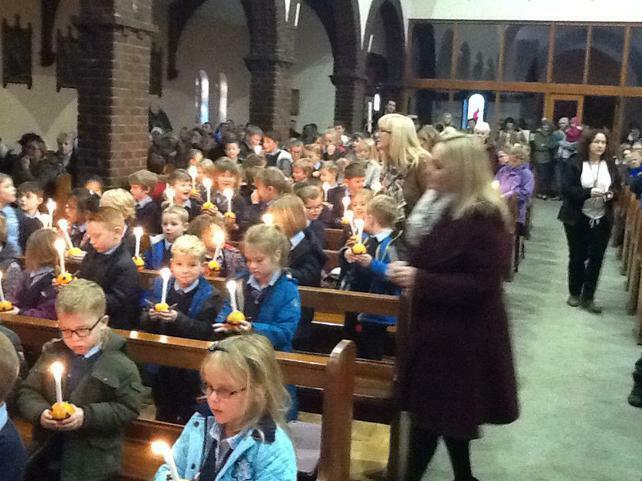 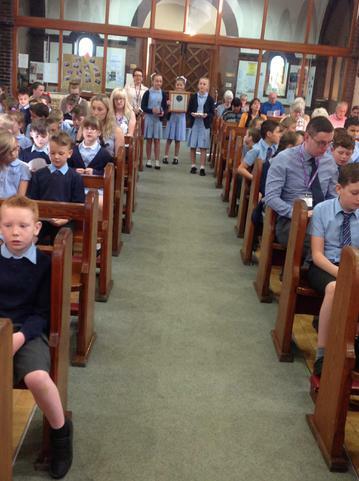 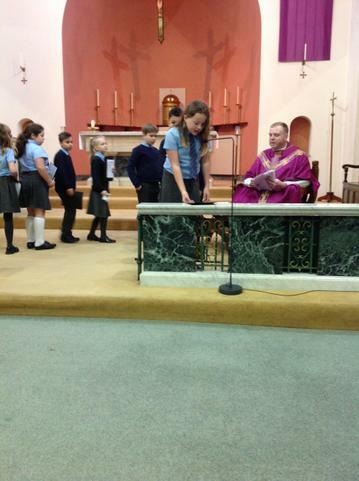 Our Chaplain, Mrs Reynolds, worked with class 4 pupils to prepare and lead the Mass. 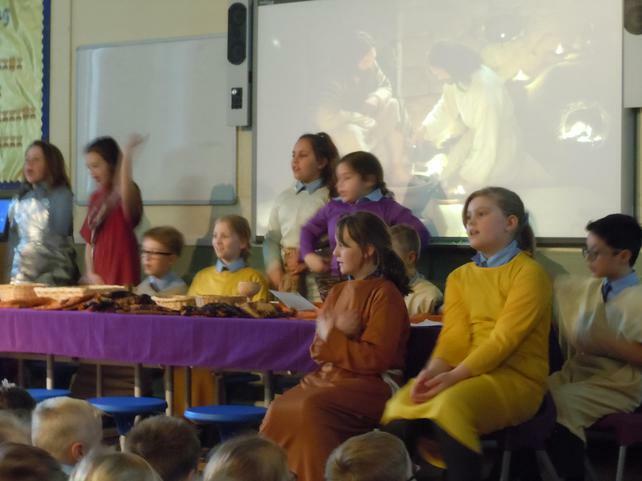 Everyone involved did a fantastic job. 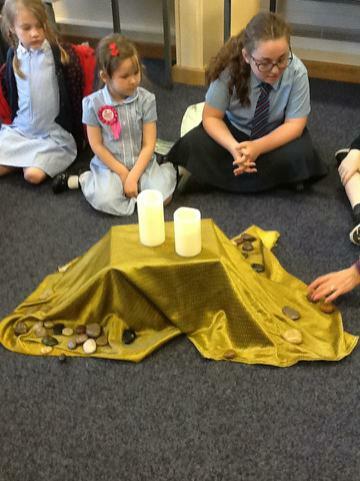 We had a wonderful, devotional celebration. 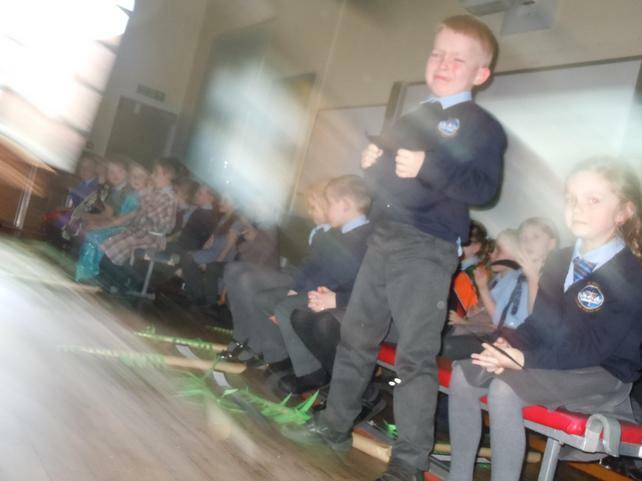 Jacob Isherwood, his mum and sister came to assembly on Thursday 4th May to accept the cheque for £1,236 on behalf of Dreamflight. 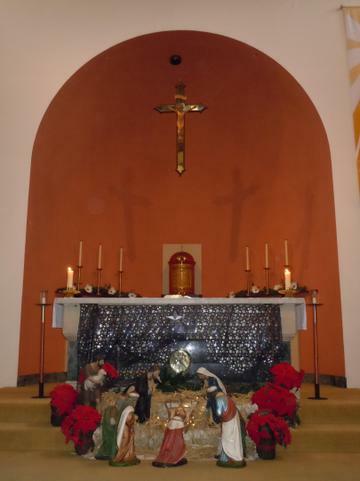 May is the month of Mary. 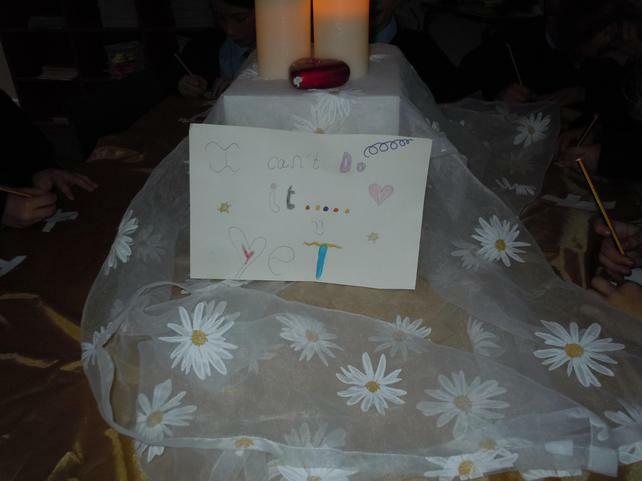 We welcome any flowers for our May altar dedicated to Our lady, Mary. 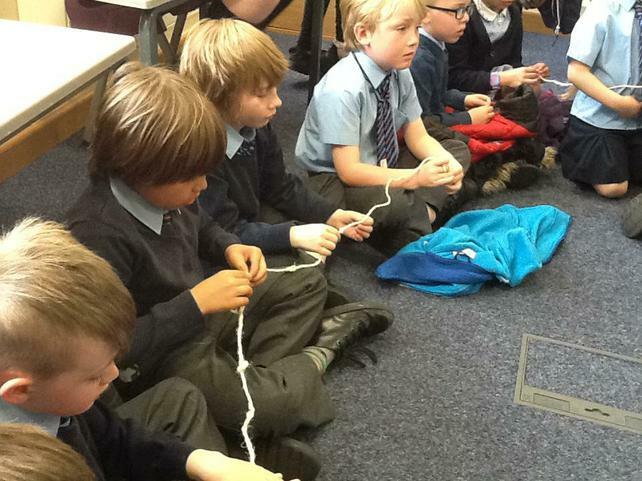 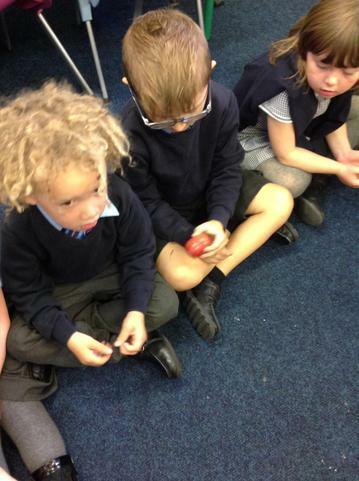 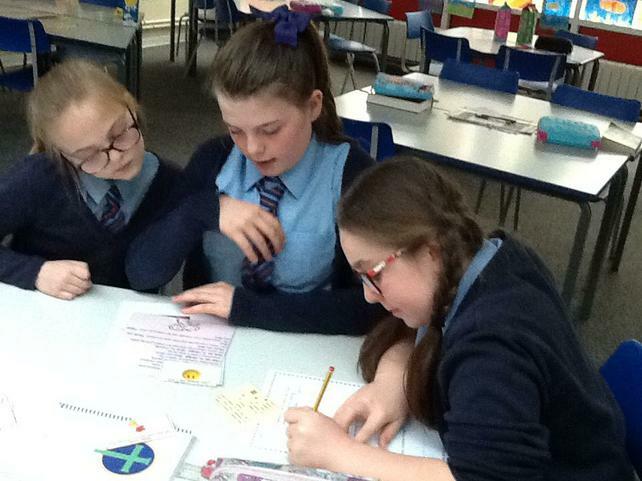 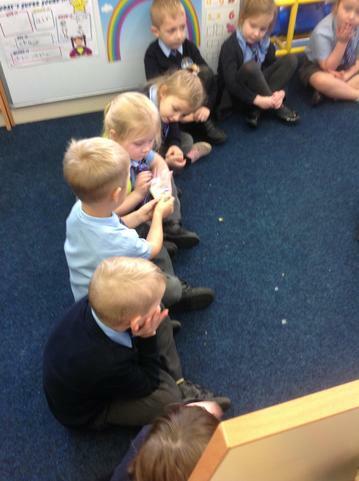 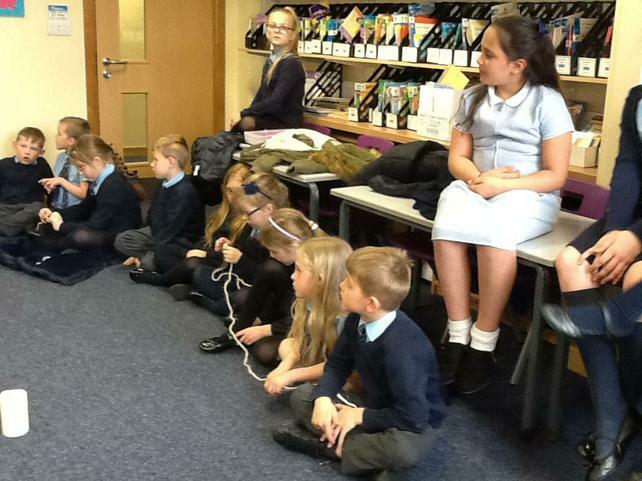 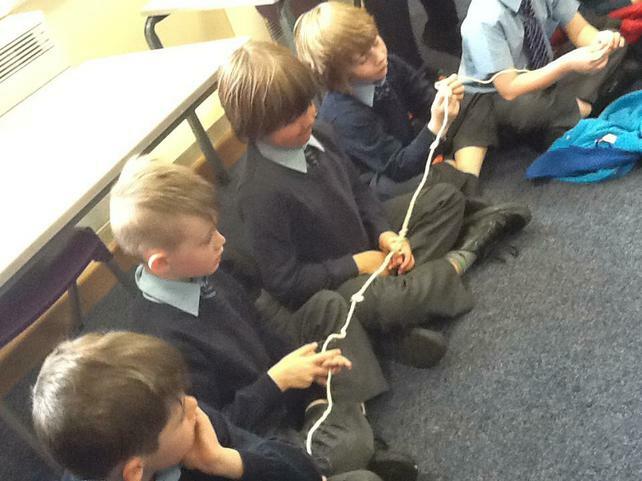 The prayer group are praying the Rosary in their meetings this month. 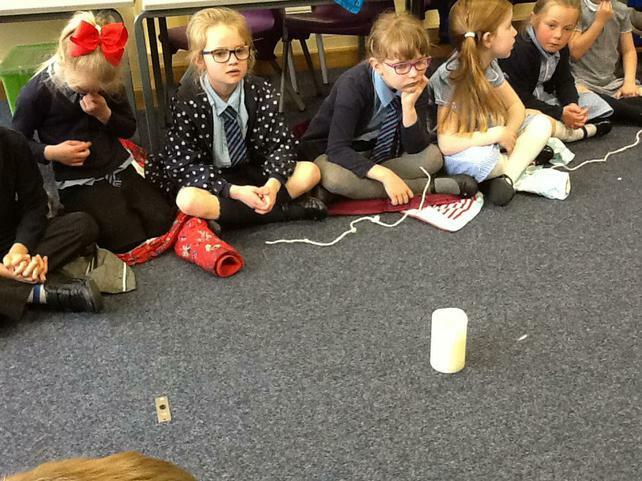 Since it's on Thursdays, we will be reflecting on the Mysteries of Light. 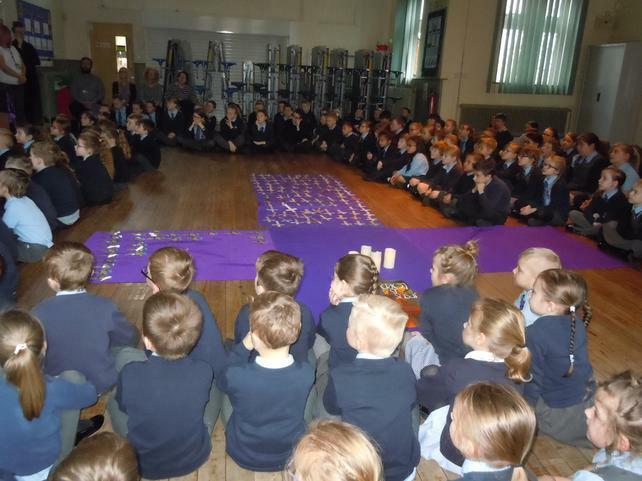 See the link below if you would like to pray a Rosary with your child at home. 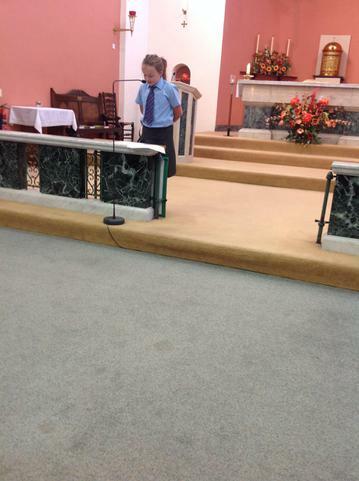 We are extremely proud of our worship team. 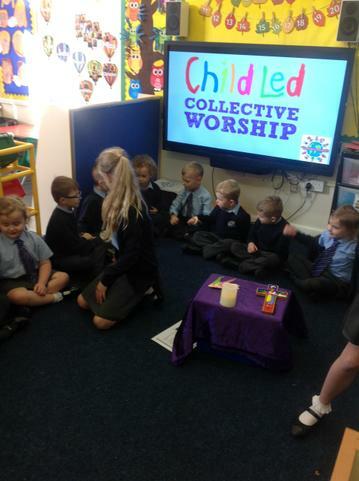 They plan and lead worship in key stage 1 as well as their own classes. 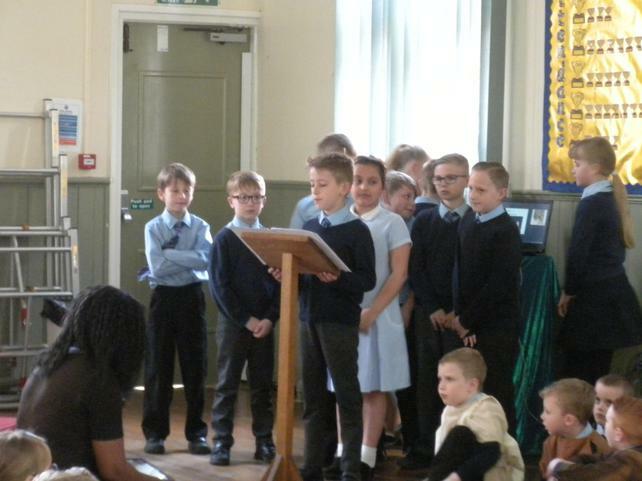 They are enthusiastic, confident and responsible young people. 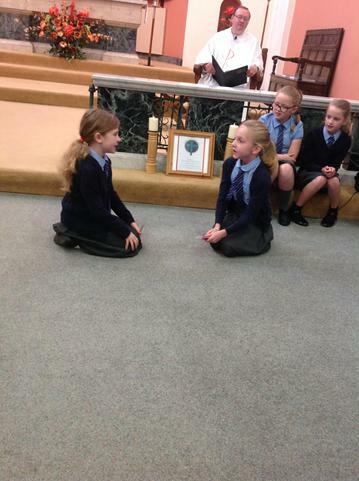 We hope that they will soon be joined by others. 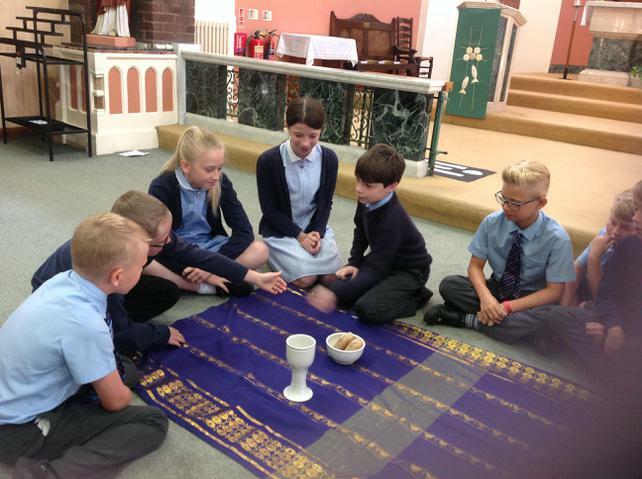 Our prayer group is open to all on Thursdays at 12:30pm. 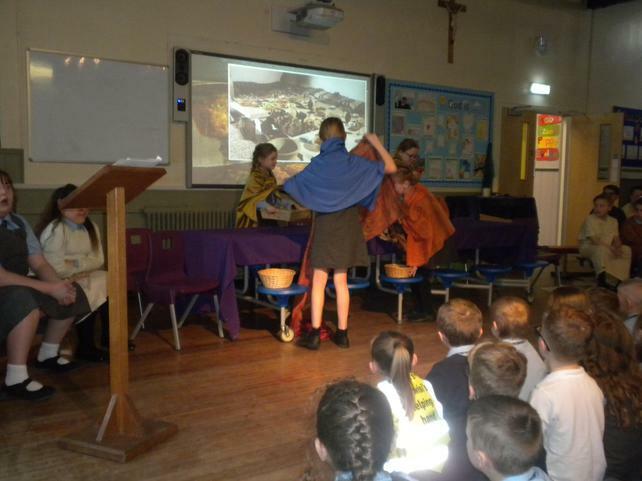 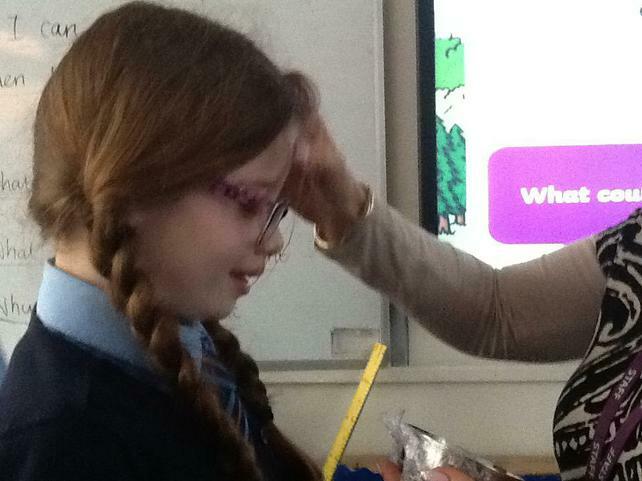 During Lent we raised money for Dreamflight, Save the Children, Cafod, Good Shepherd and donated tins for Barnsley food bank. 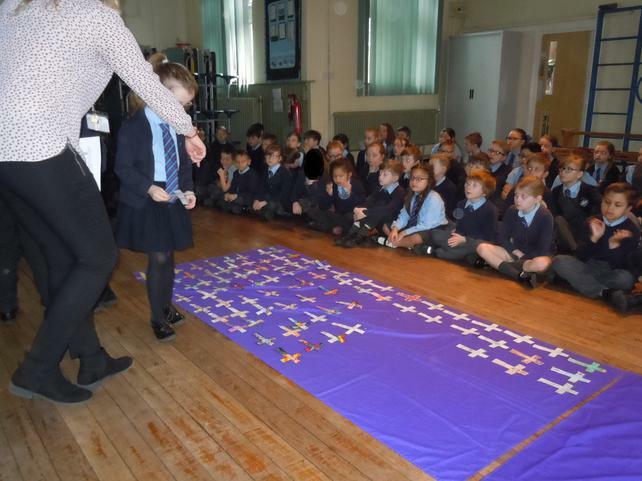 We collected small change, donated tins of food, had 50p non-uniform Fridays, held a sponsored run and had a pyjama movie afternoon. 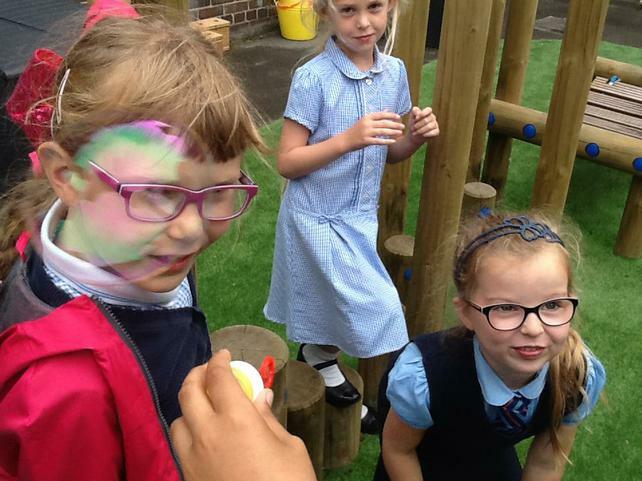 (seethe News section for amounts raised). 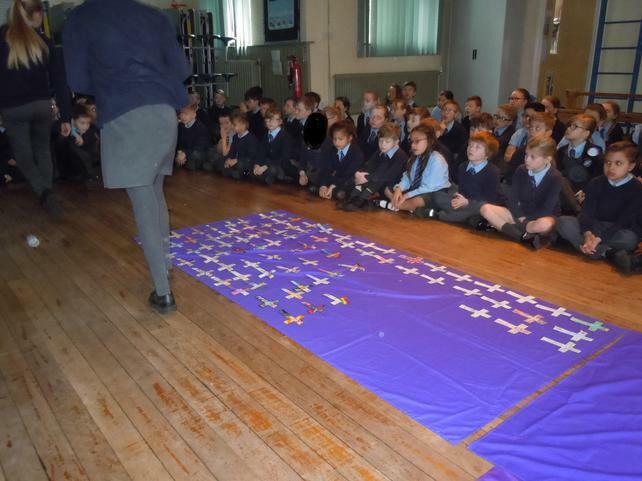 During Lent the travelling crosses made their way to each family's home. 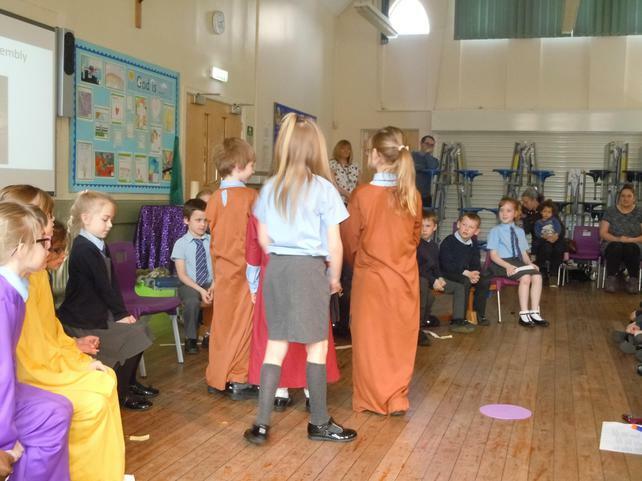 We hope you all enjoyed sharing the Easter story of Christ's crucifixion and resurrection with your children.